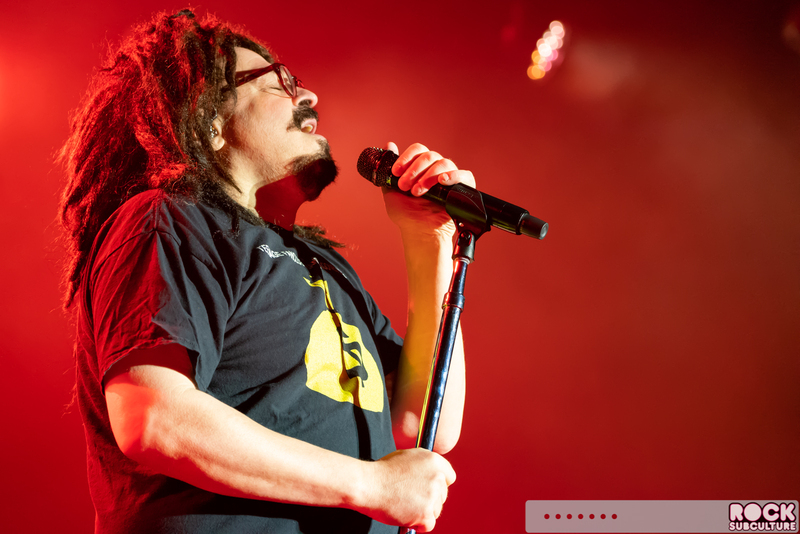 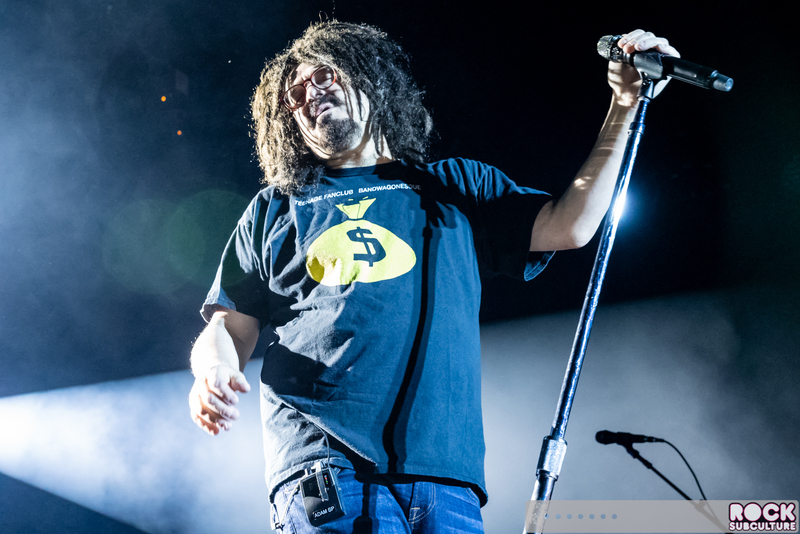 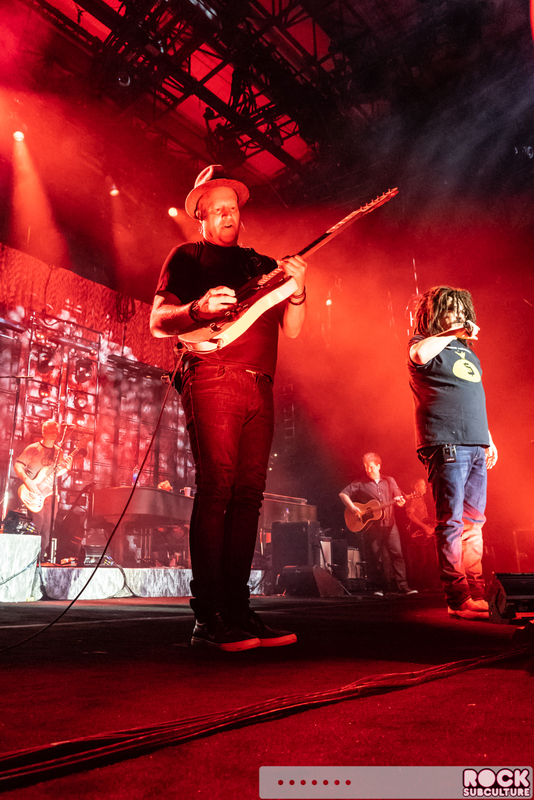 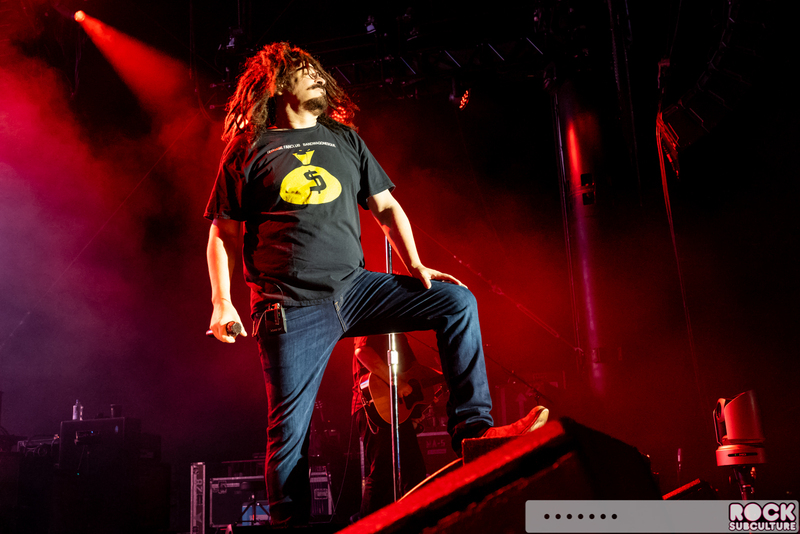 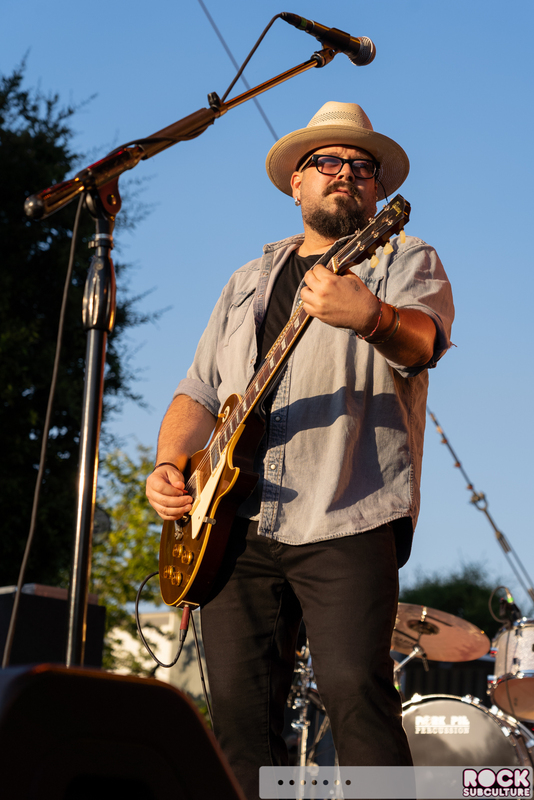 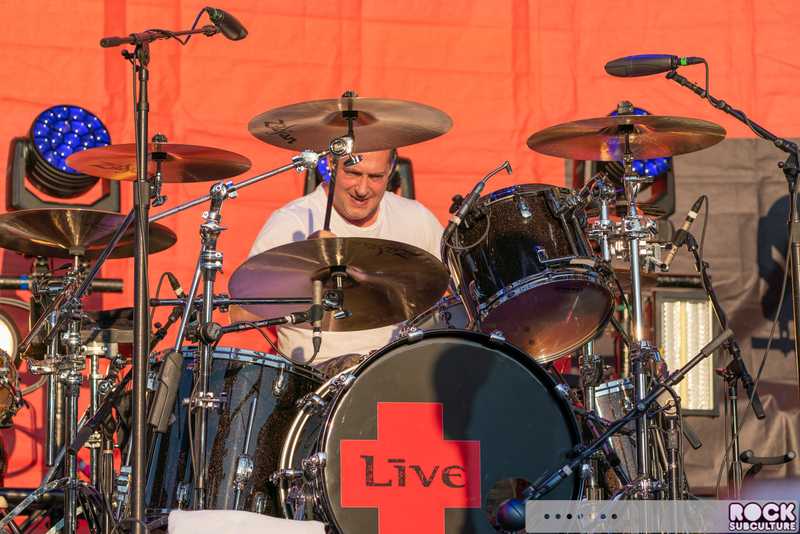 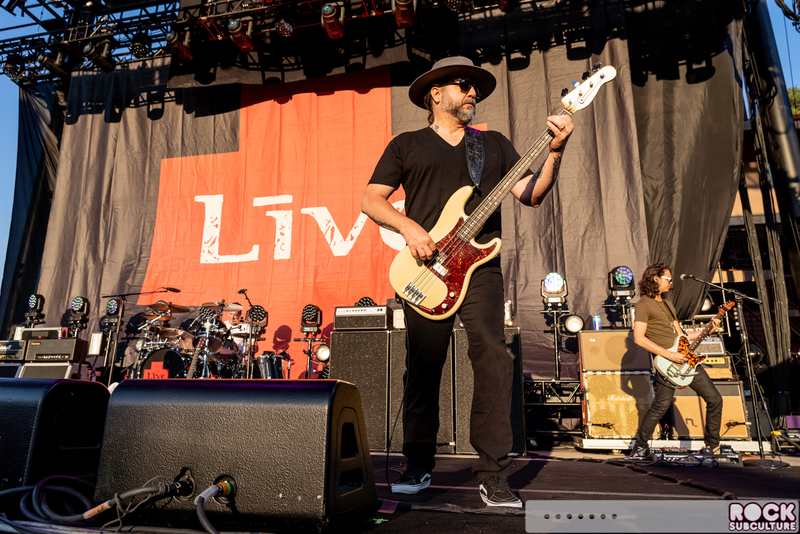 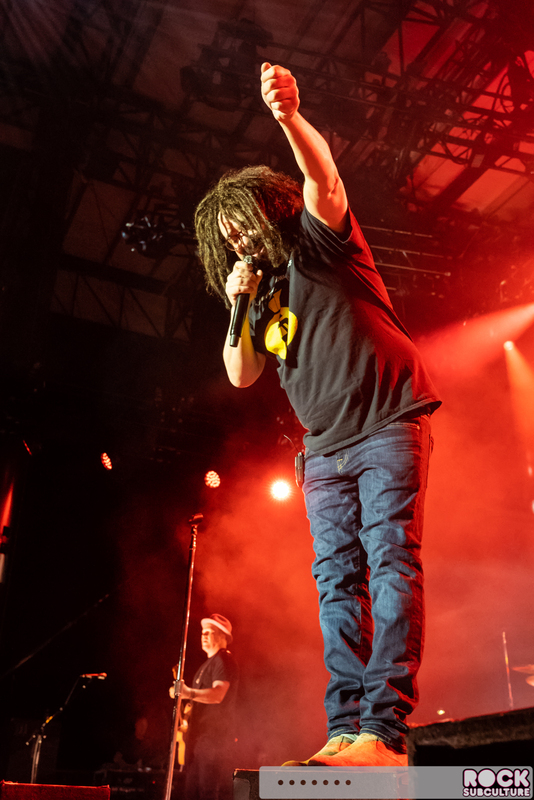 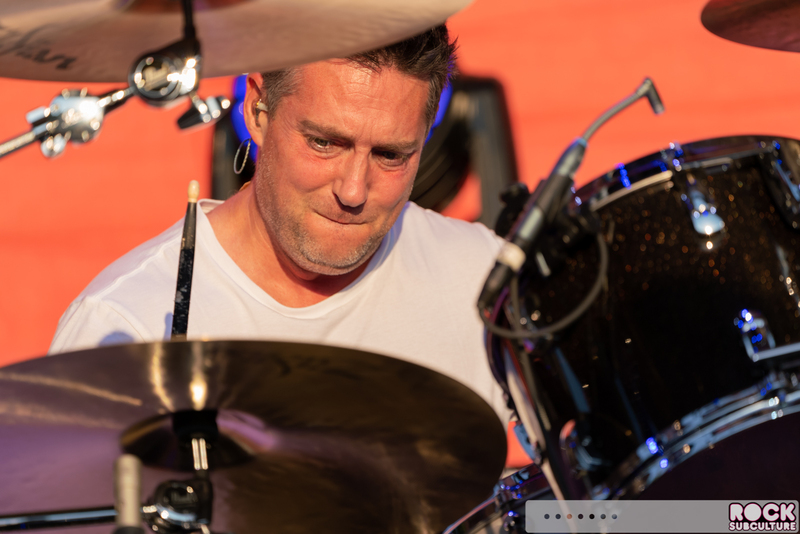 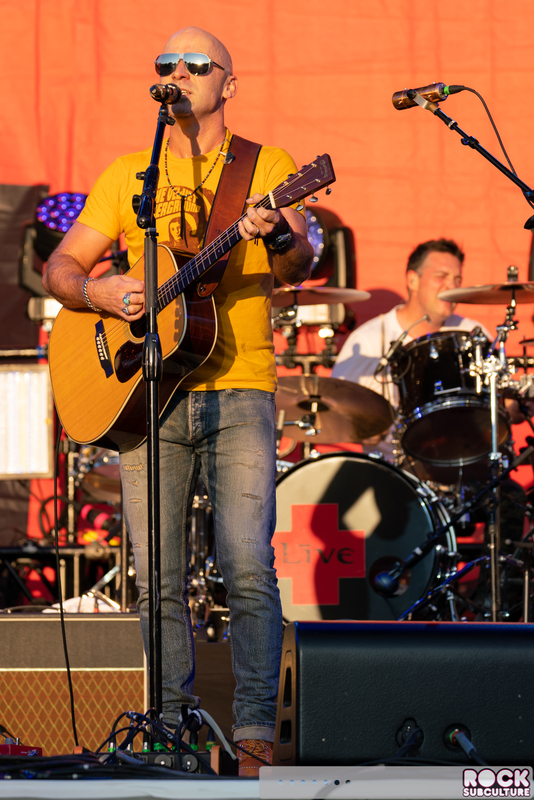 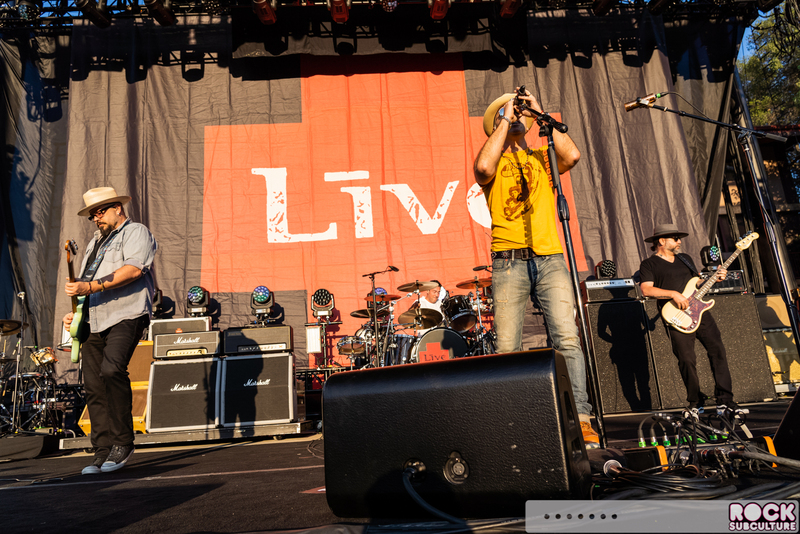 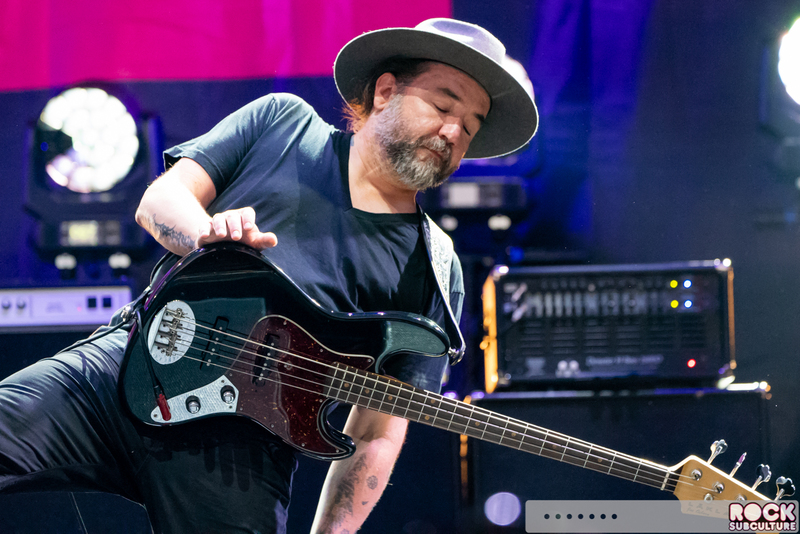 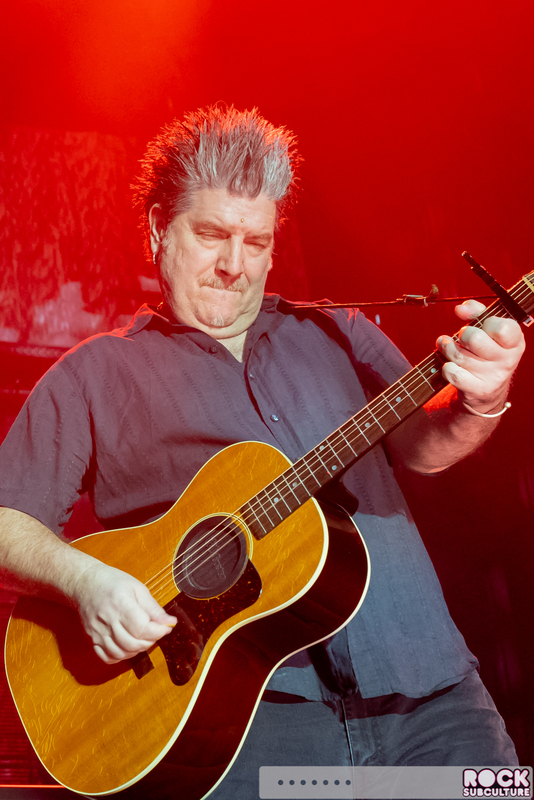 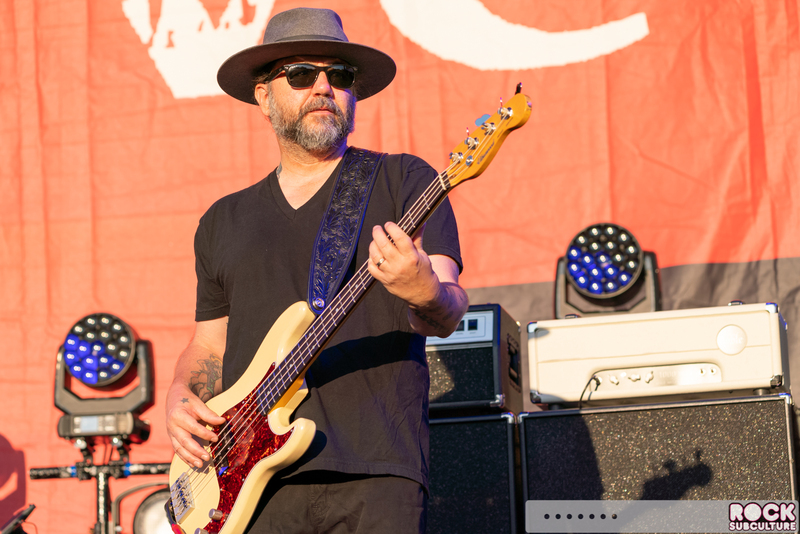 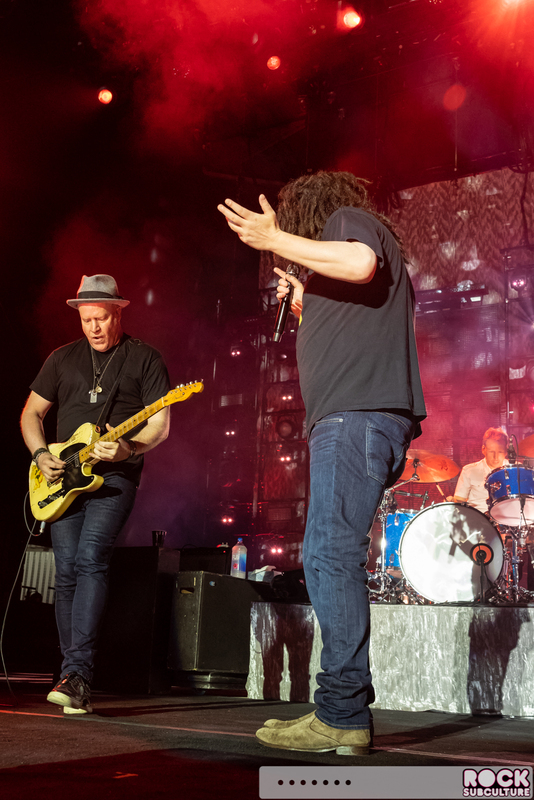 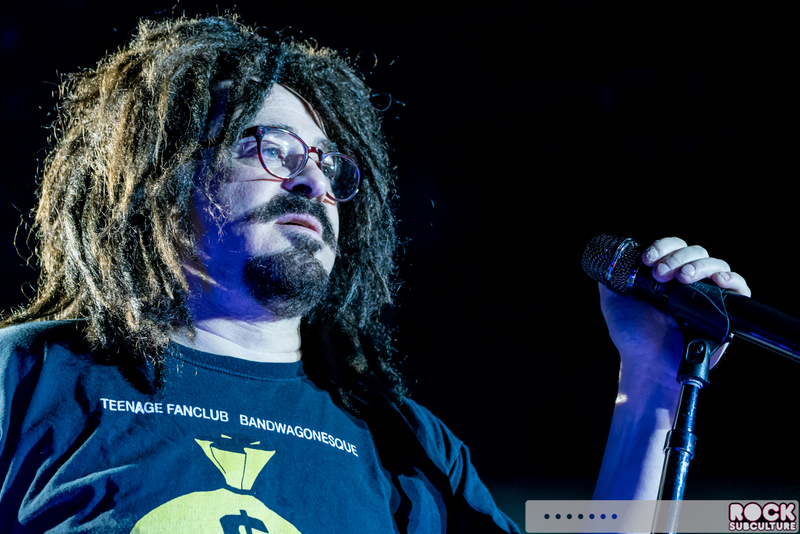 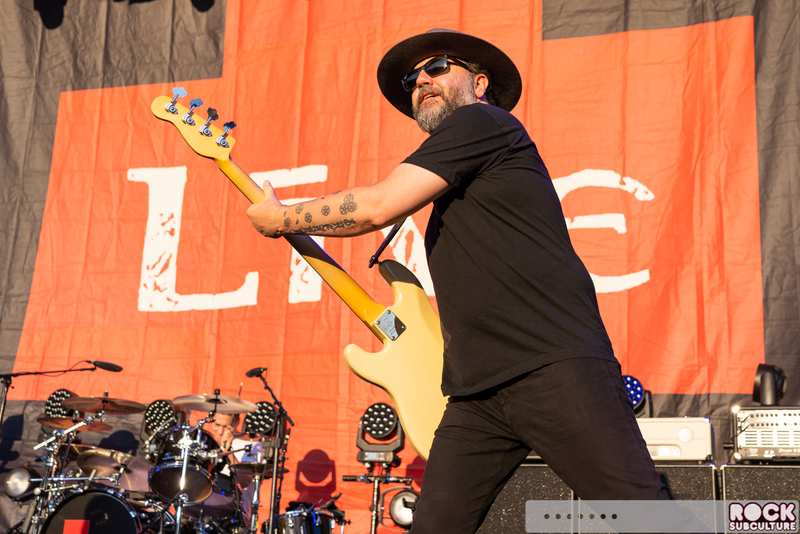 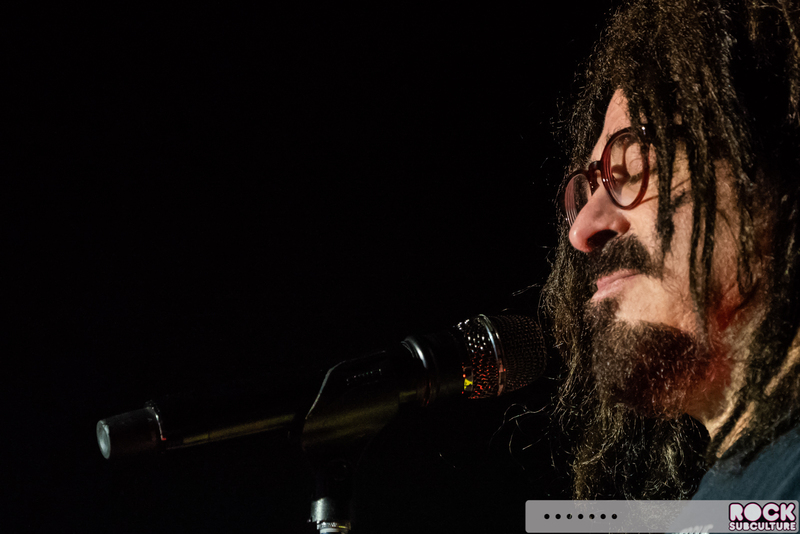 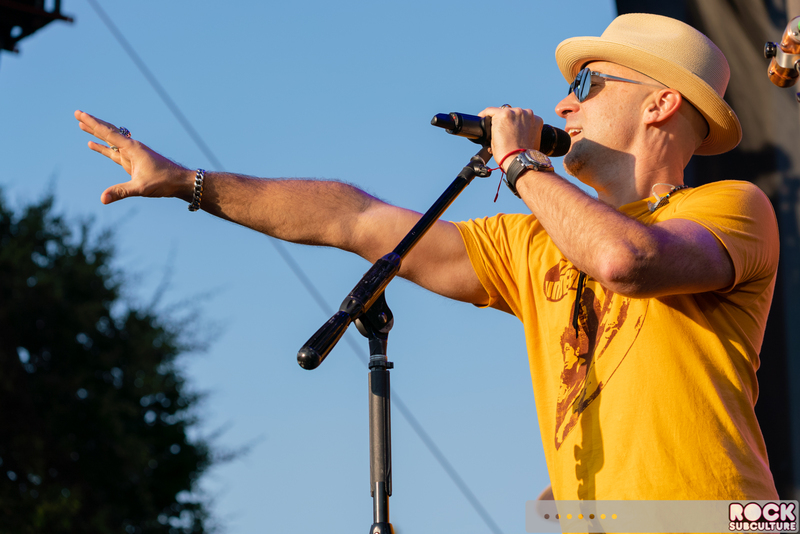 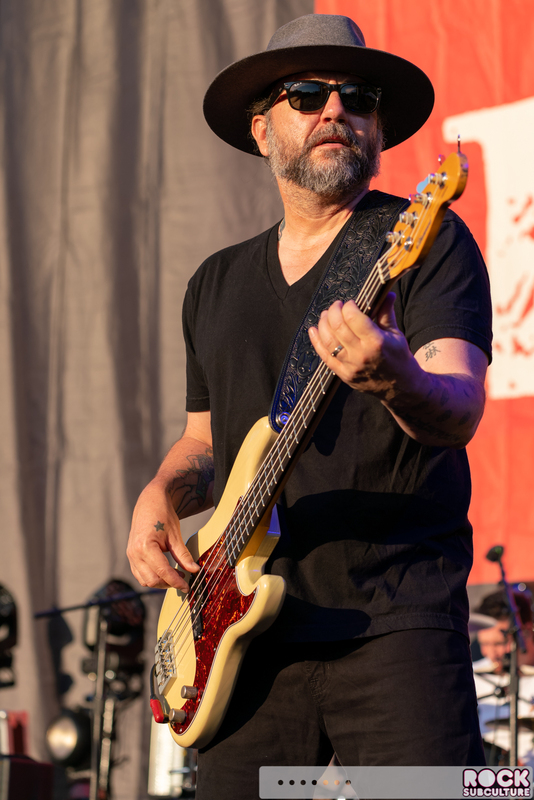 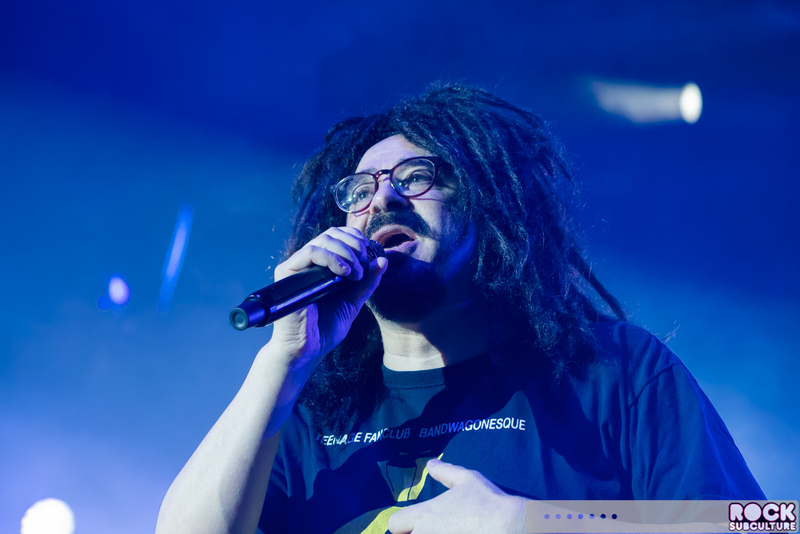 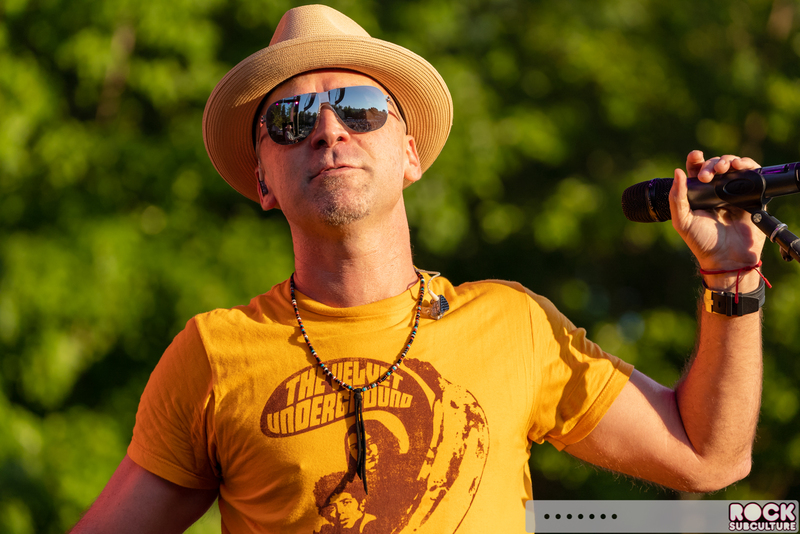 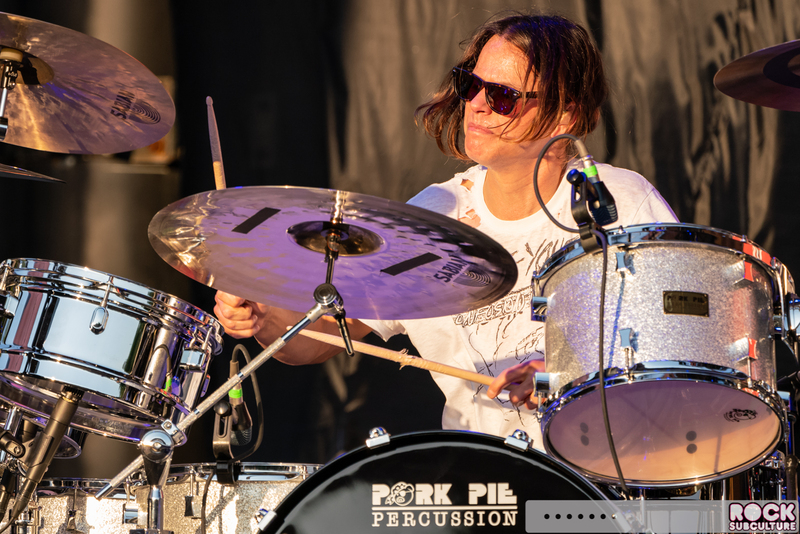 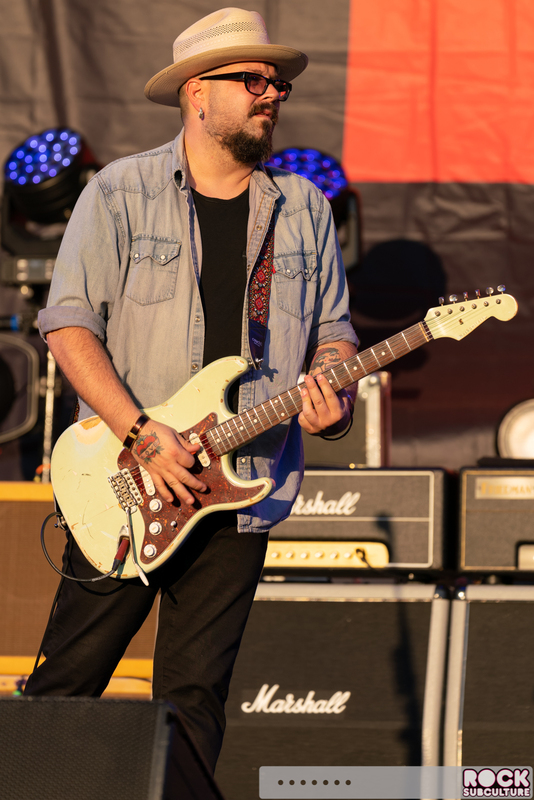 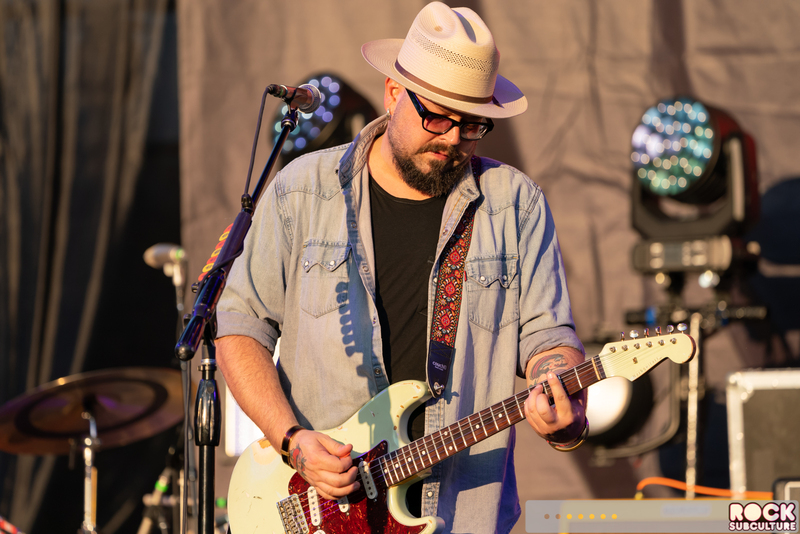 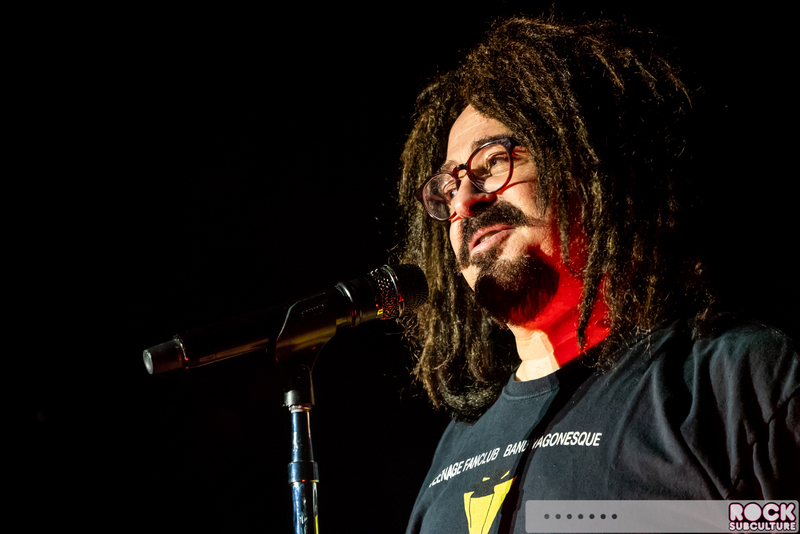 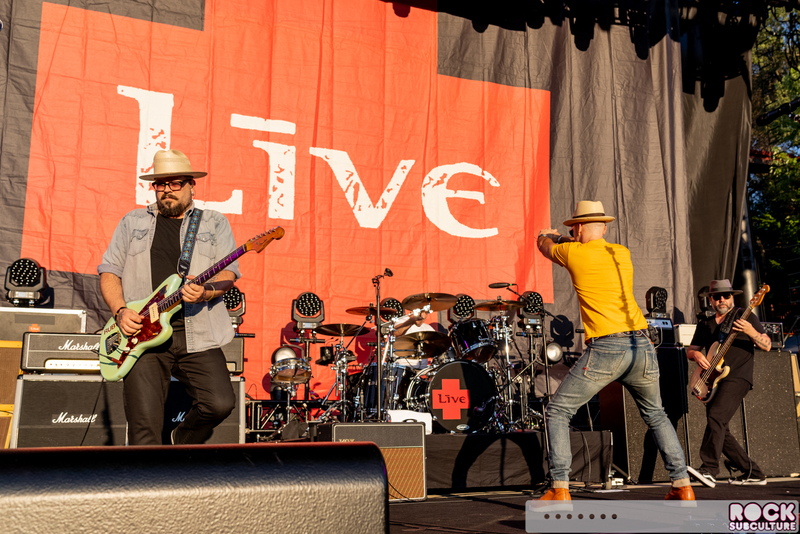 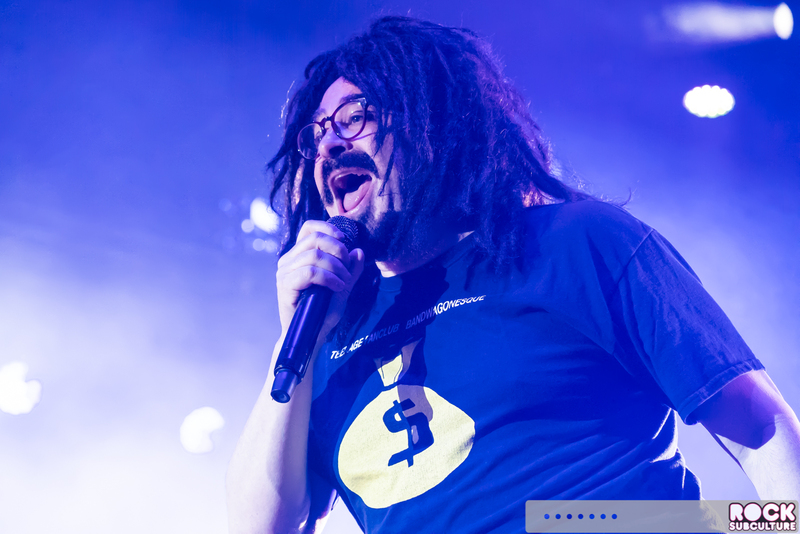 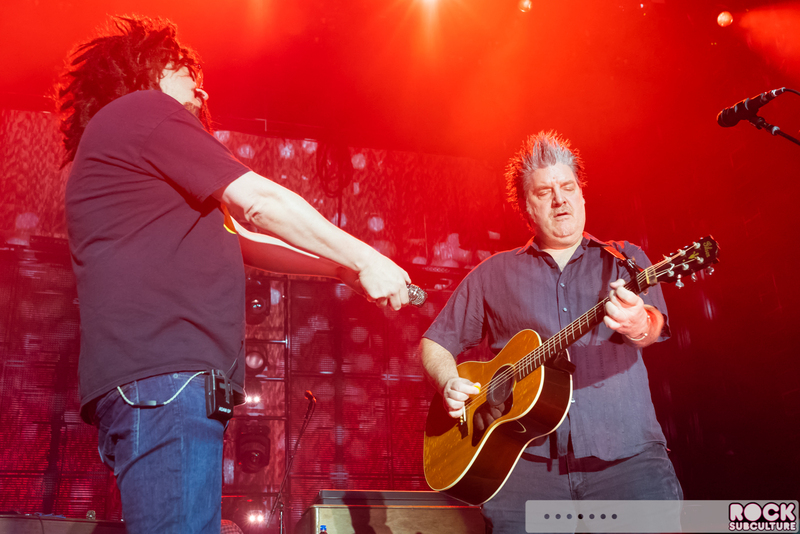 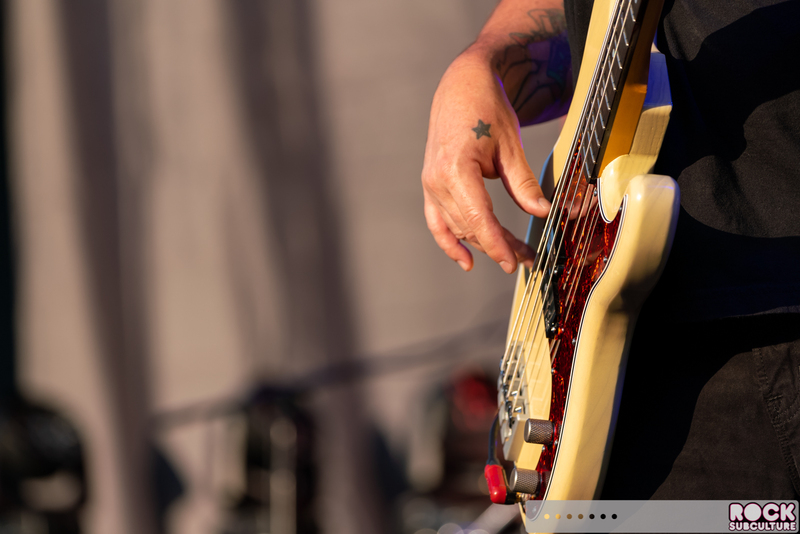 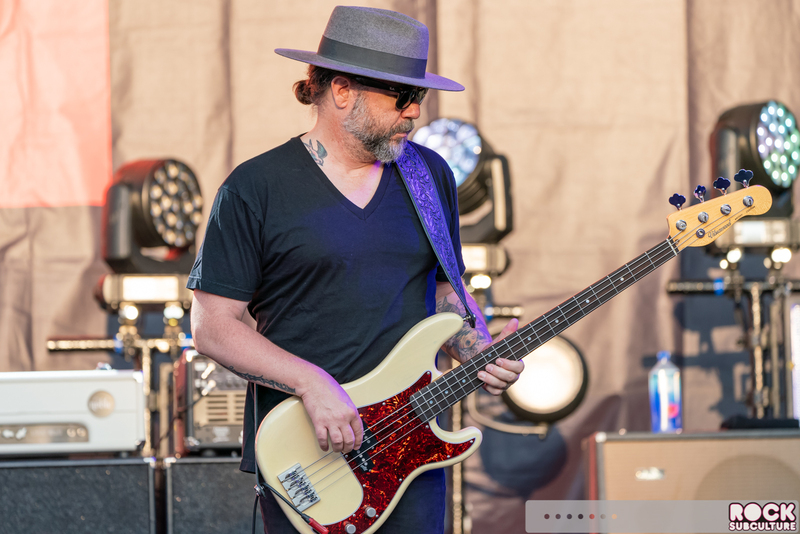 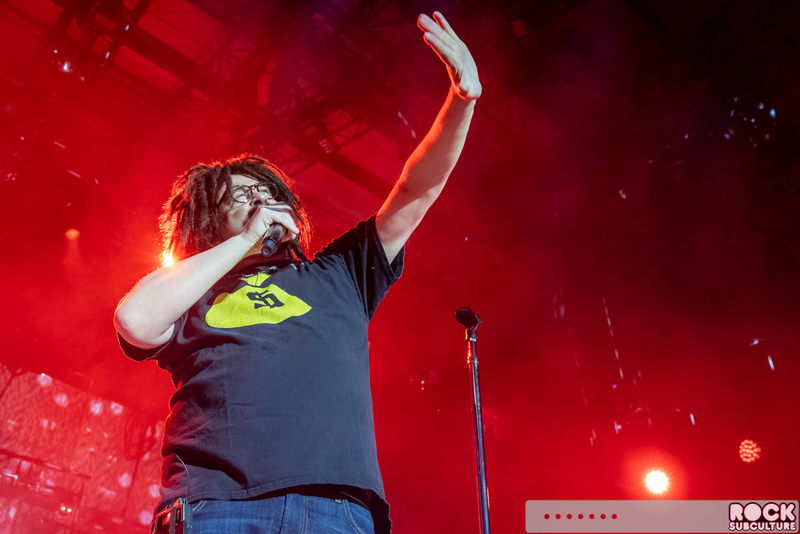 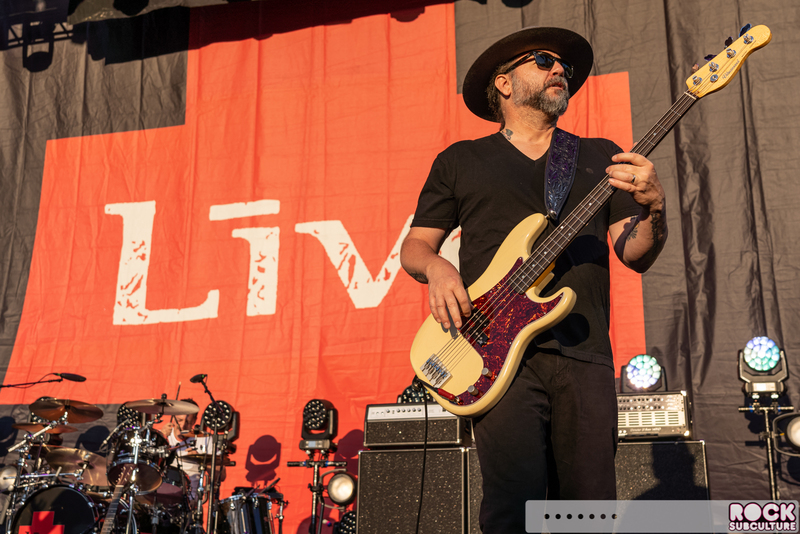 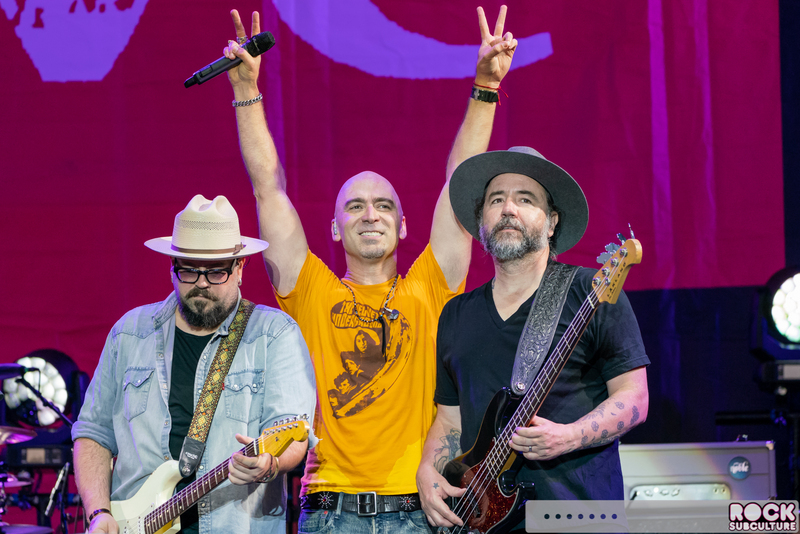 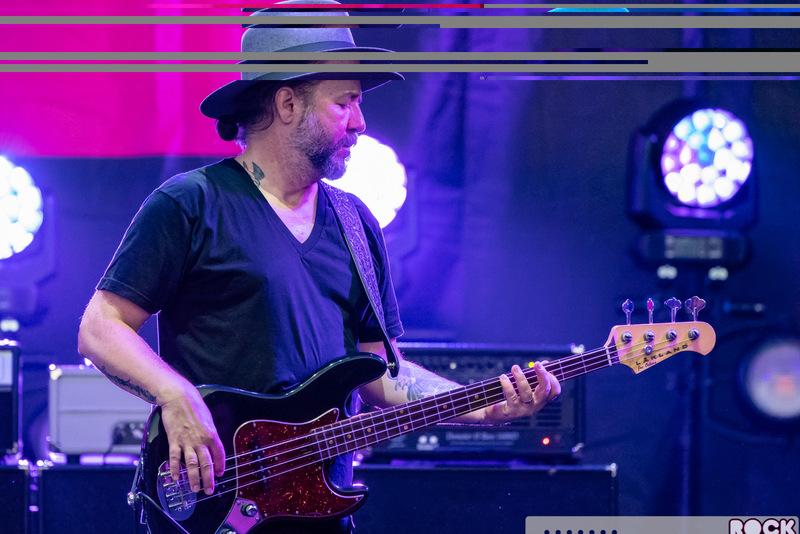 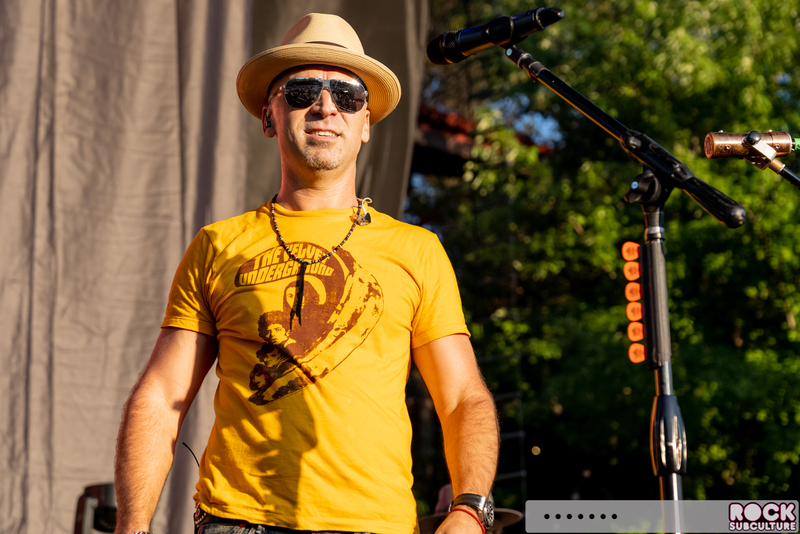 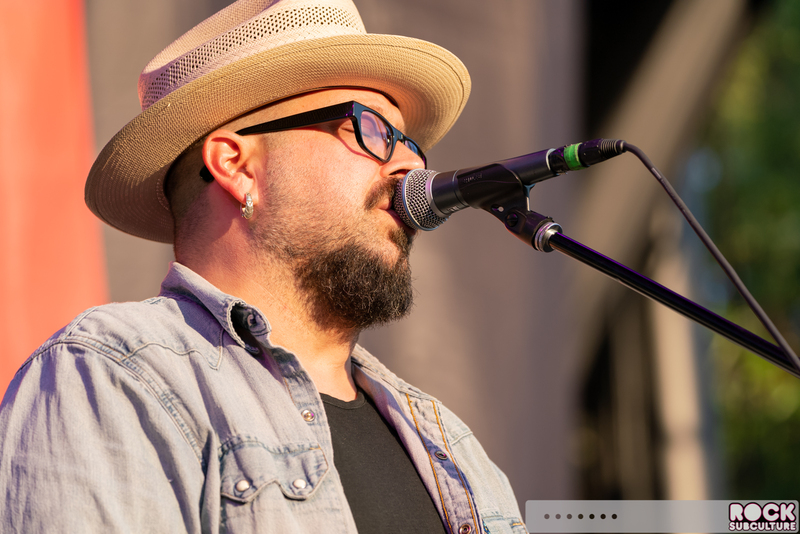 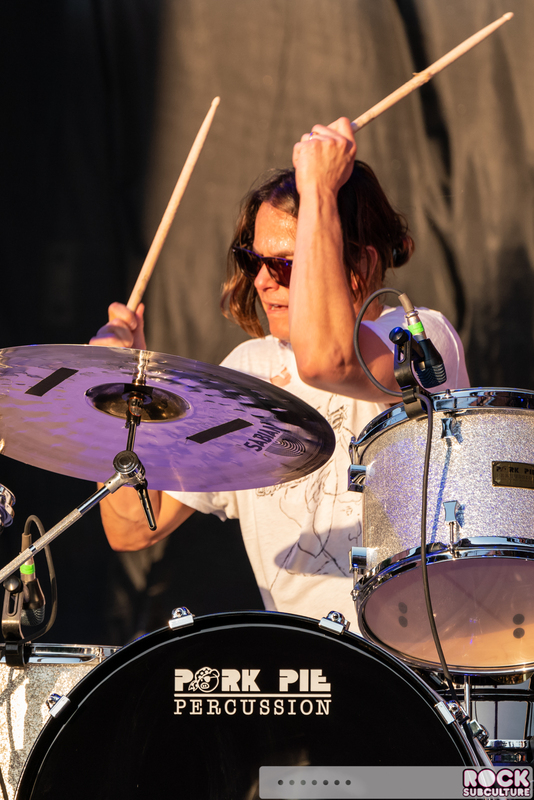 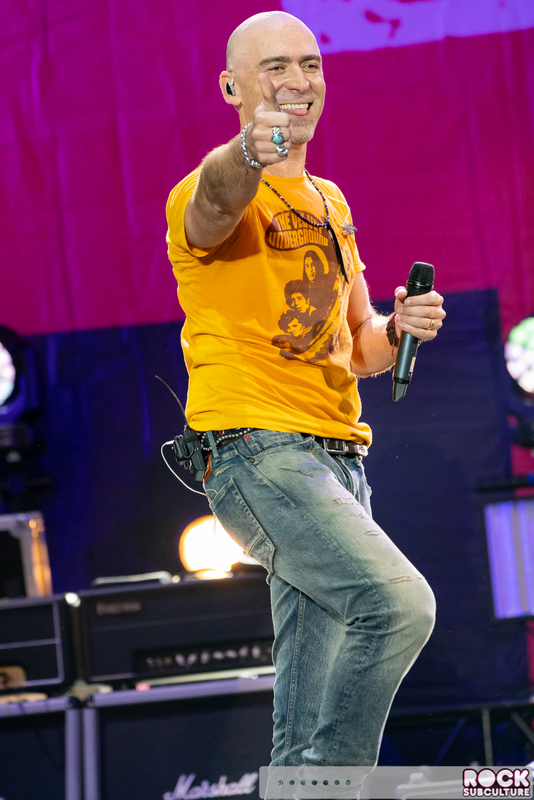 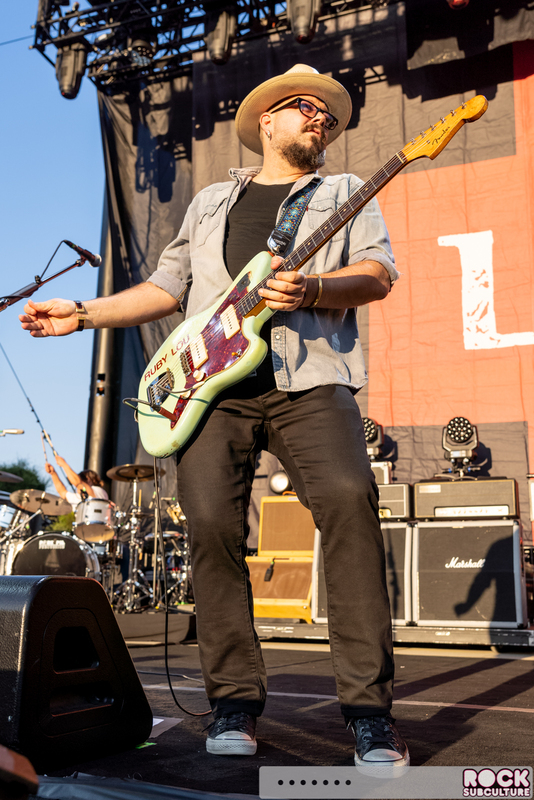 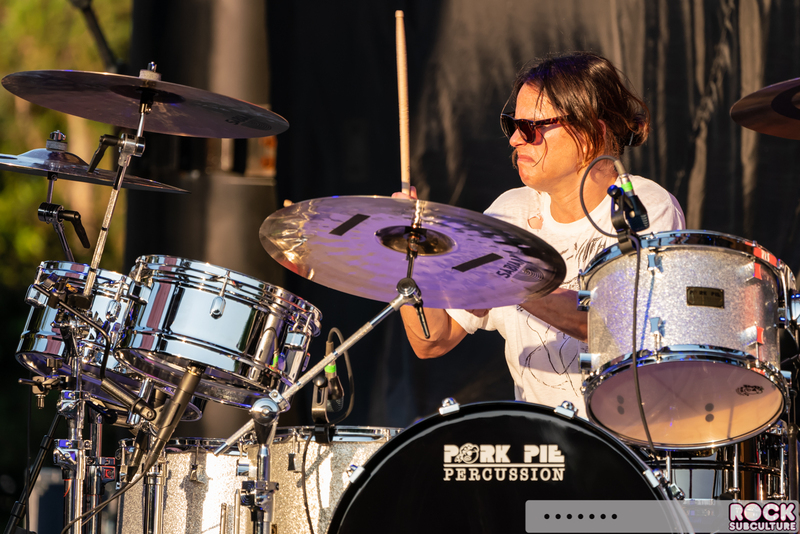 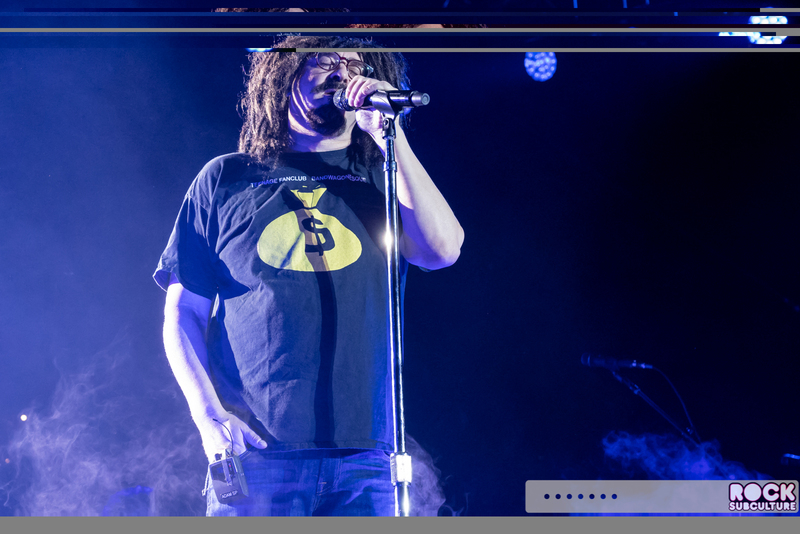 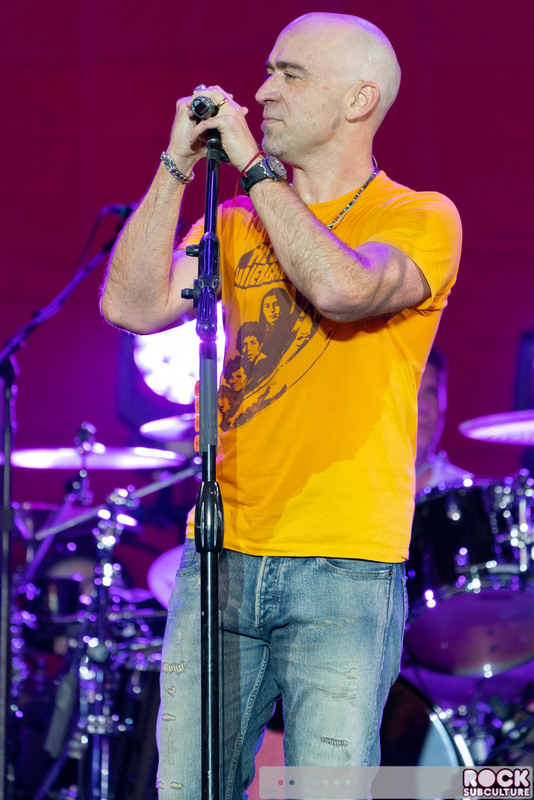 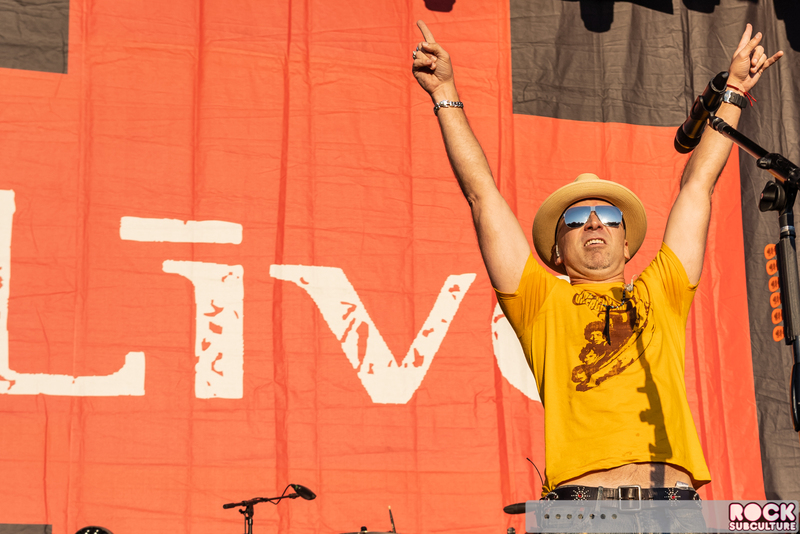 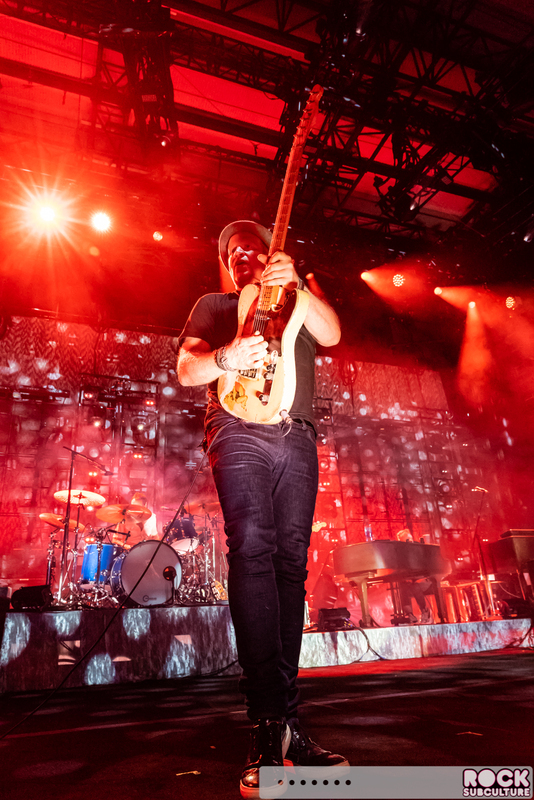 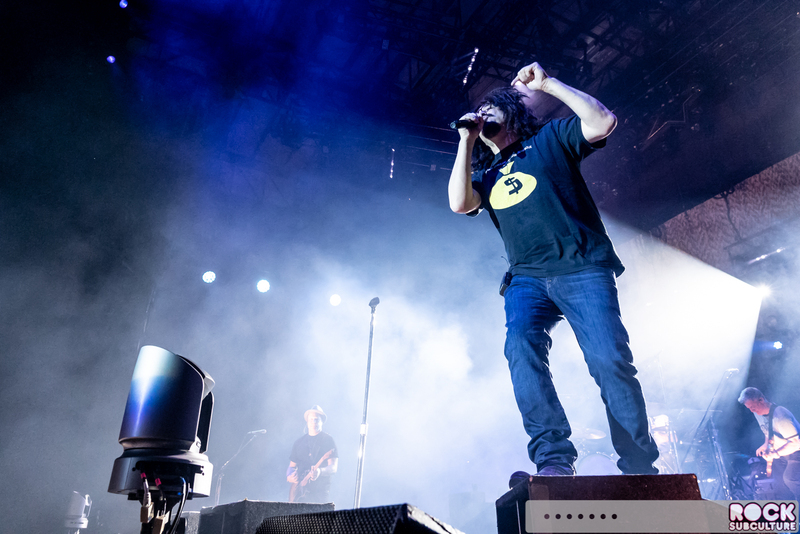 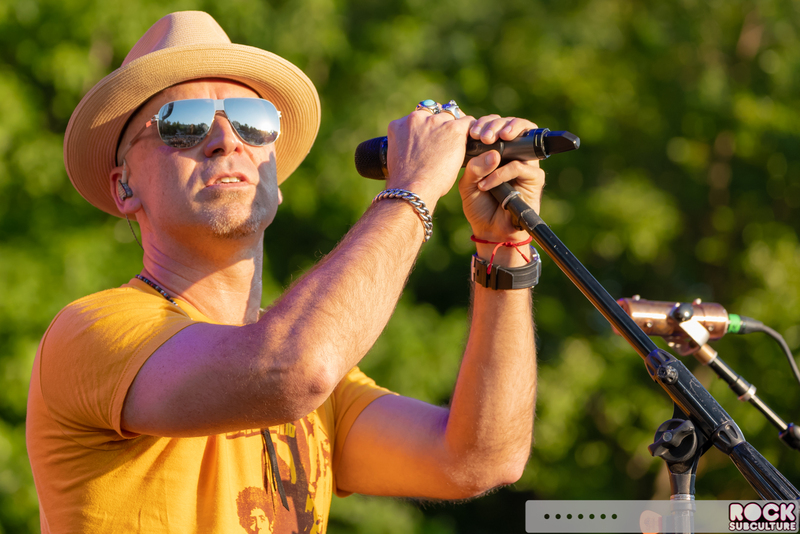 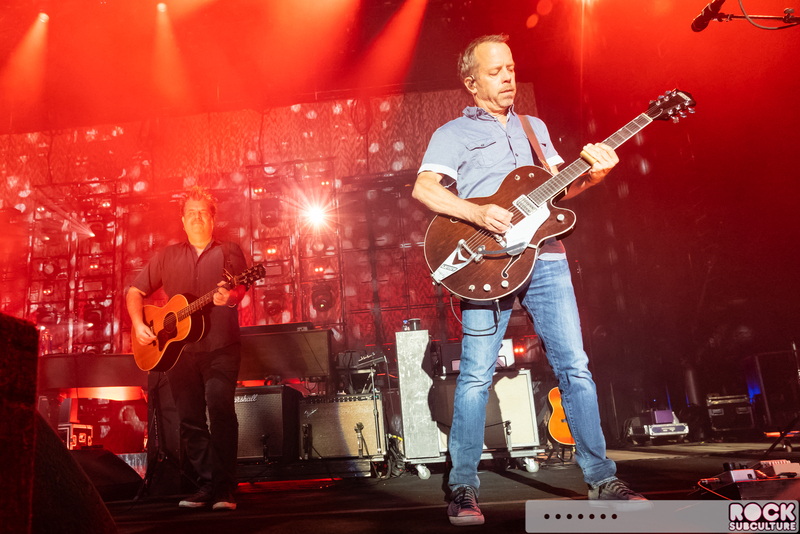 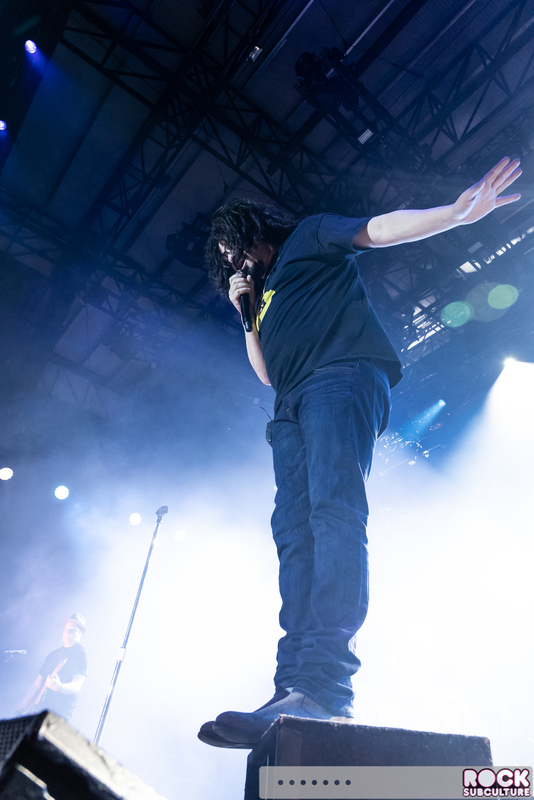 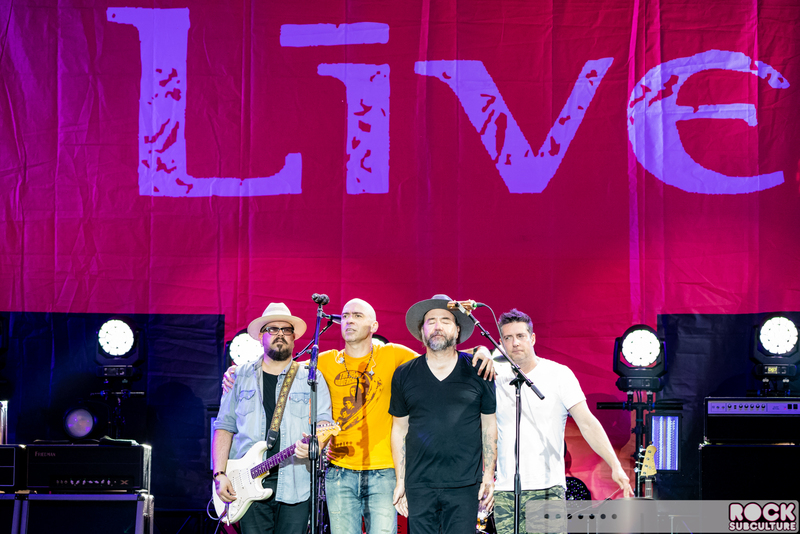 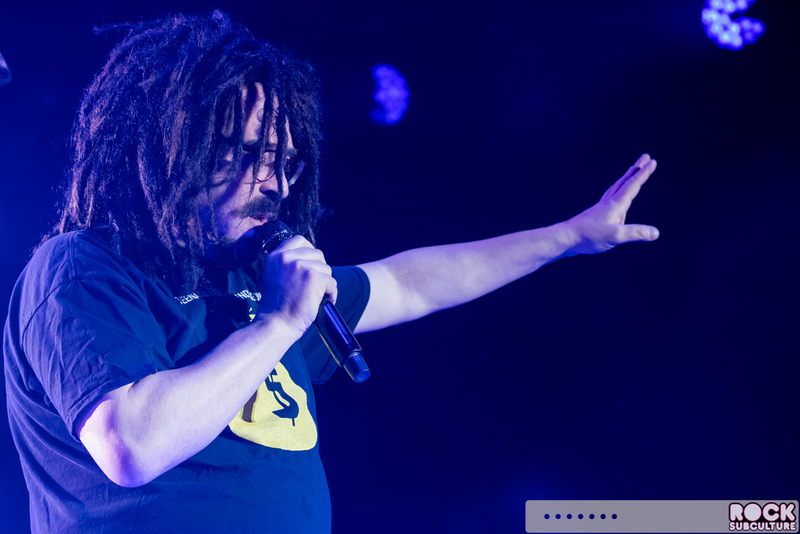 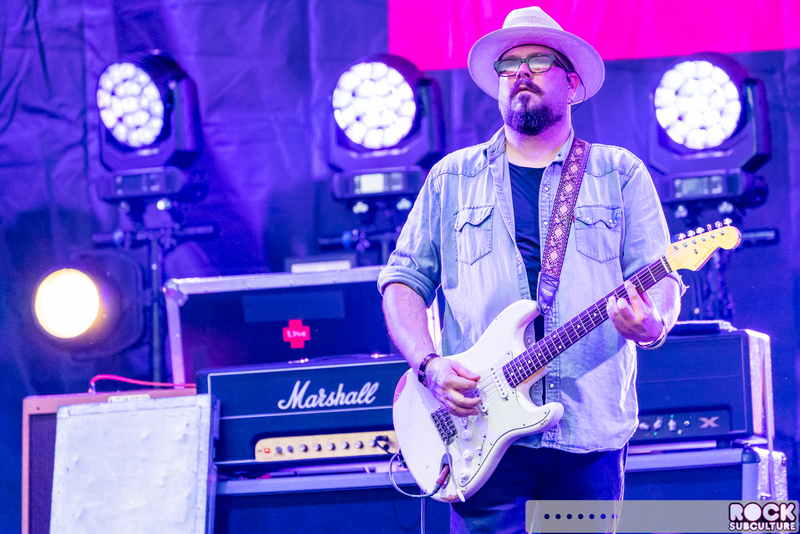 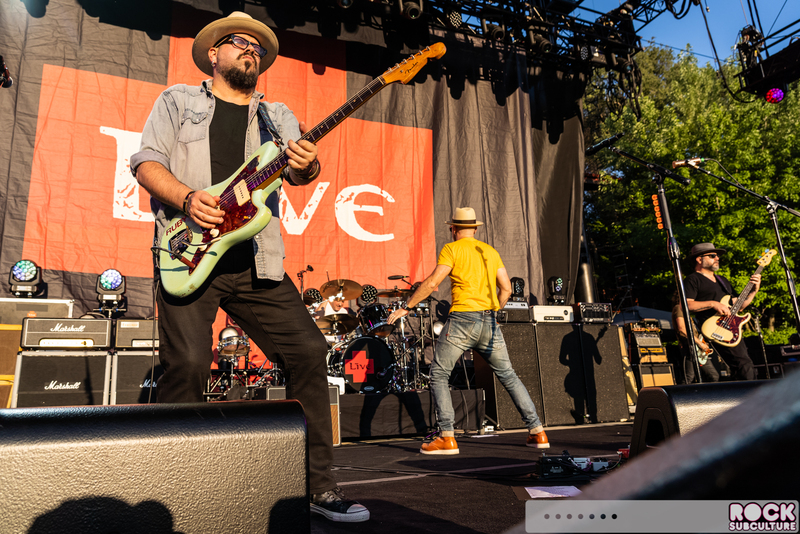 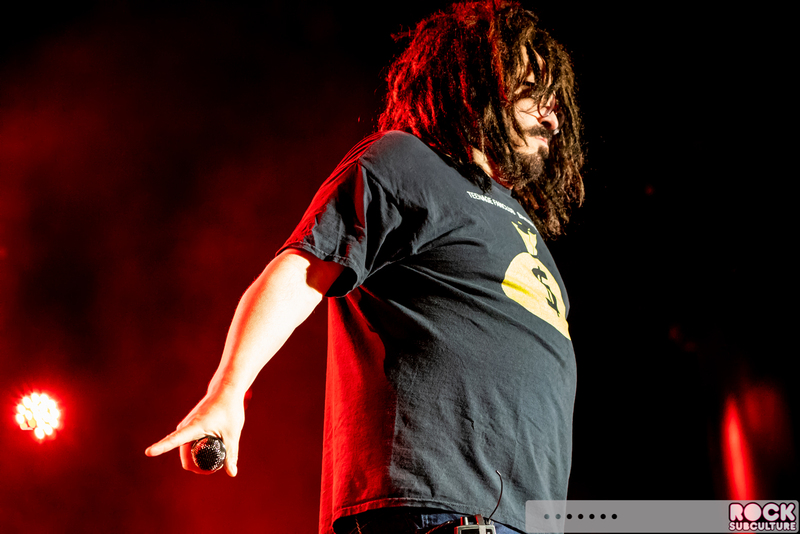 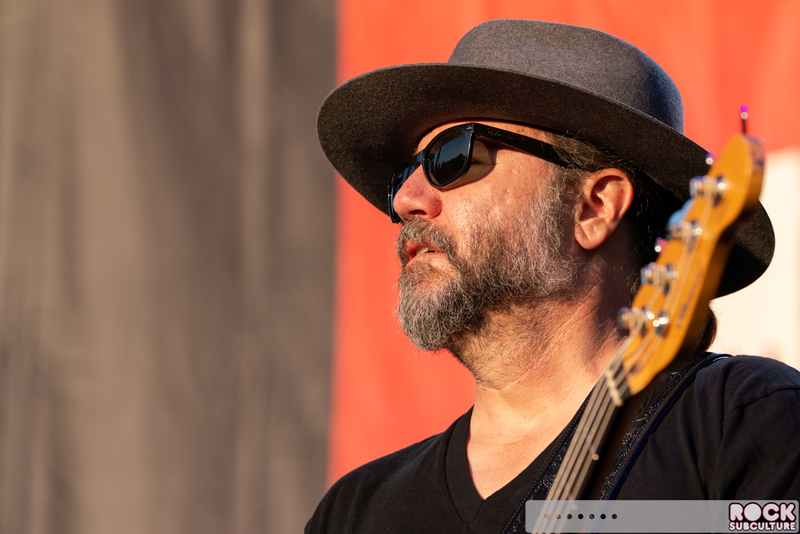 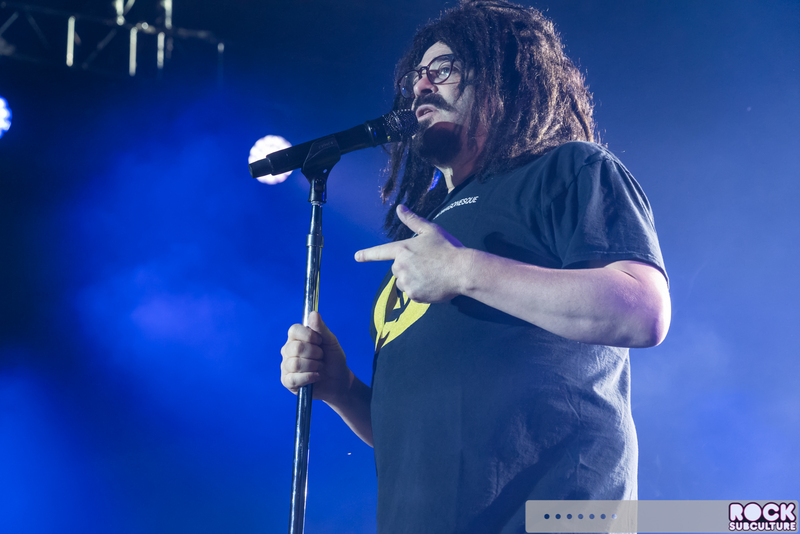 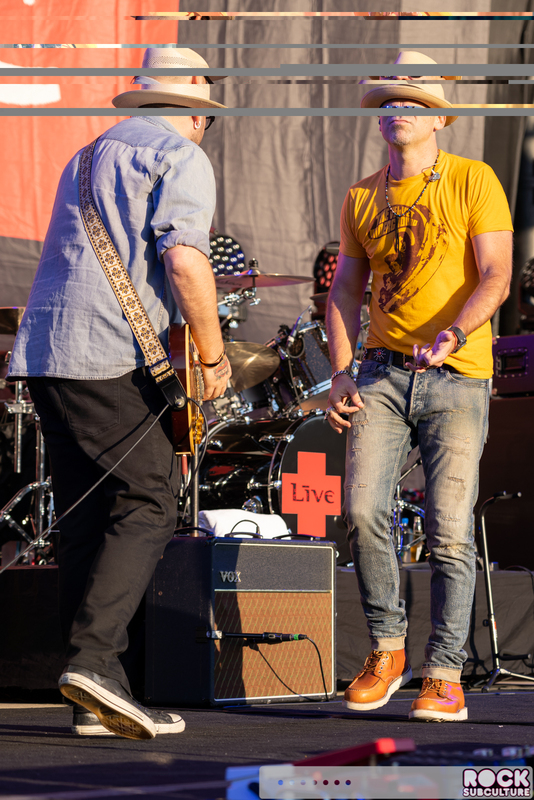 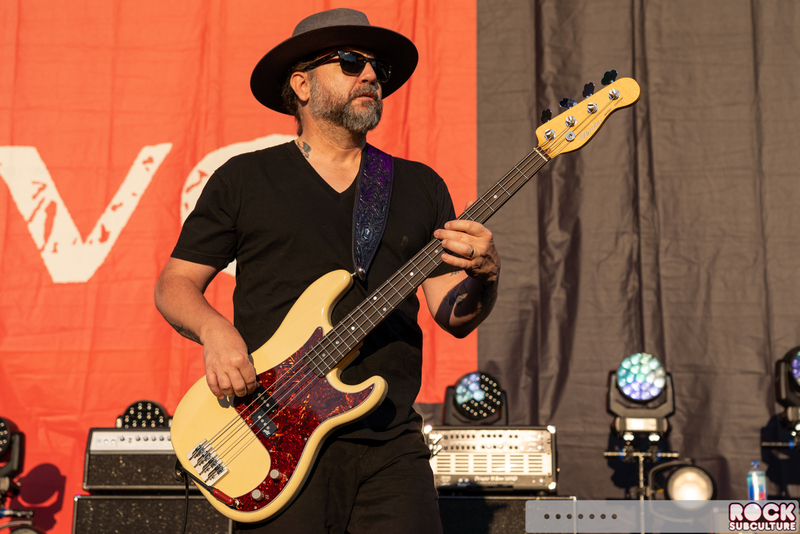 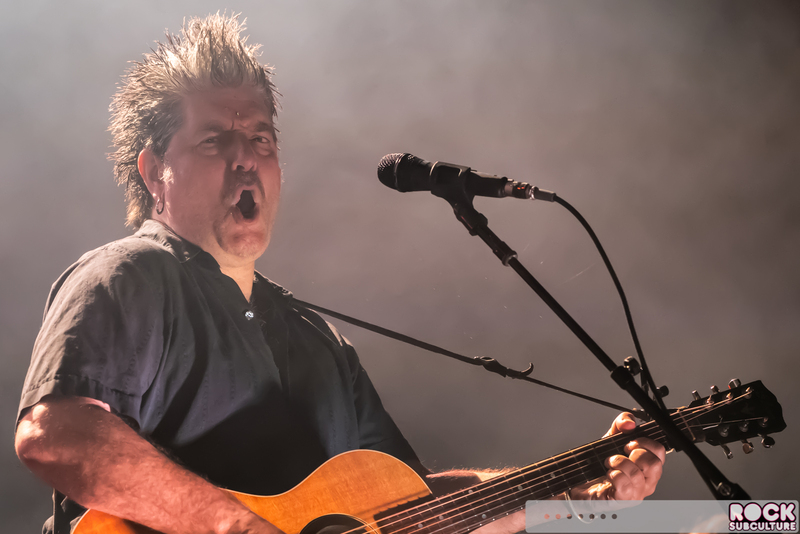 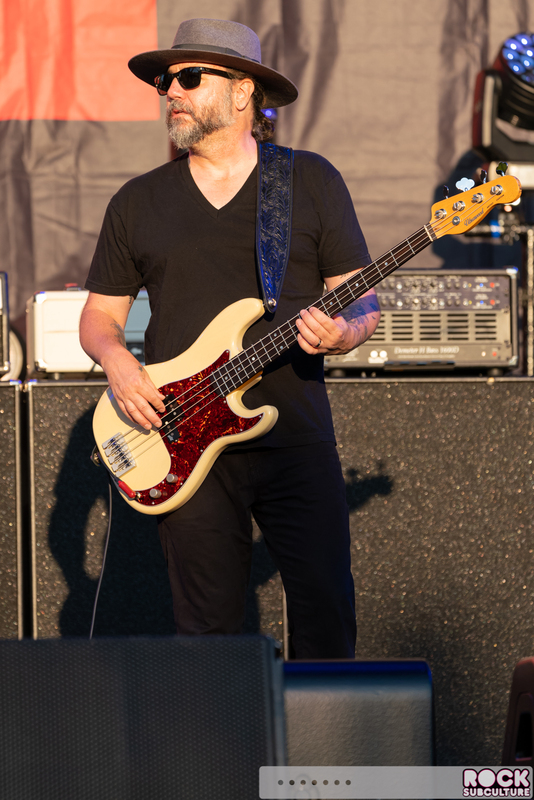 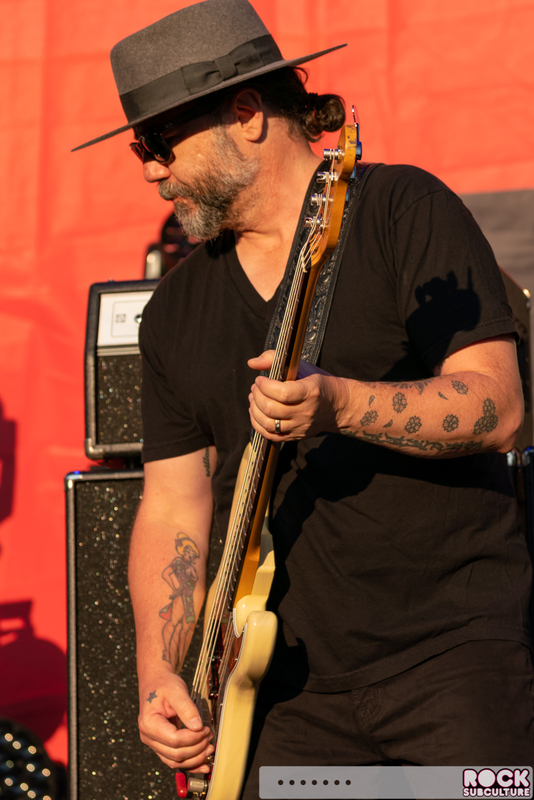 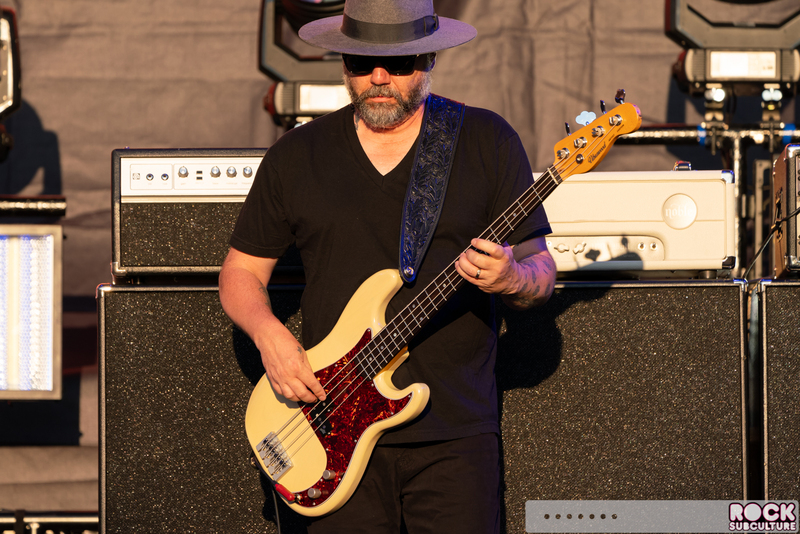 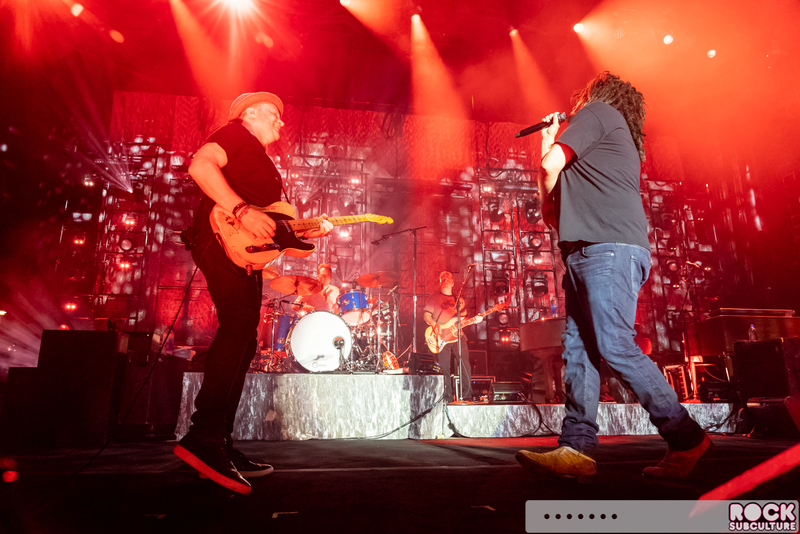 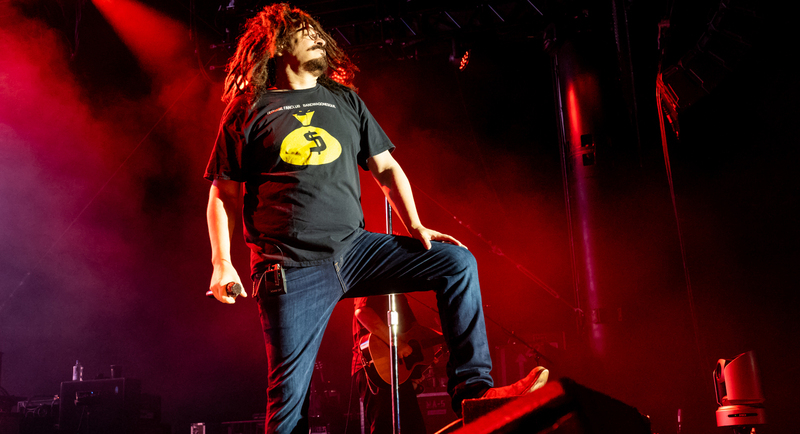 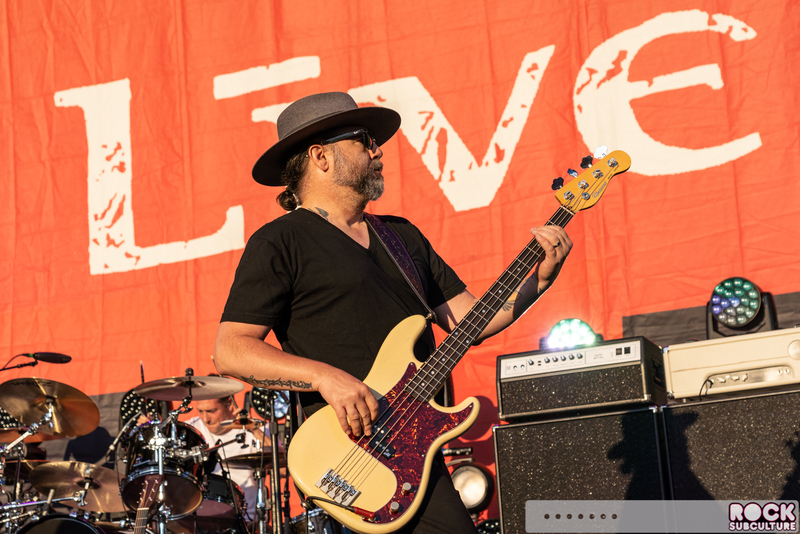 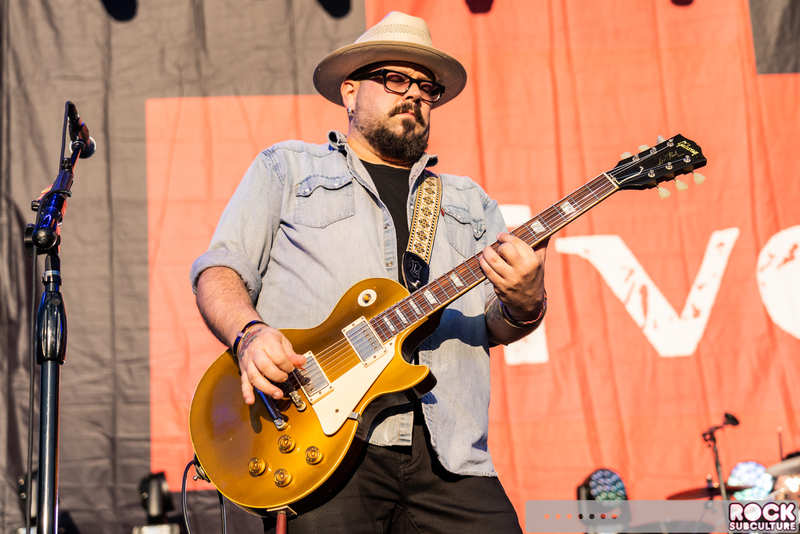 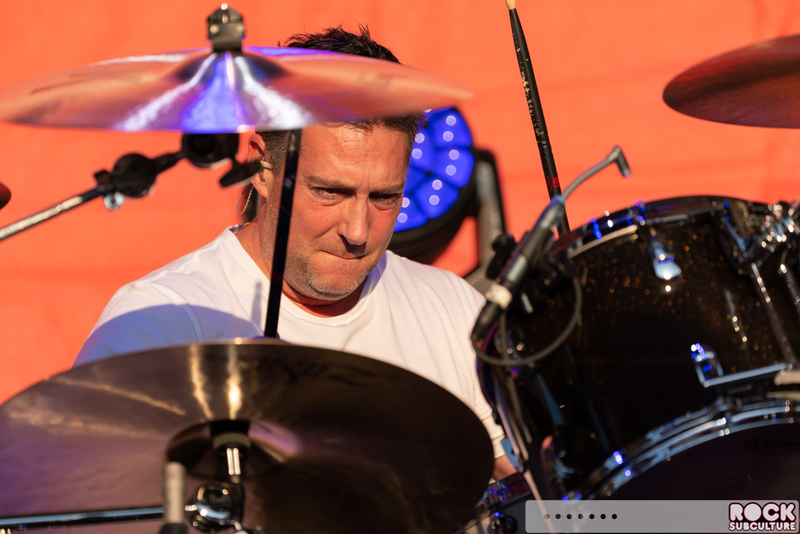 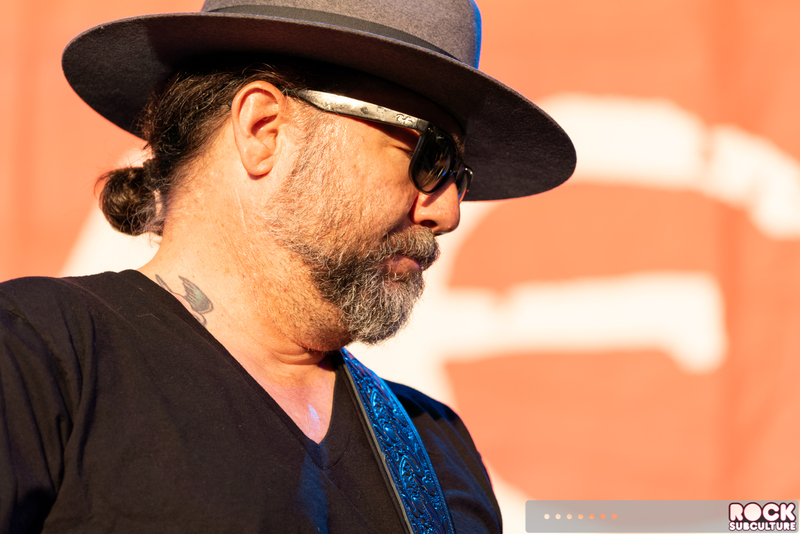 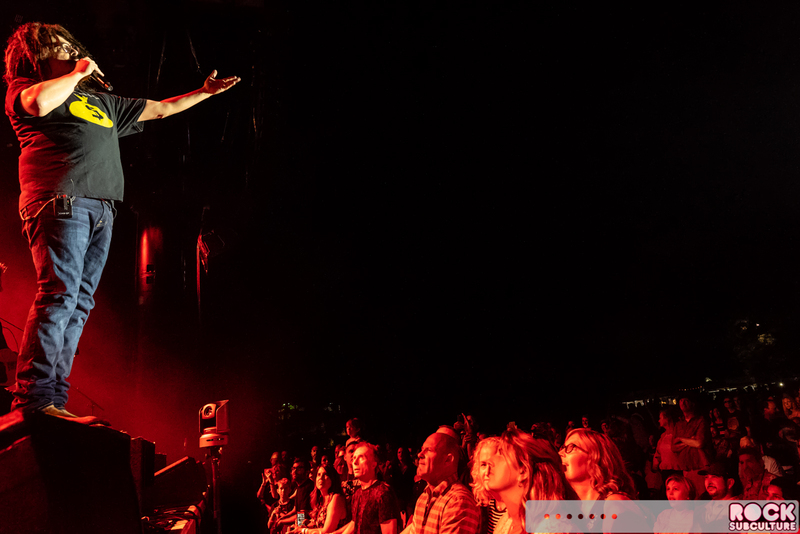 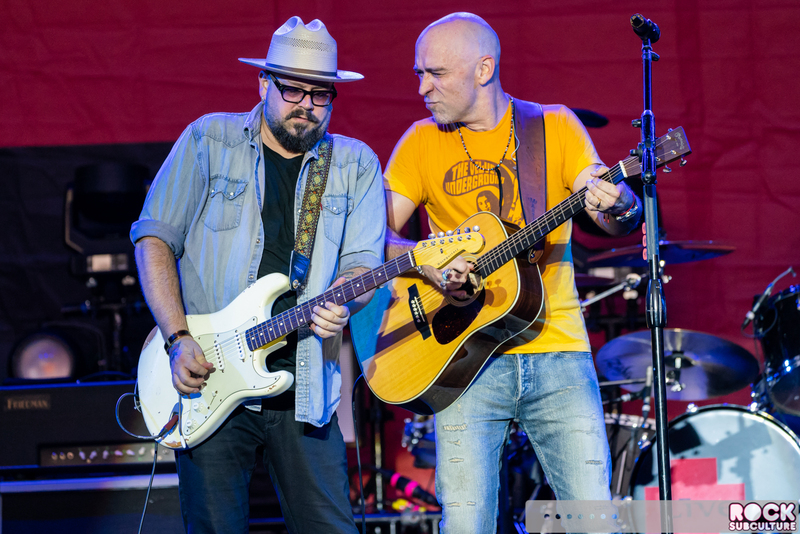 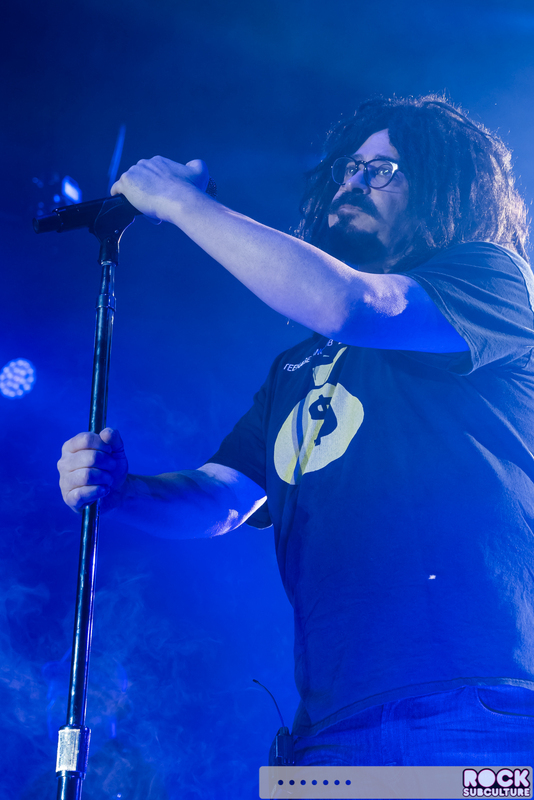 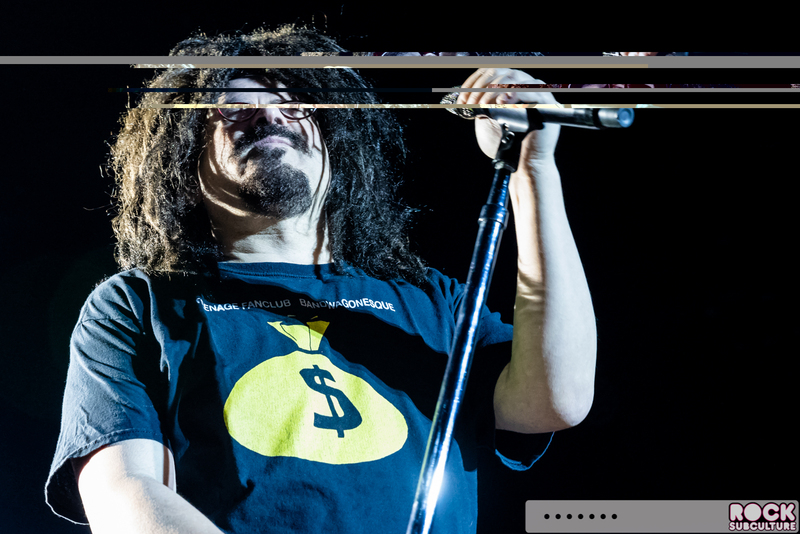 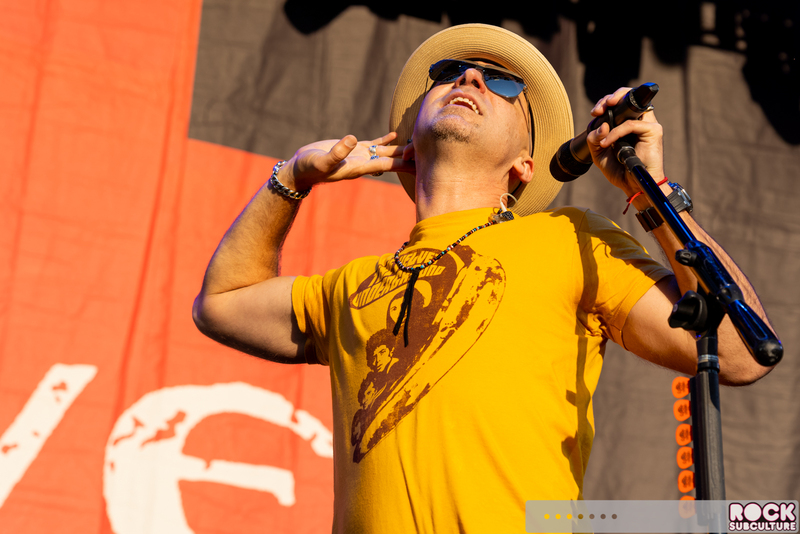 “I wanted to write a song about that… I wanted to reflect the idea of the country, and the sense of the country…” Adam Duritz of Counting Crows brought a mix of concert and storytelling to Ironstone Amphitheatre at Ironstone Vineyards on Tuesday night, as part of the band’s “25 Years And Counting Tour”. 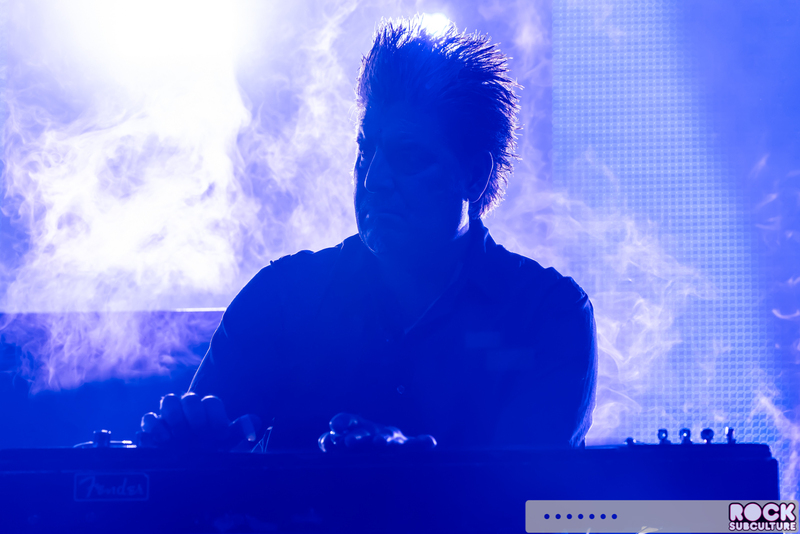 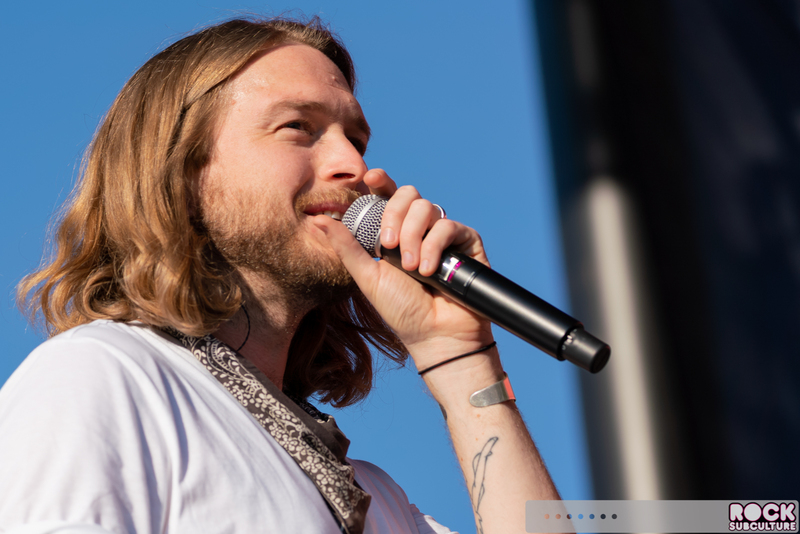 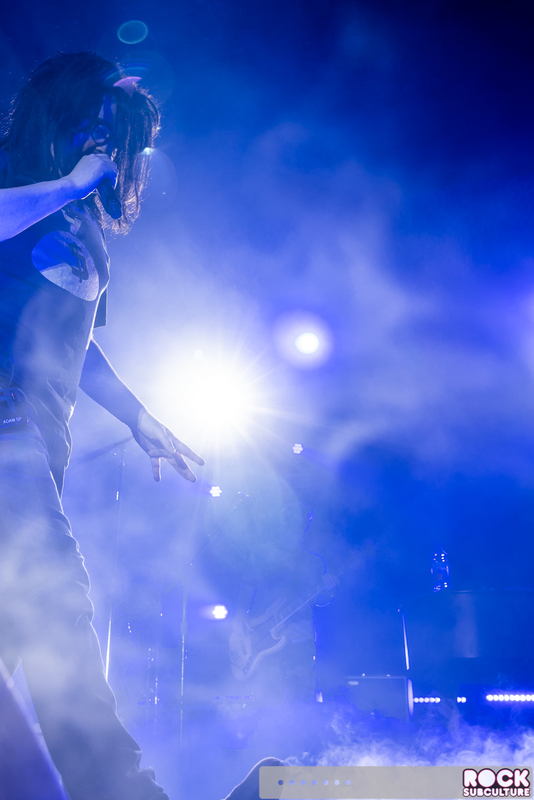 He shared some stories about the origins and inspirations behind the songs that are so familiar to their fans, in a sprawling set approaching two hours. 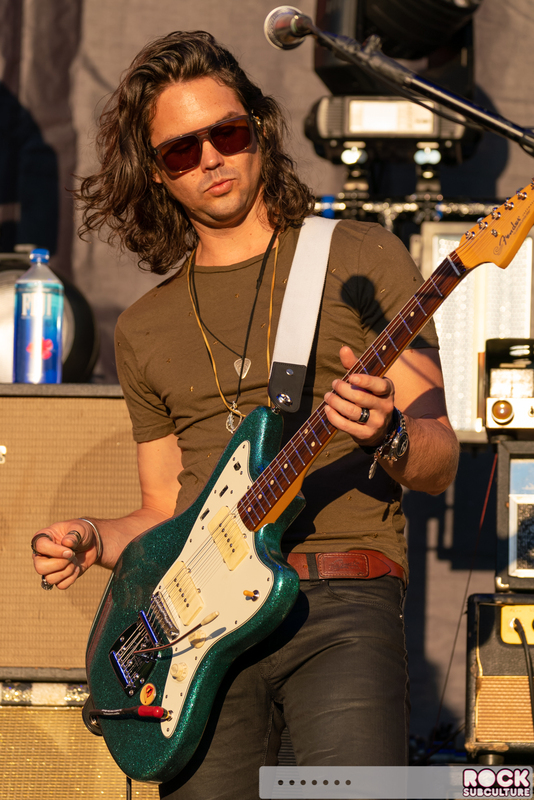 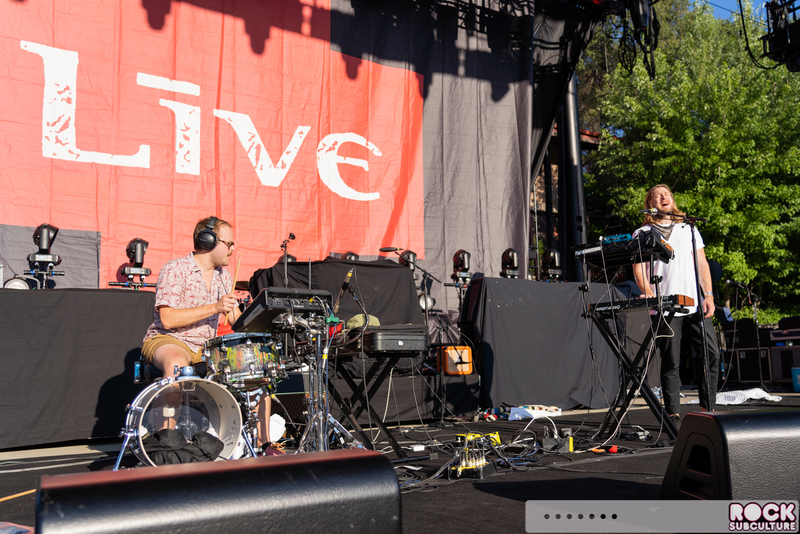 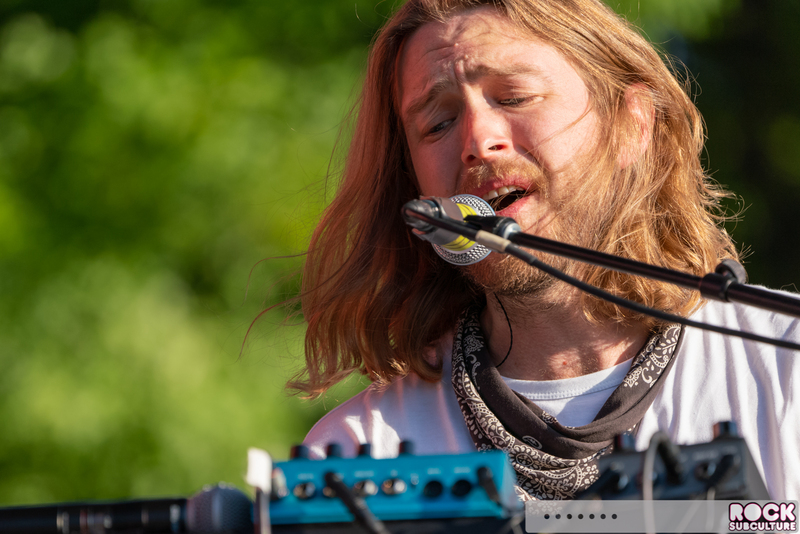 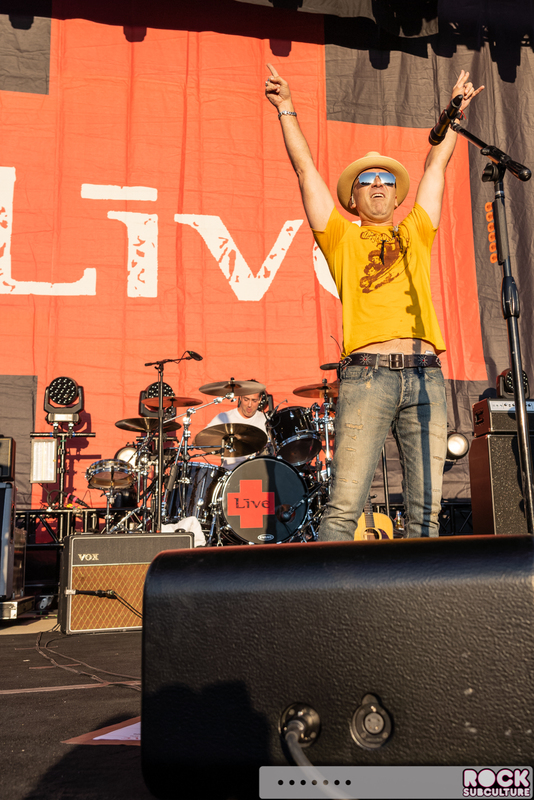 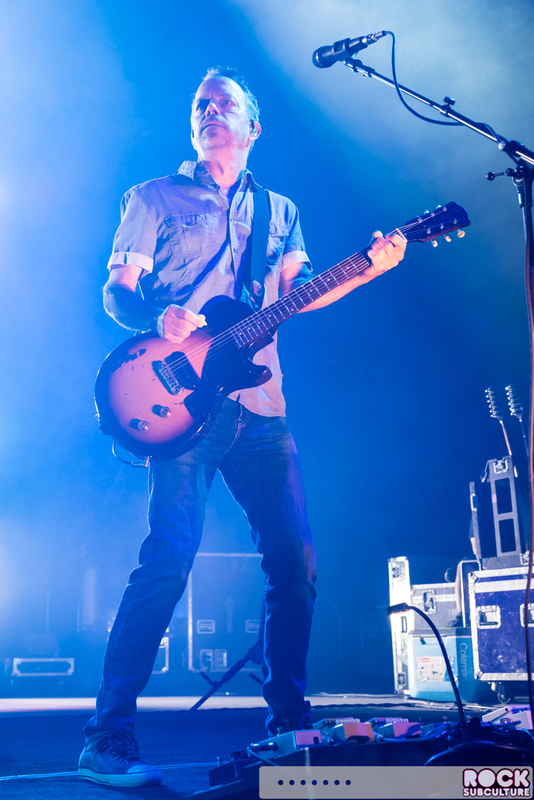 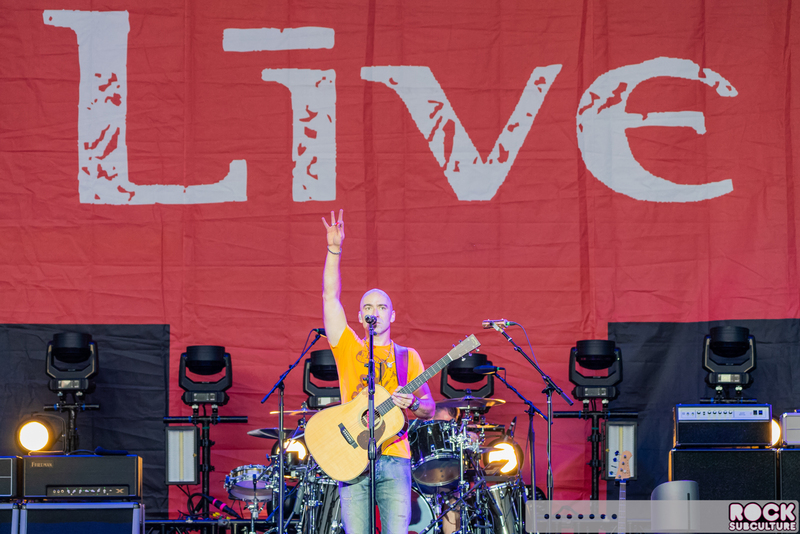 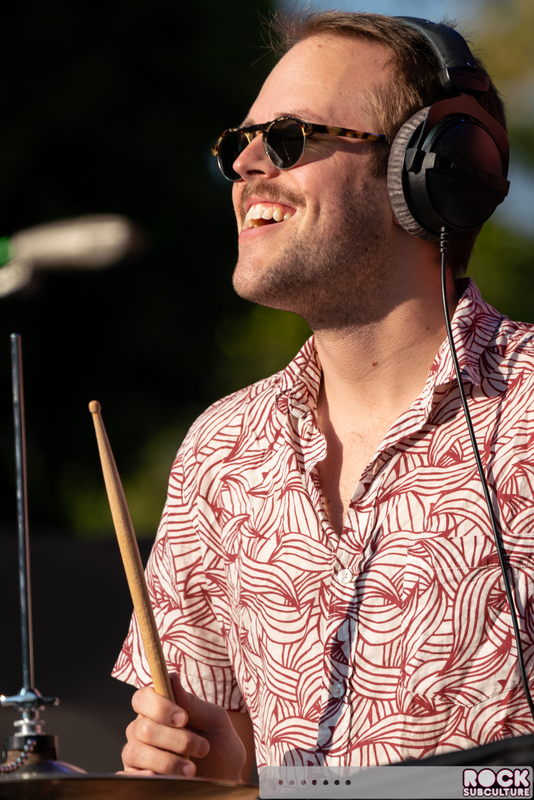 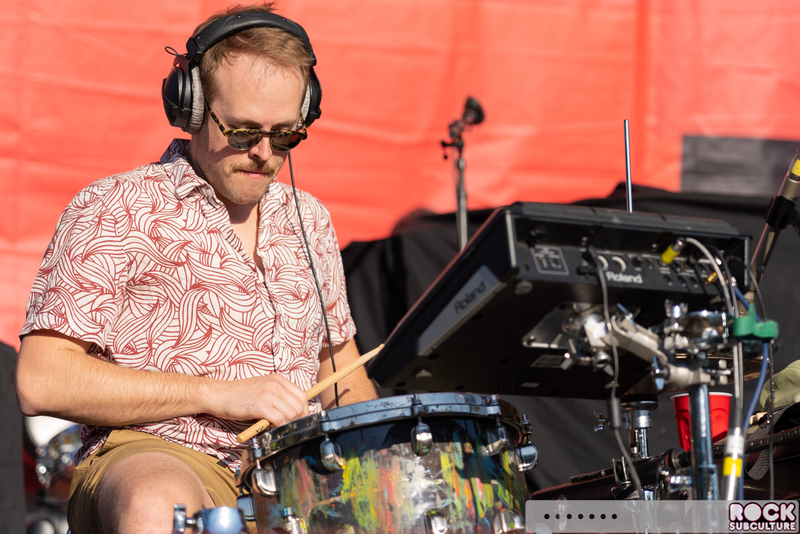 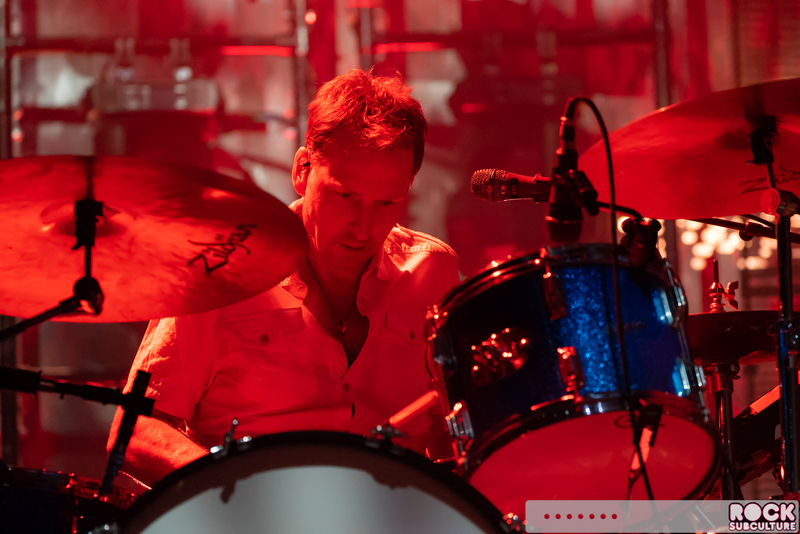 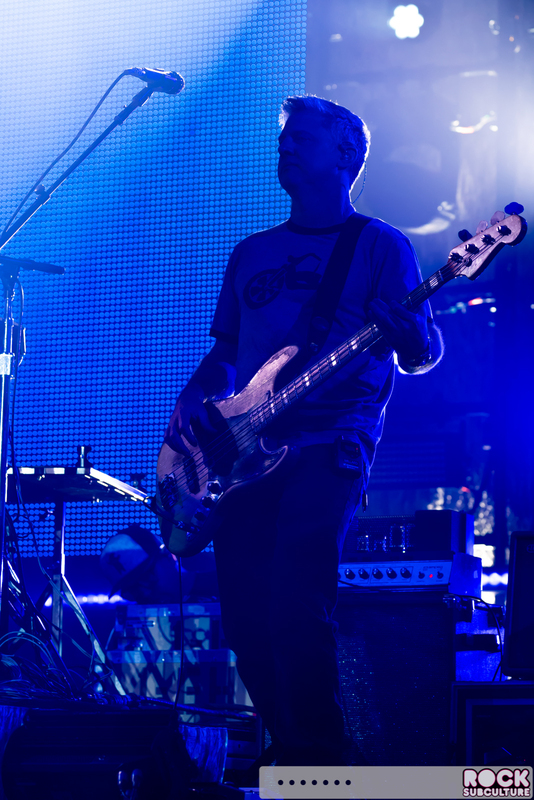 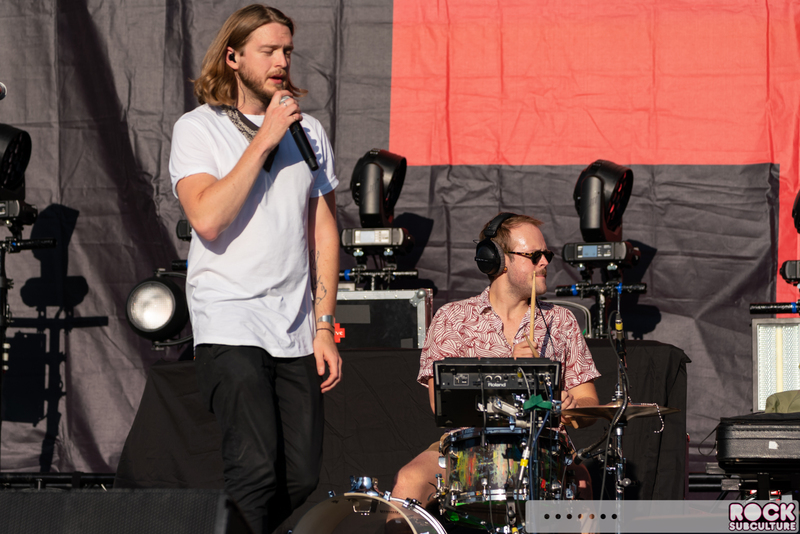 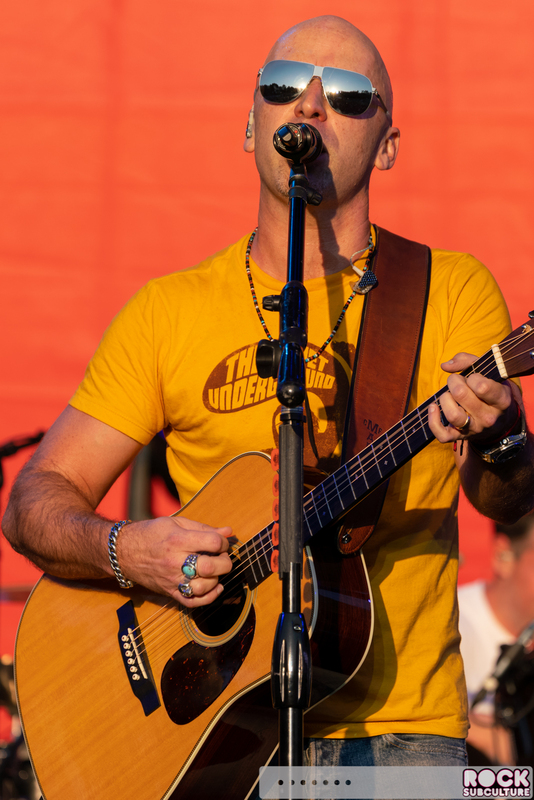 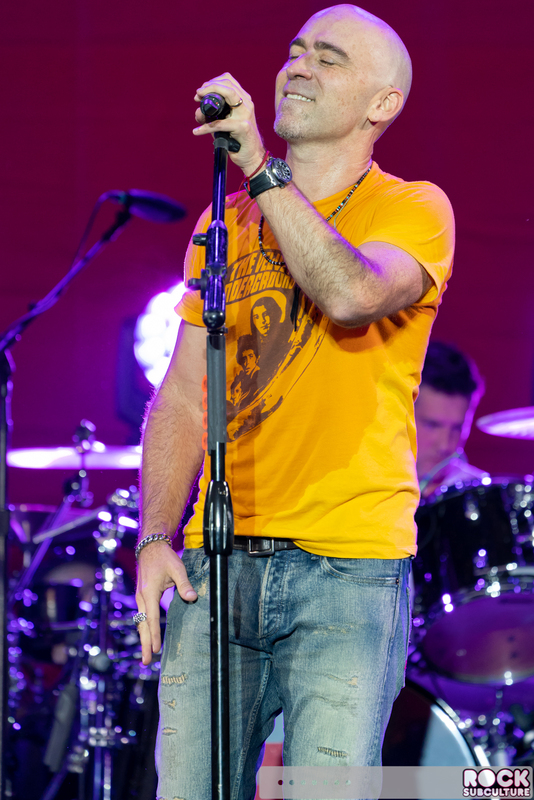 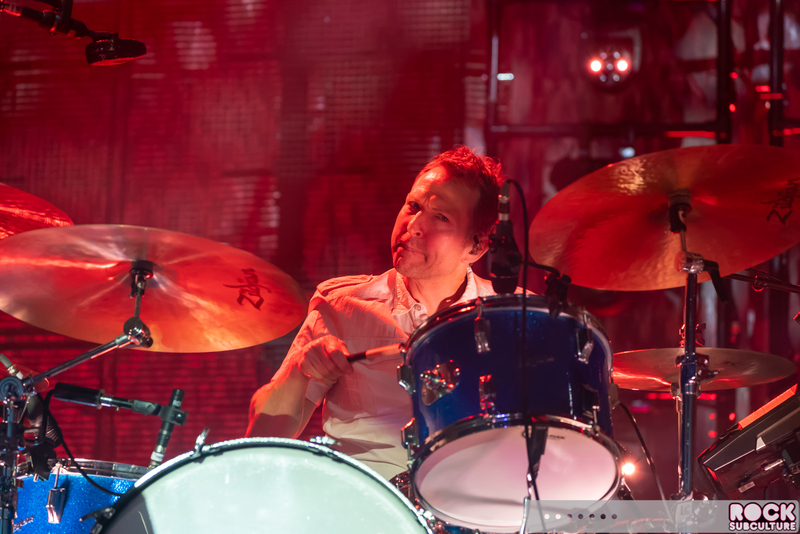 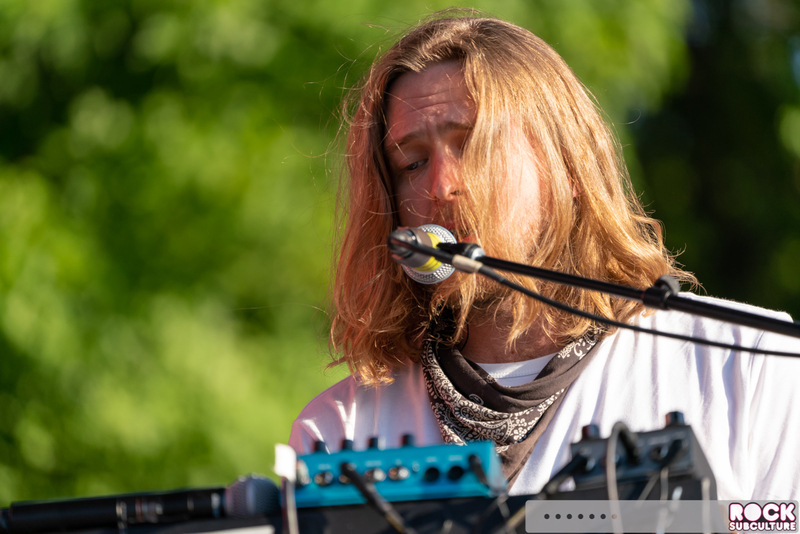 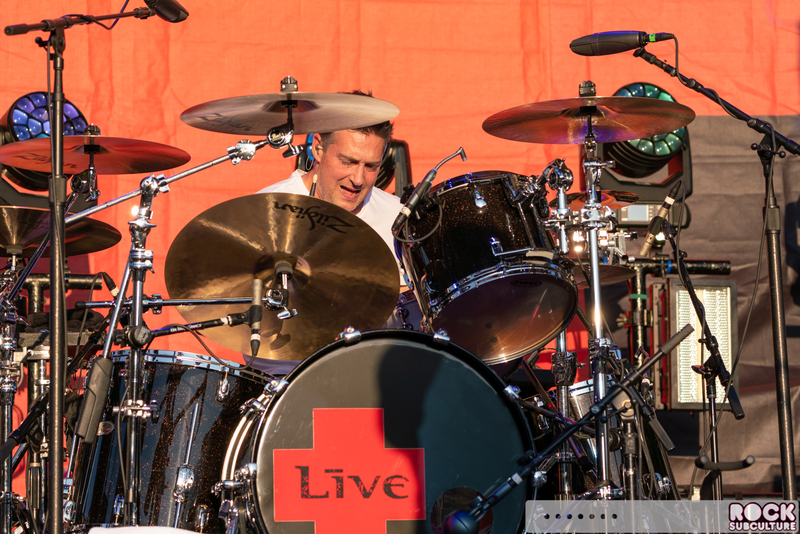 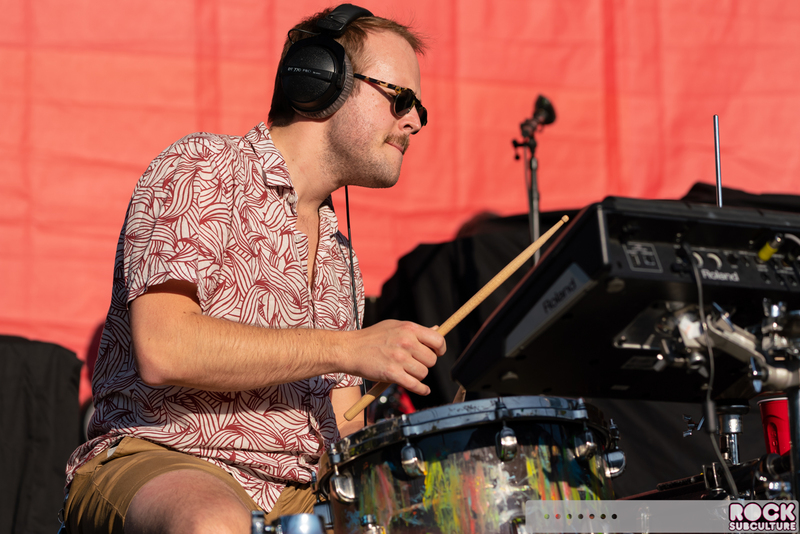 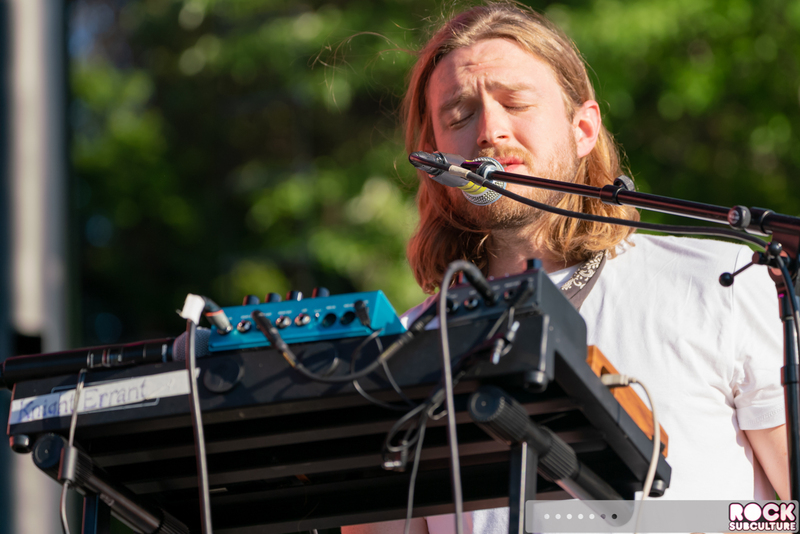 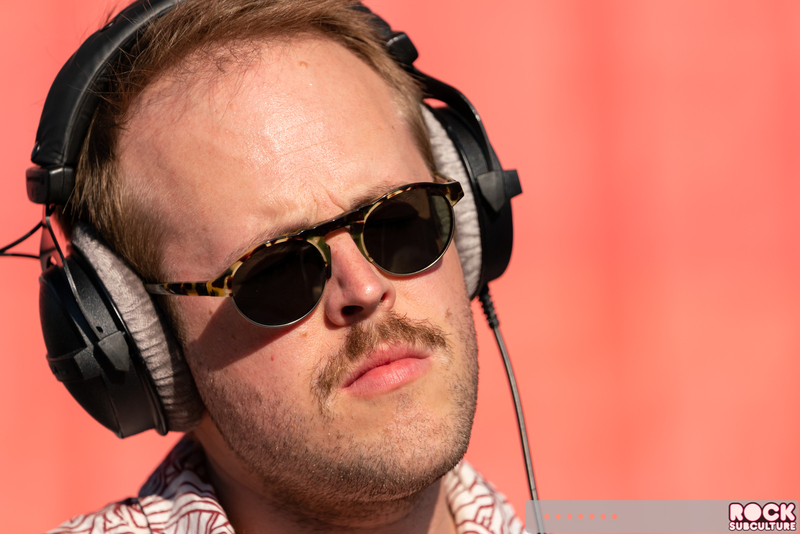 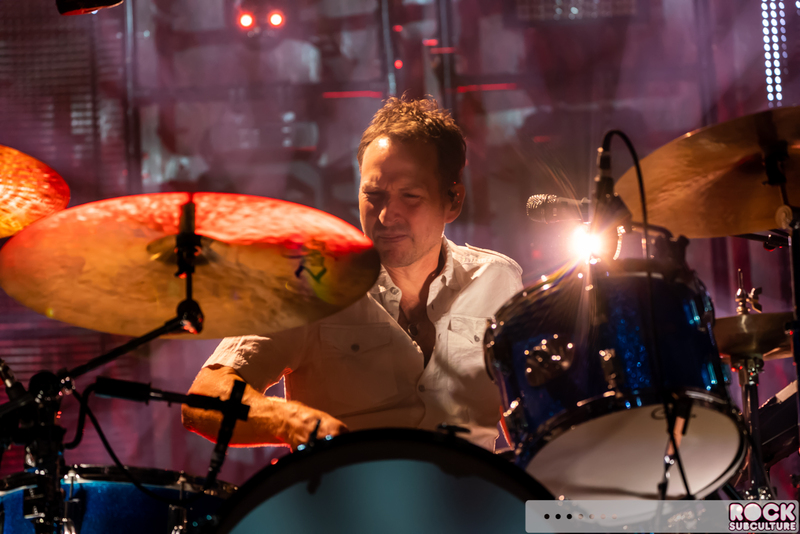 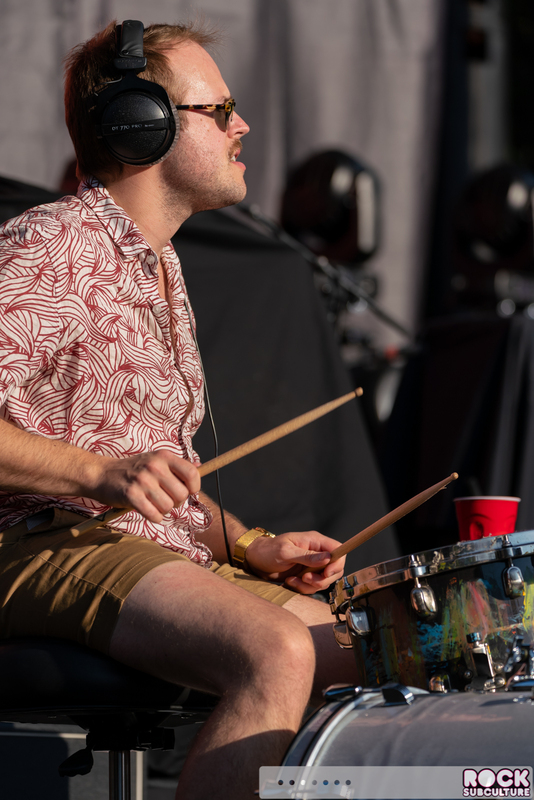 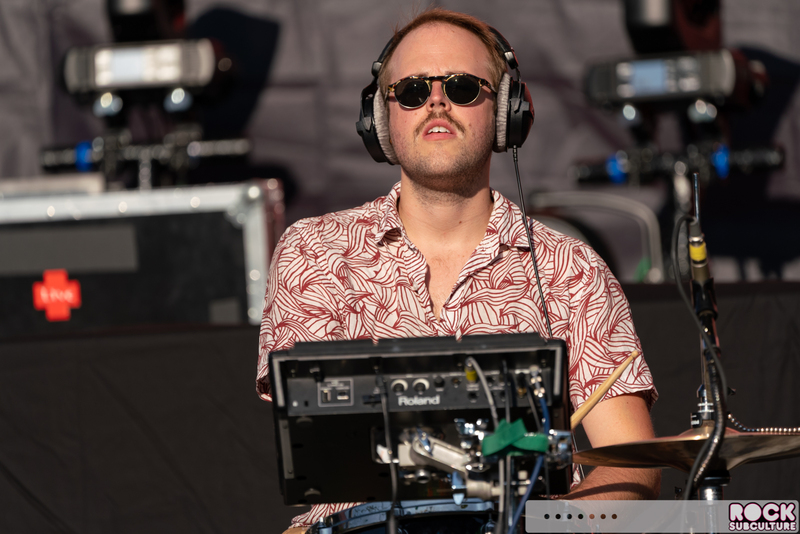 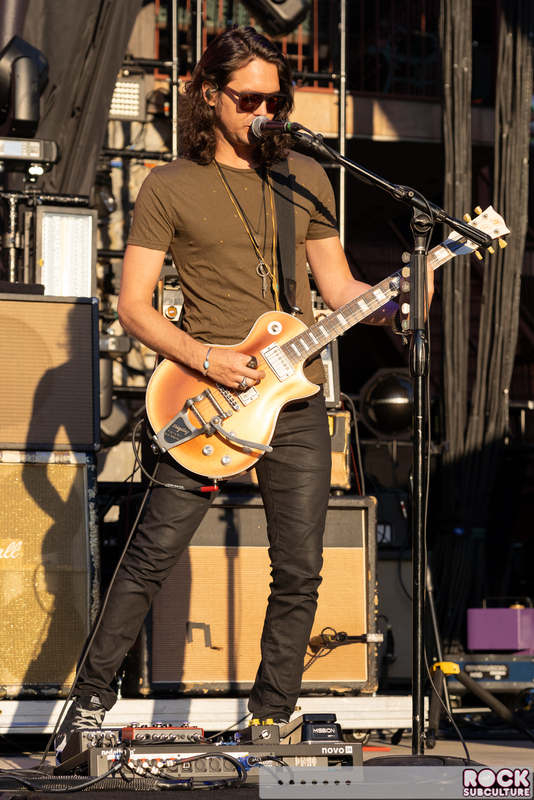 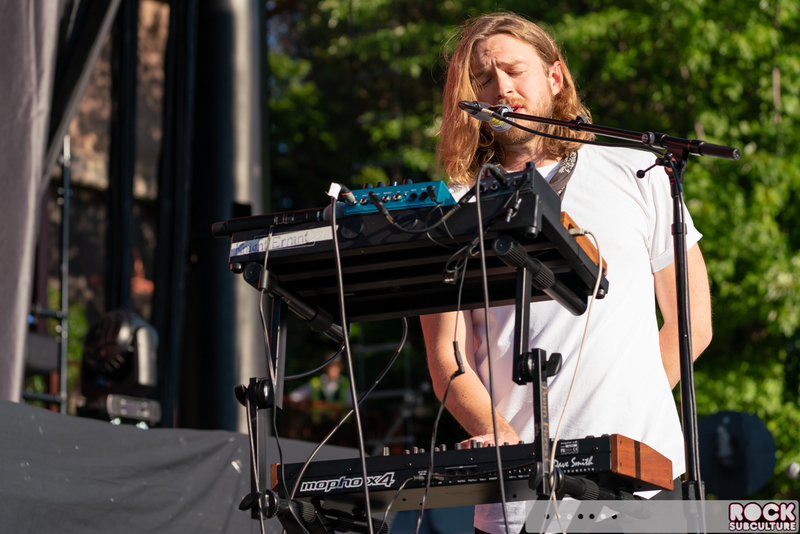 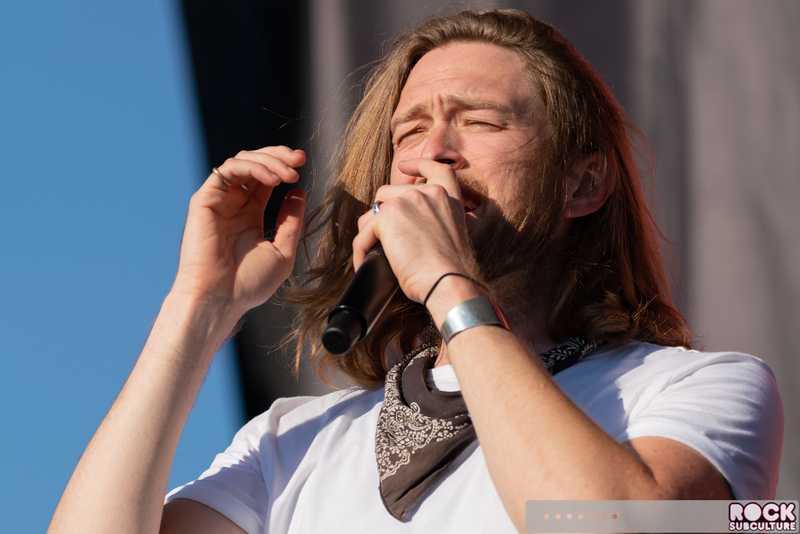 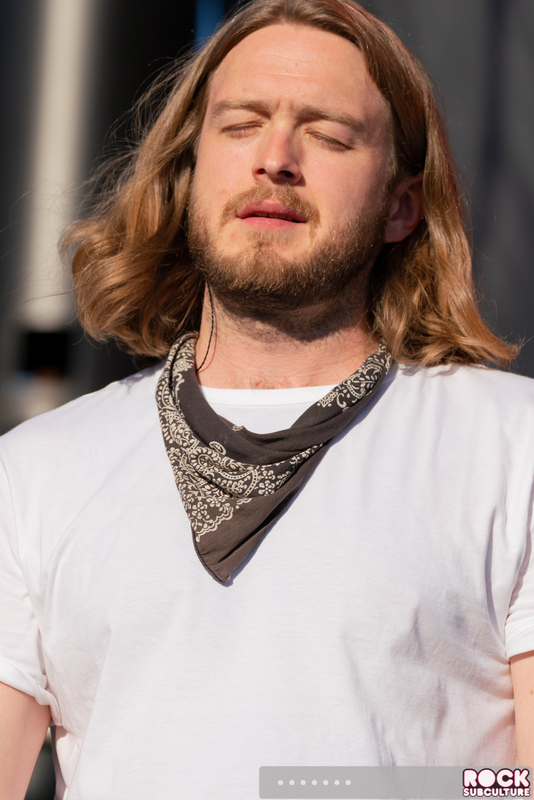 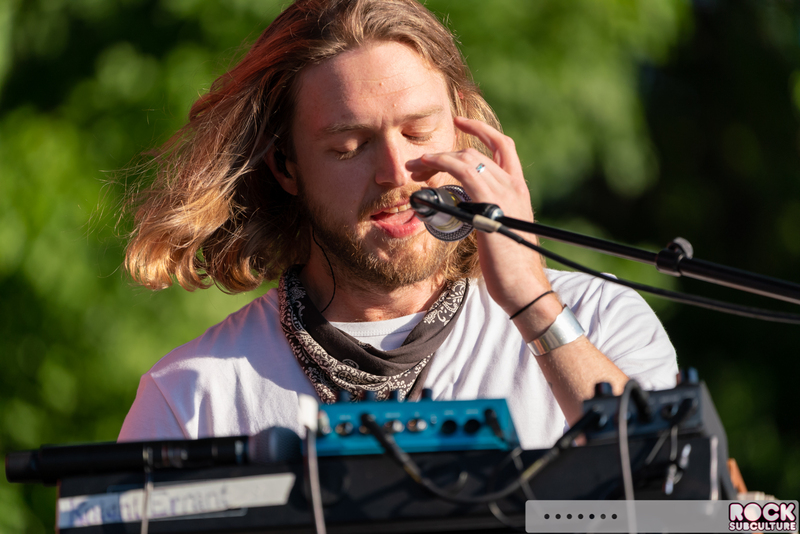 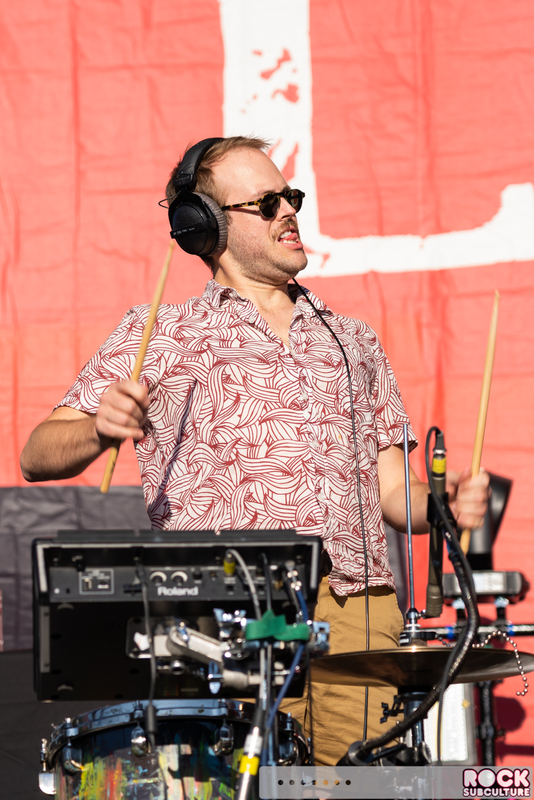 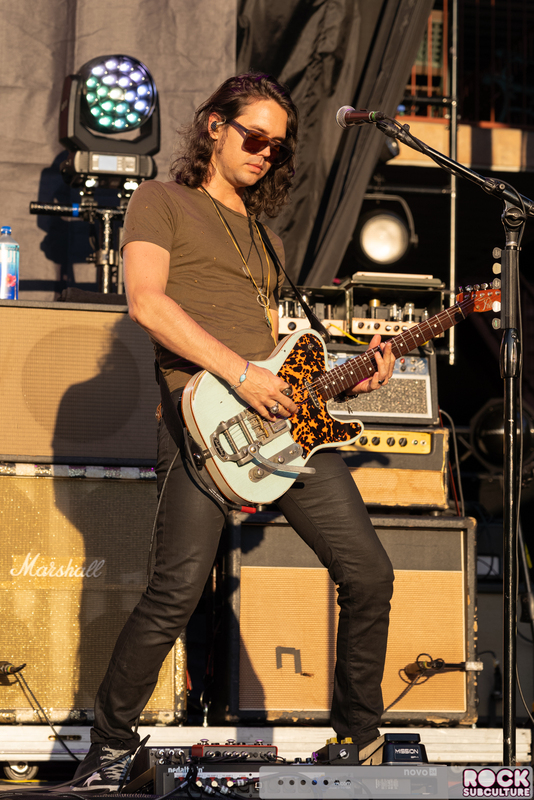 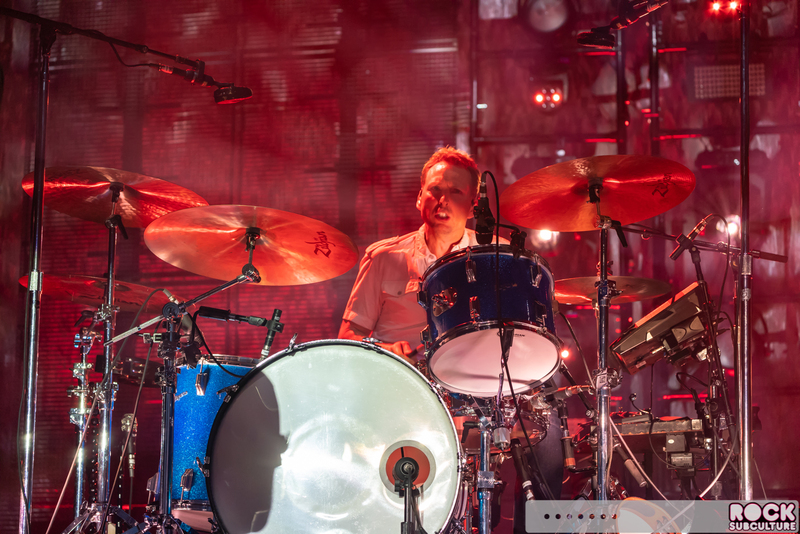 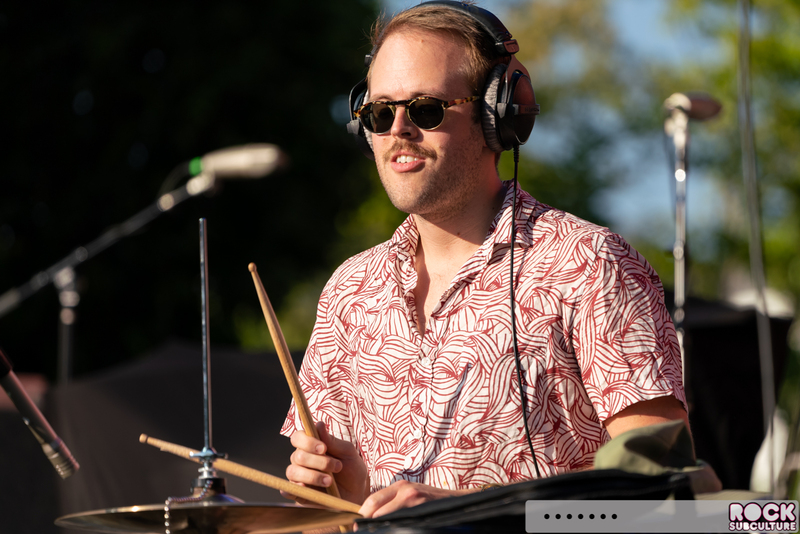 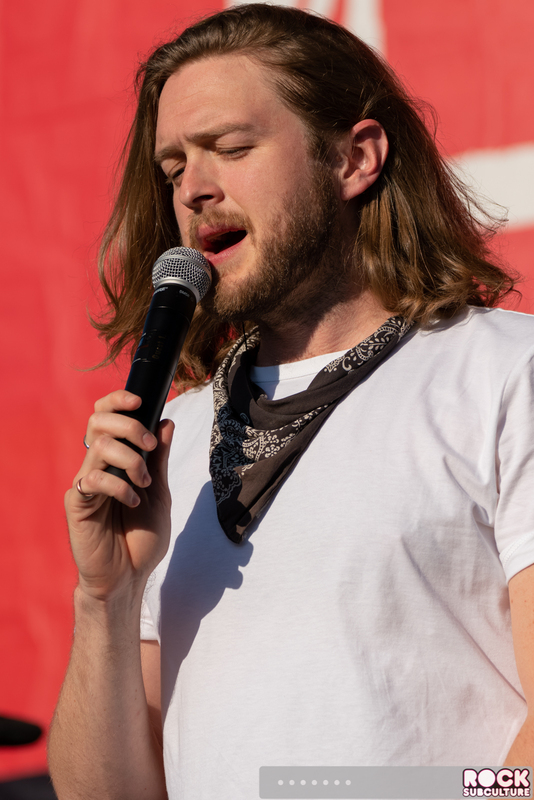 In addition, the crowd also enjoyed a lengthy set from the band Live as well as younger act Boom Forest. 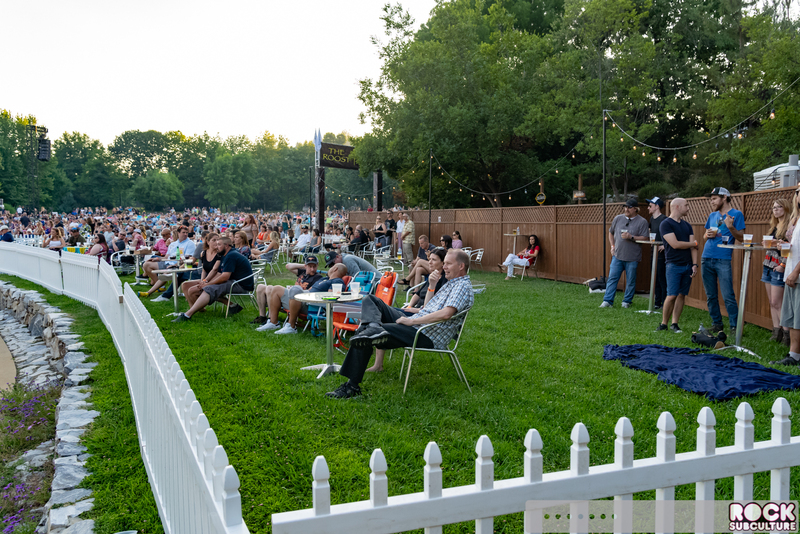 It was a beautiful night in Murphys and the mix of musical styles and genres entertained the massive crowd in attendance. 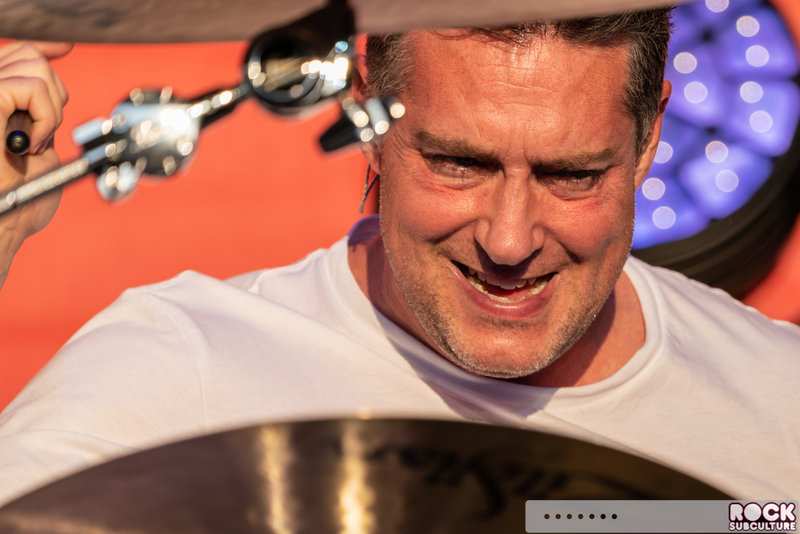 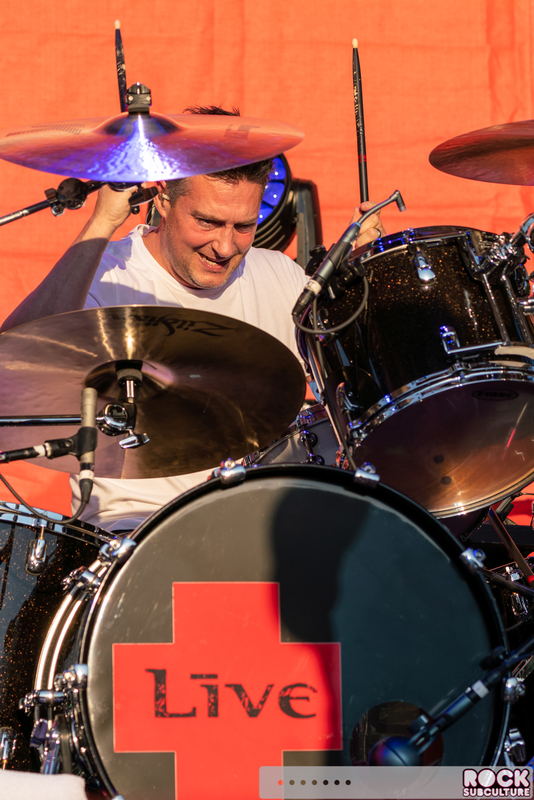 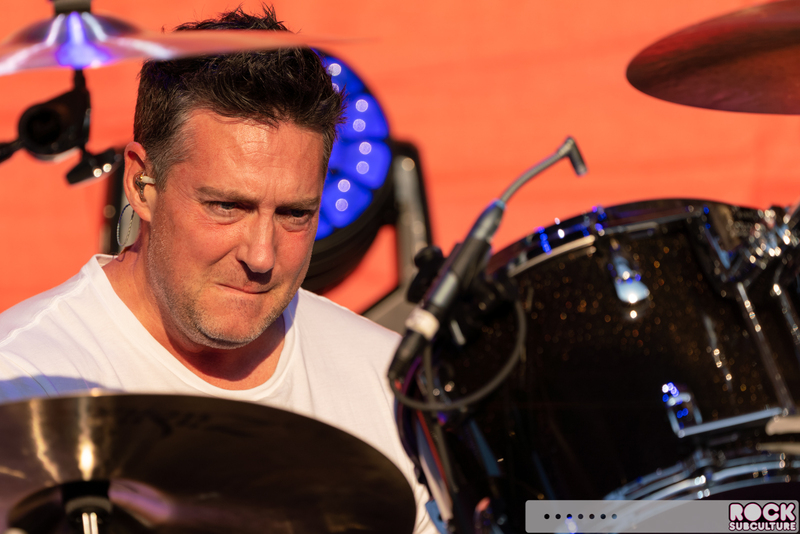 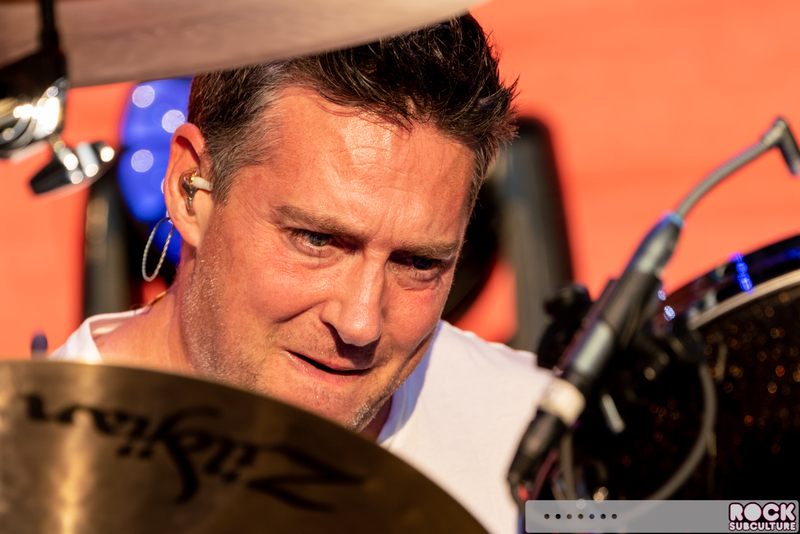 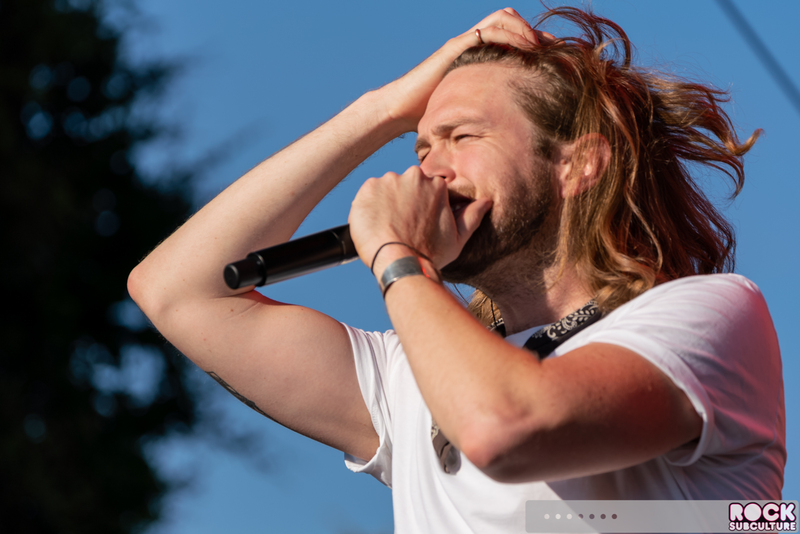 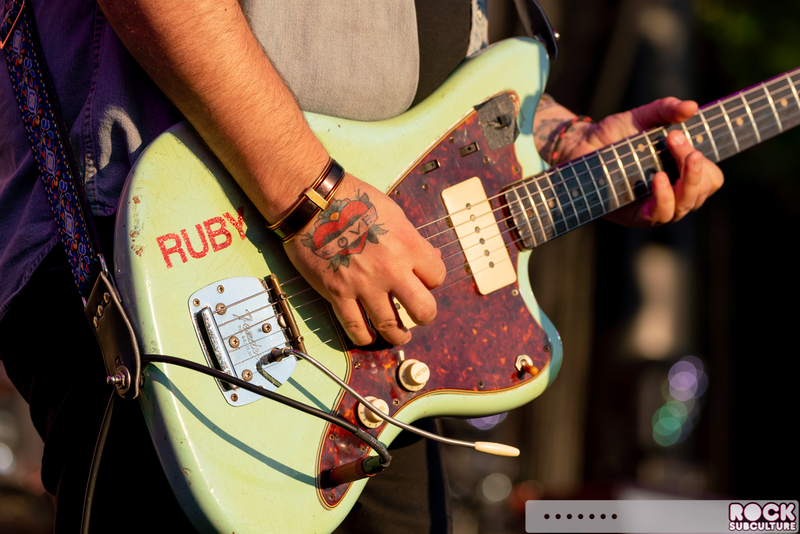 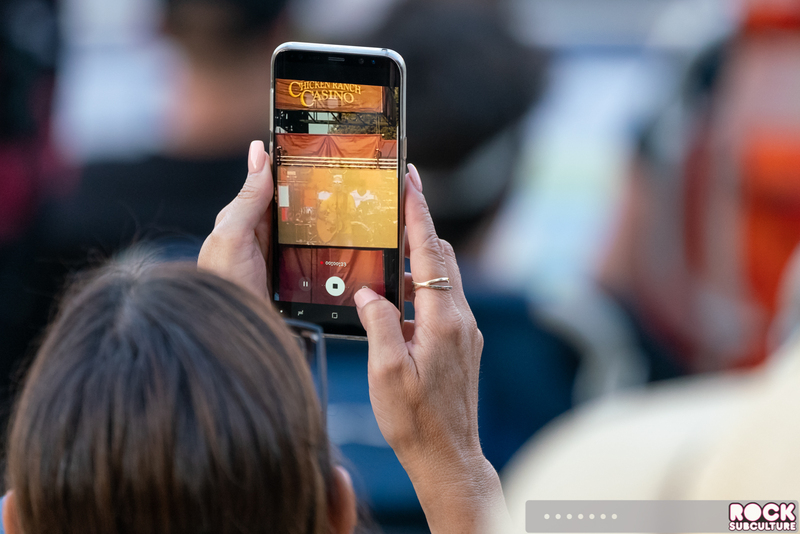 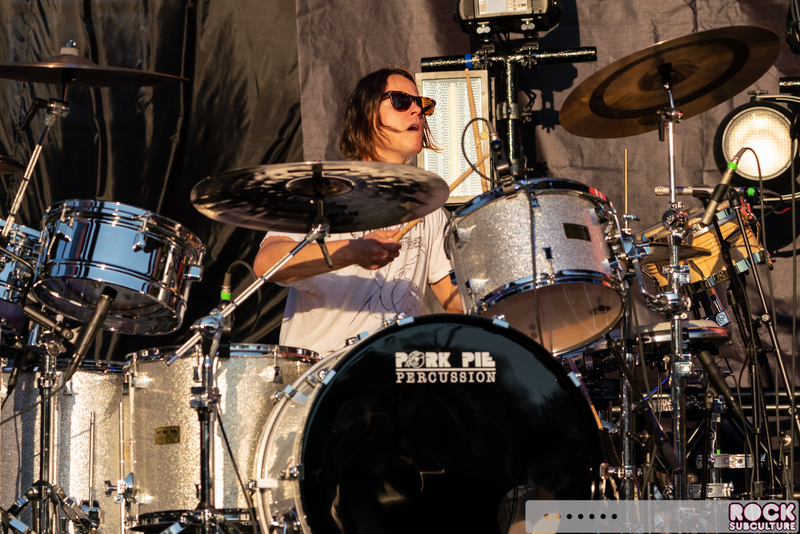 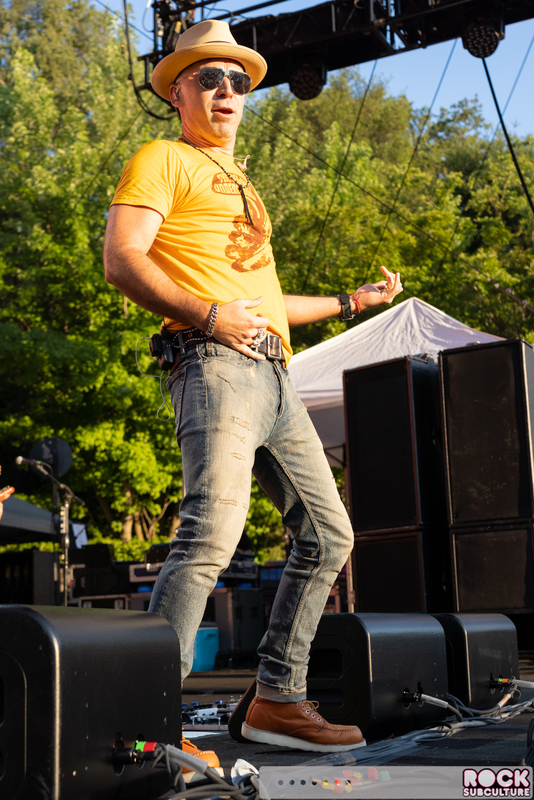 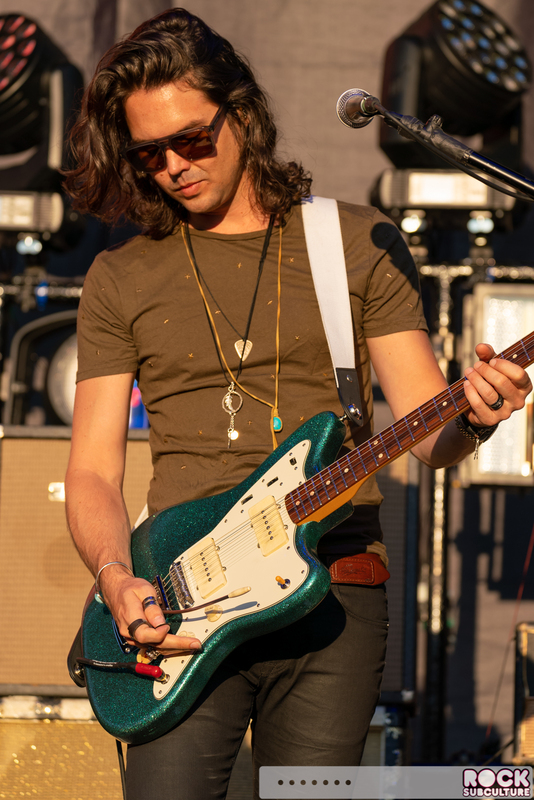 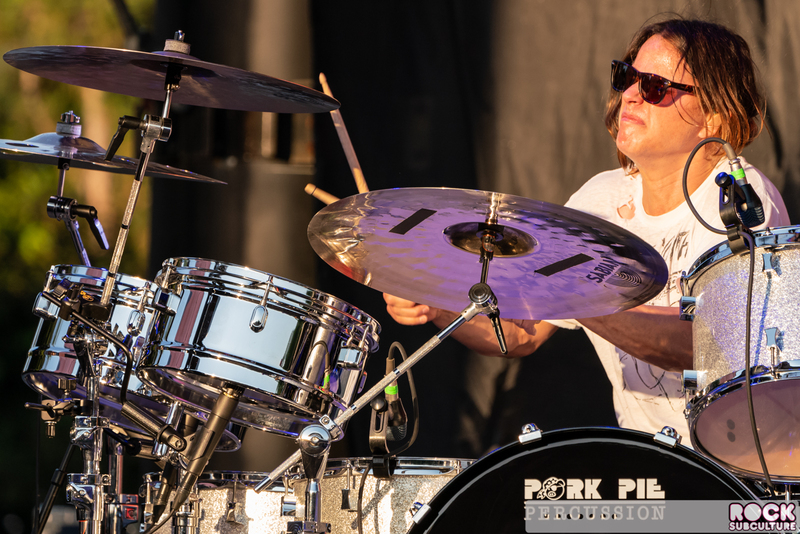 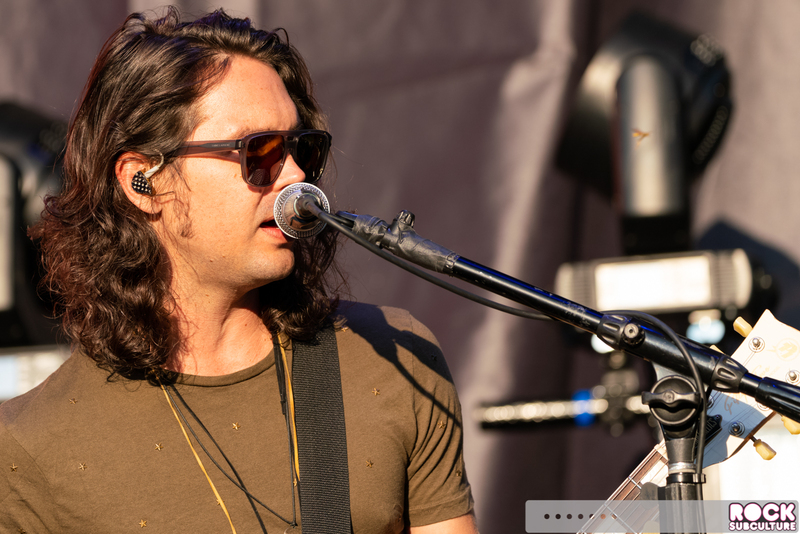 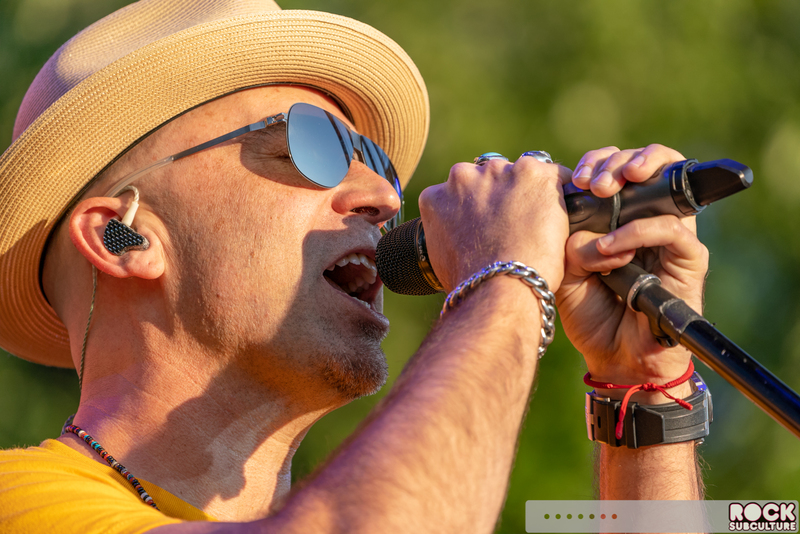 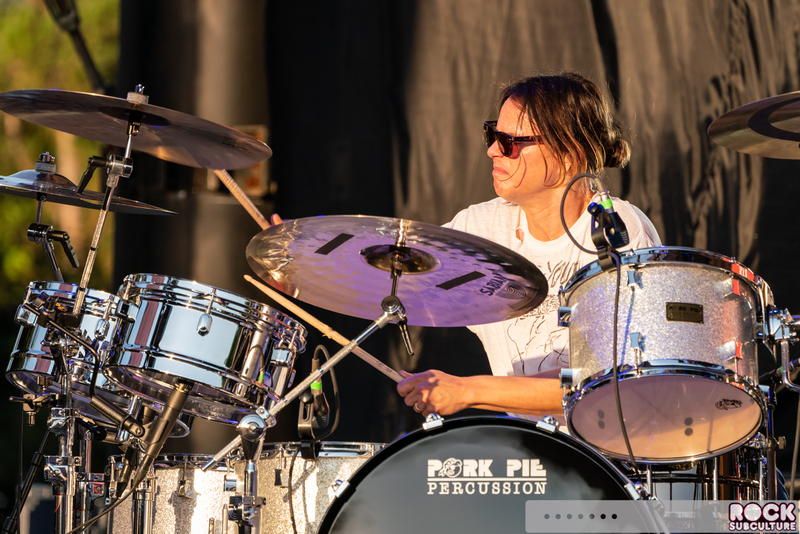 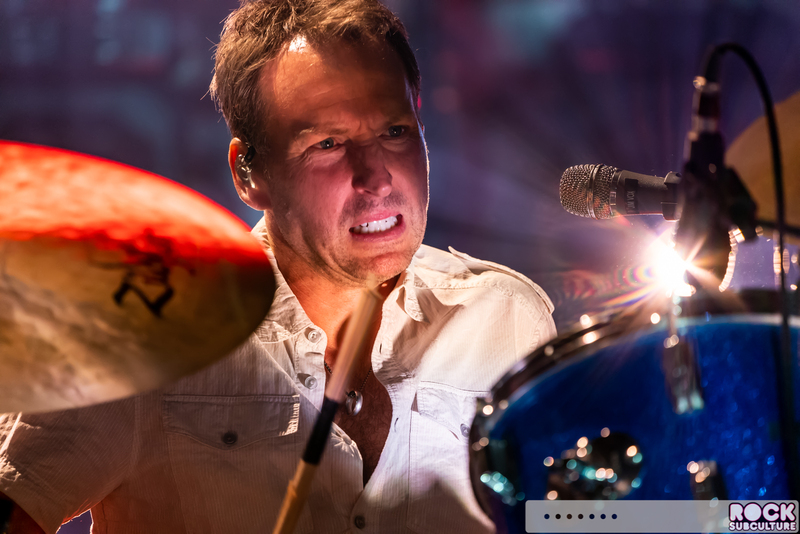 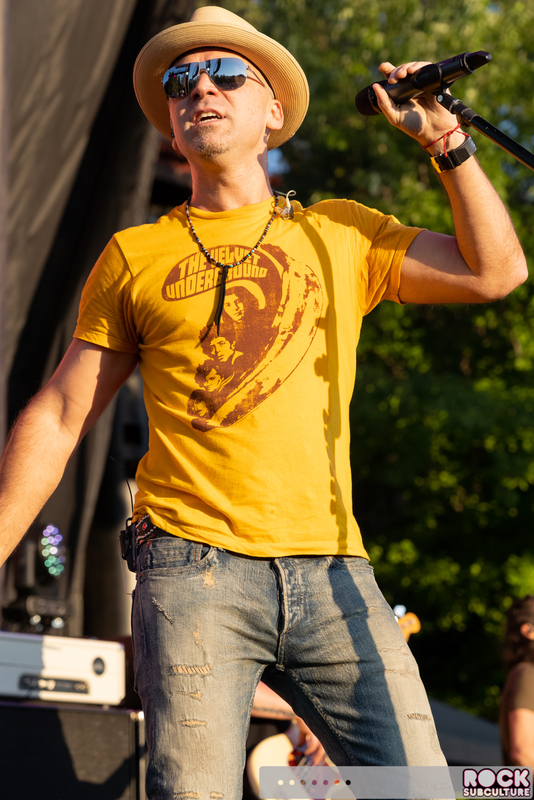 The show Tuesday night was the third so far for Richter Entertainment Group’s Summer Concert Season at Ironstone Amphitheatre in Murphys. 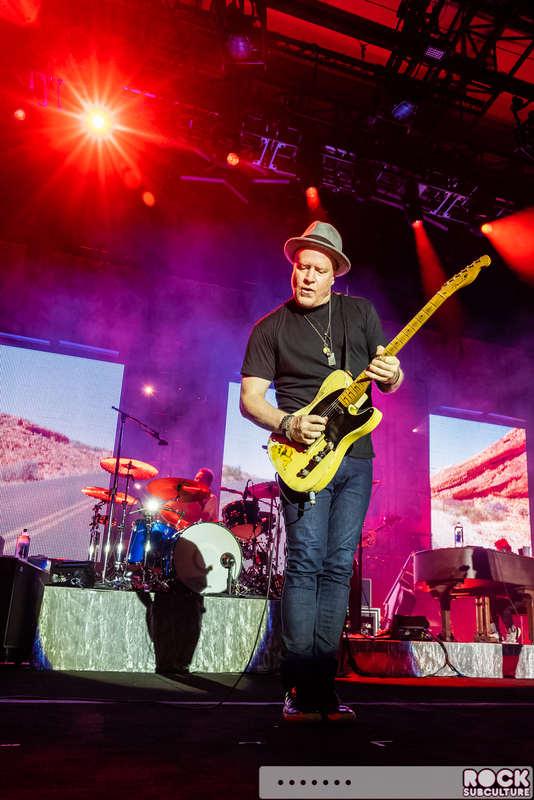 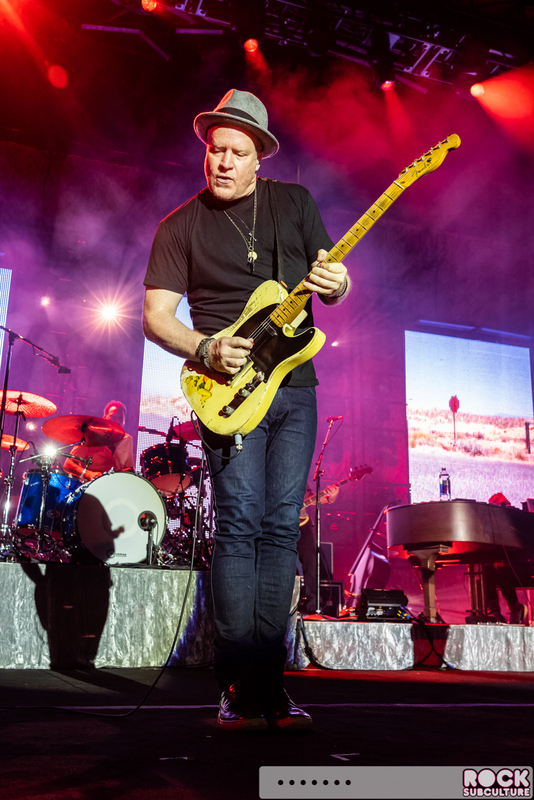 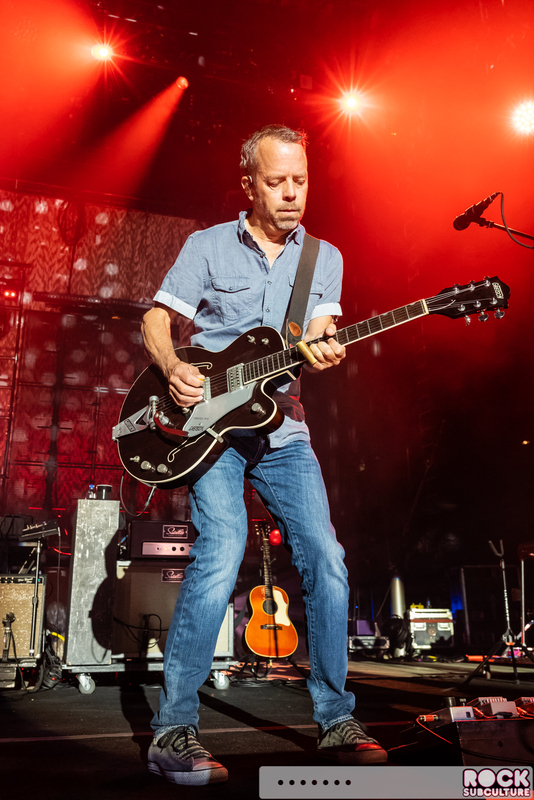 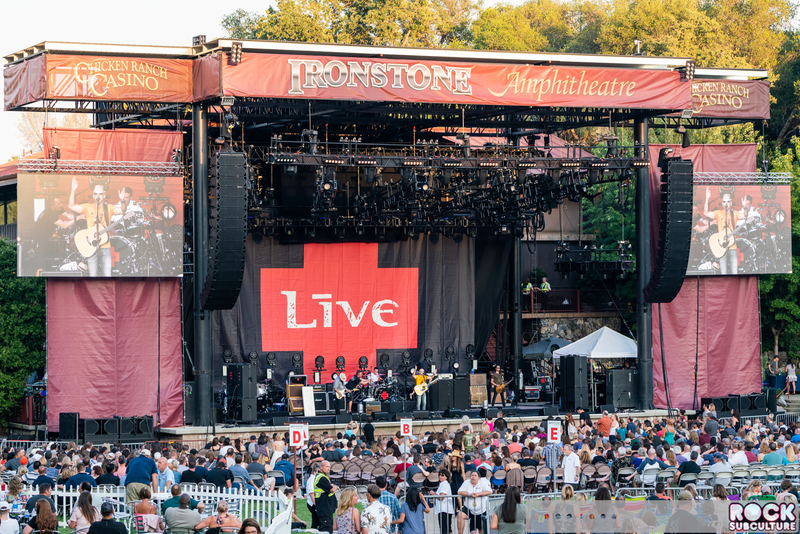 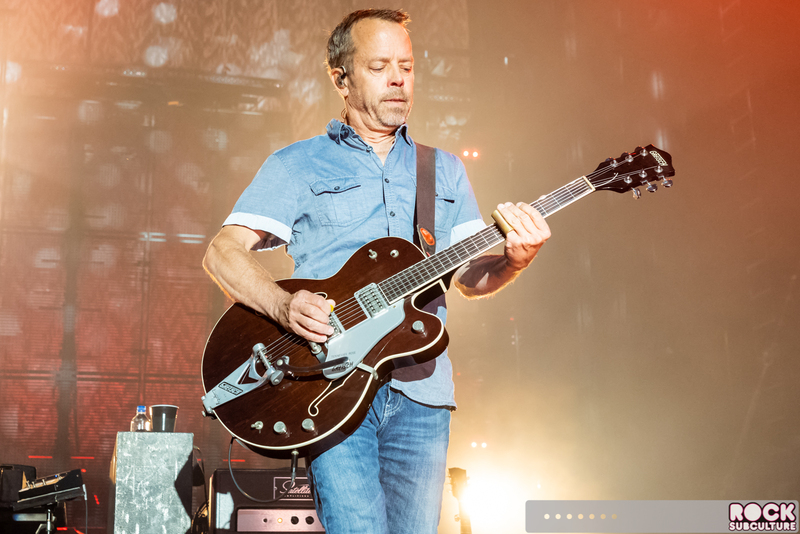 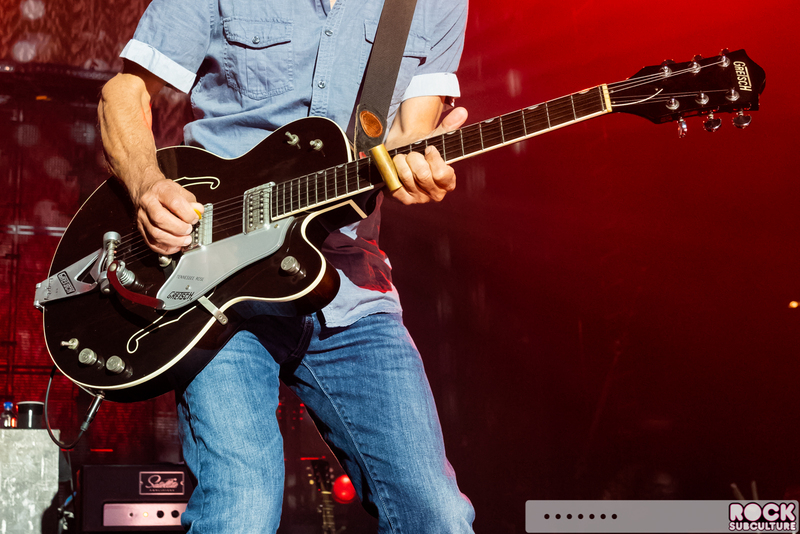 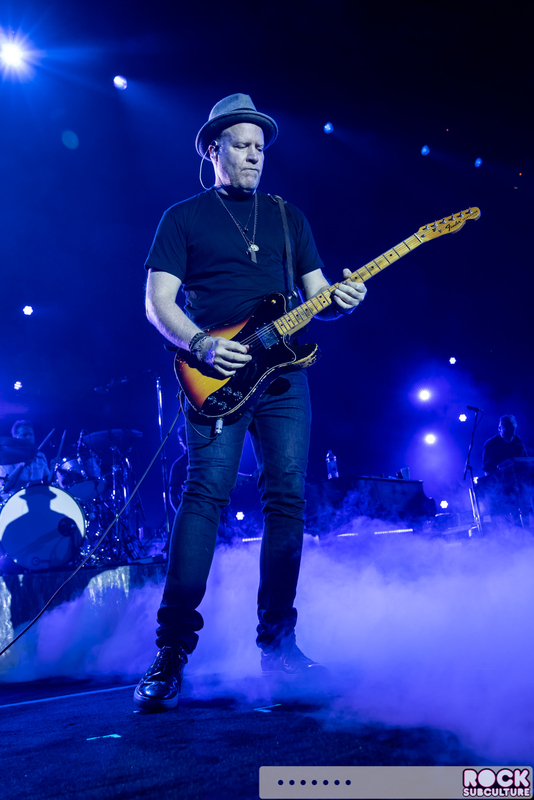 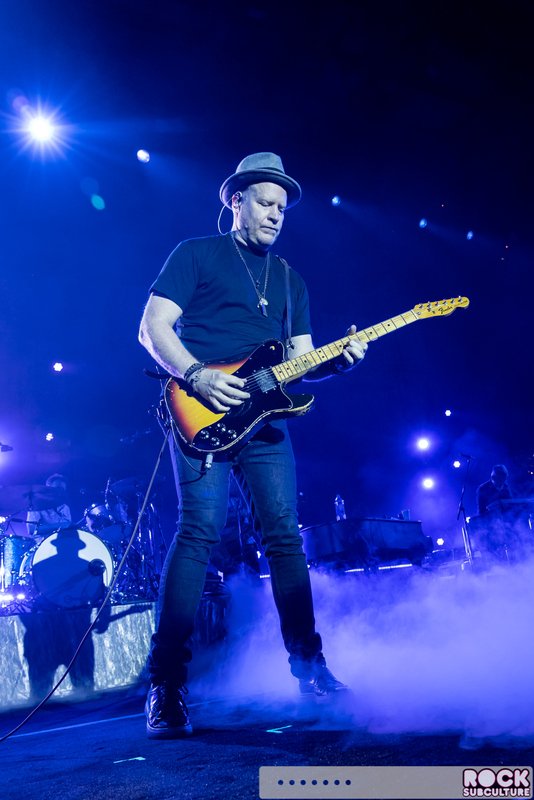 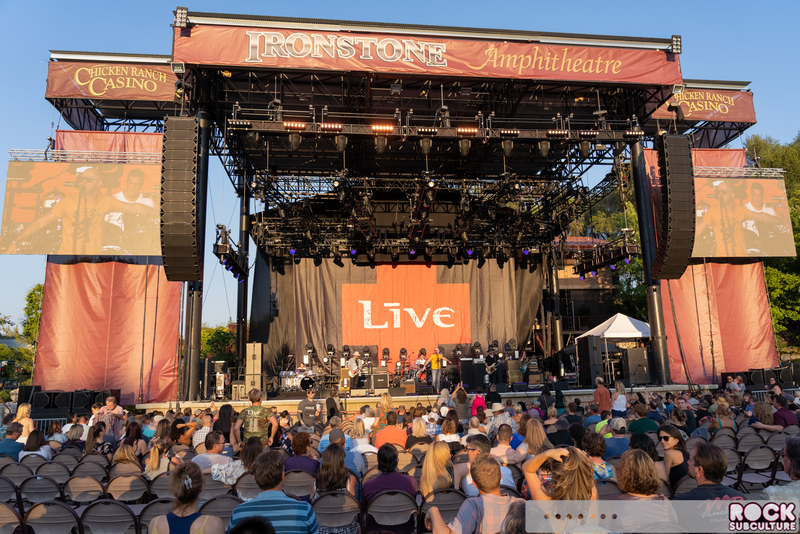 Artists to be featured in 2018 include Toby Keith, Little Big Town, The Isley Brothers, The Commodores, The Family Stone, Willie Nelson, Alison Krauss, Foreigner, Jason Bonham’s Led Zeppelin Experience, Queensryche, Counting Crows, Live, Creedence Clearwater Revisited, America, Stone Temple Pilots, The Cult, Bush, Culture Club, The B-52s, Tom Bailey from Thompson Twins, and more! 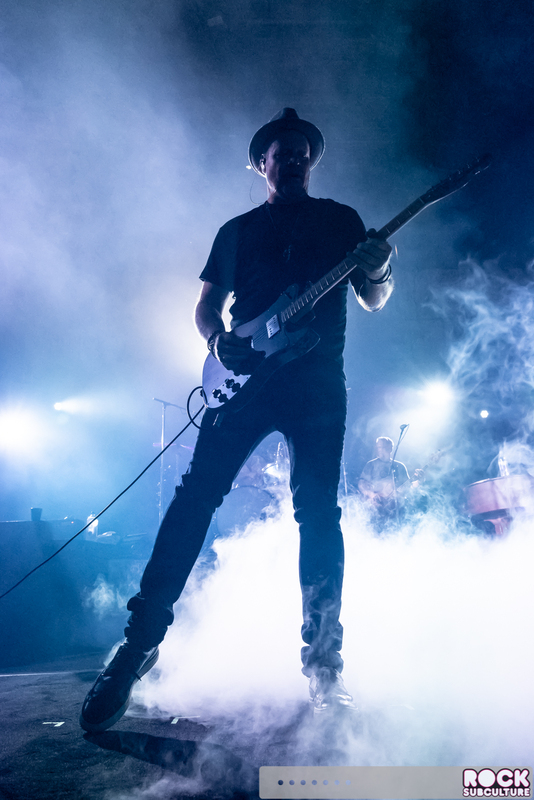 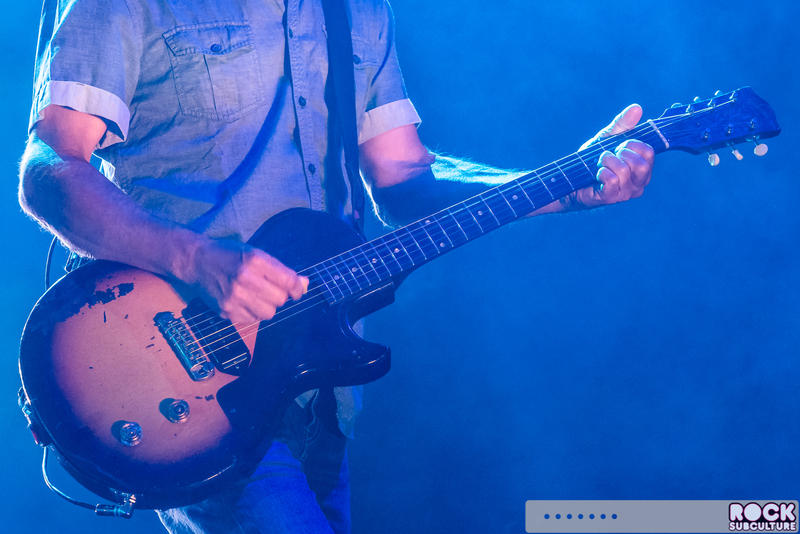 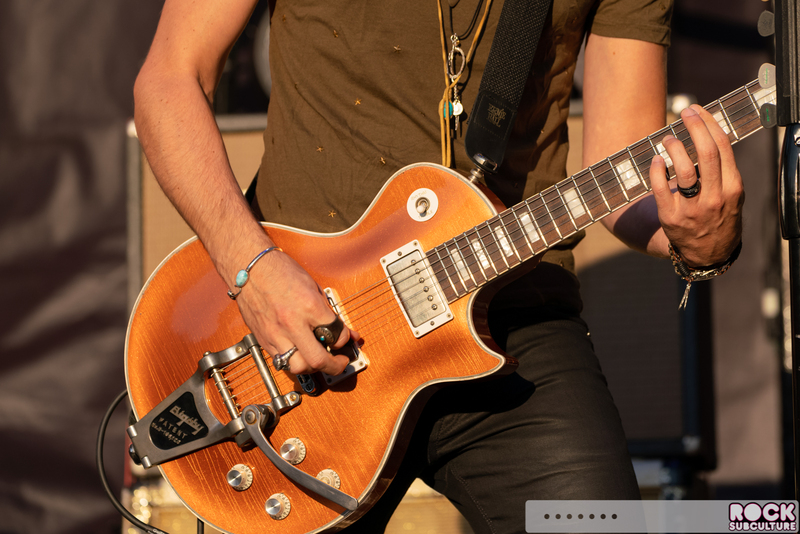 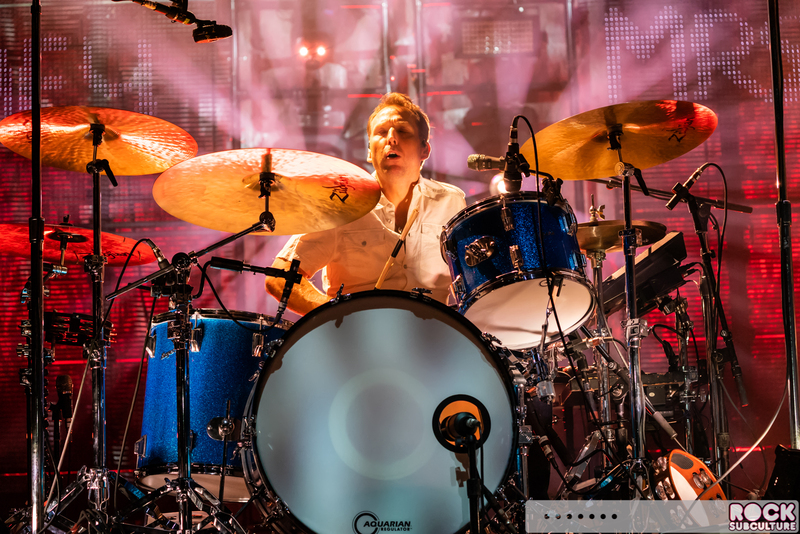 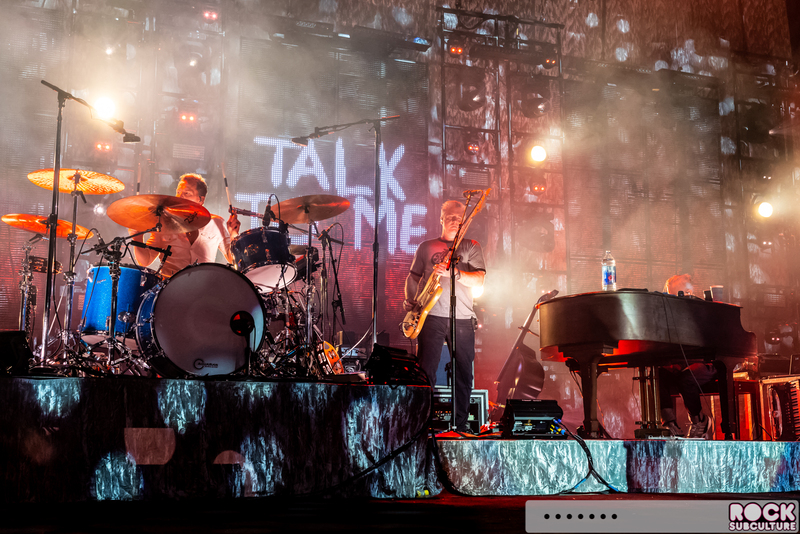 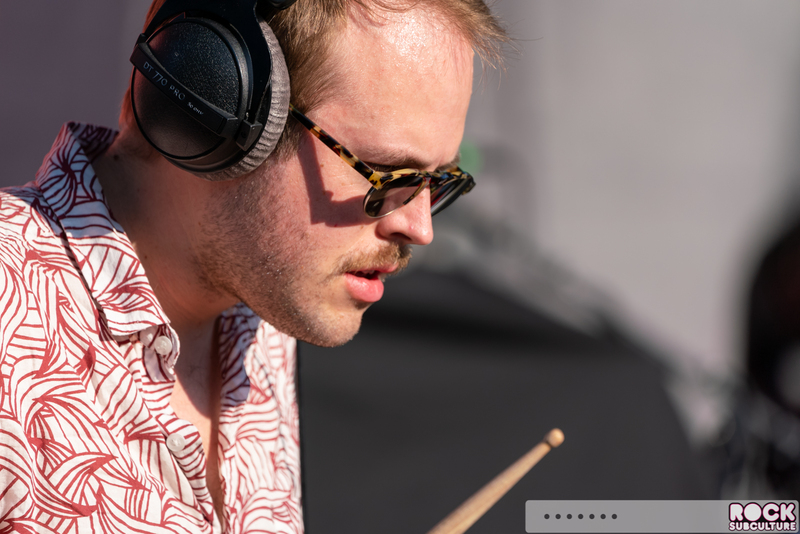 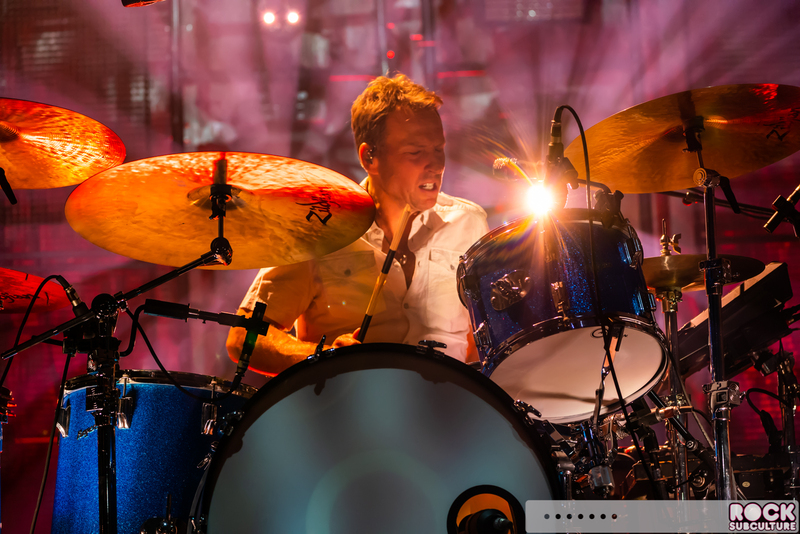 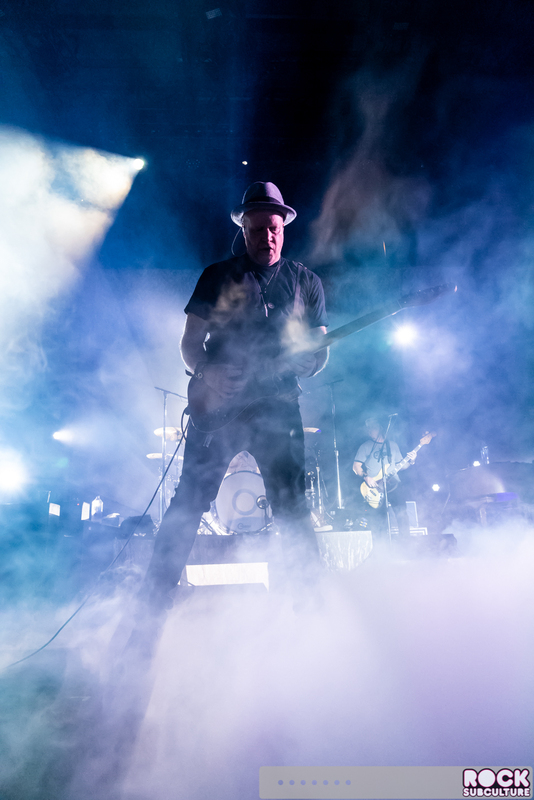 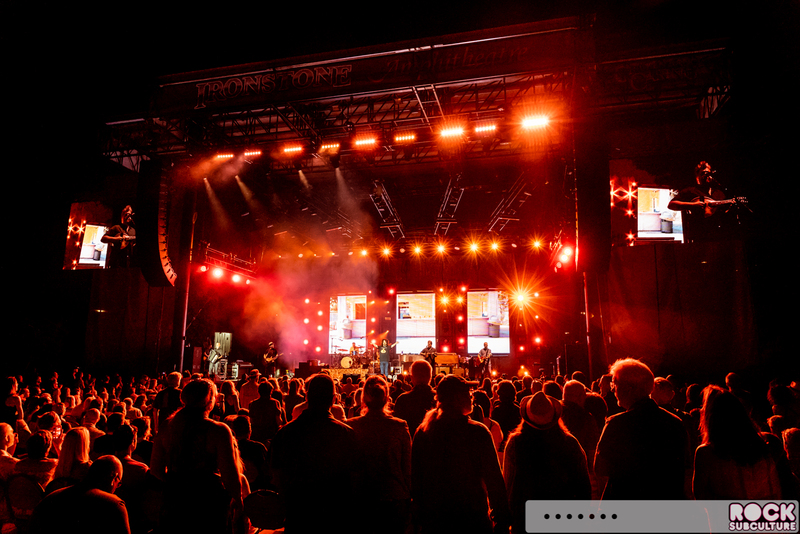 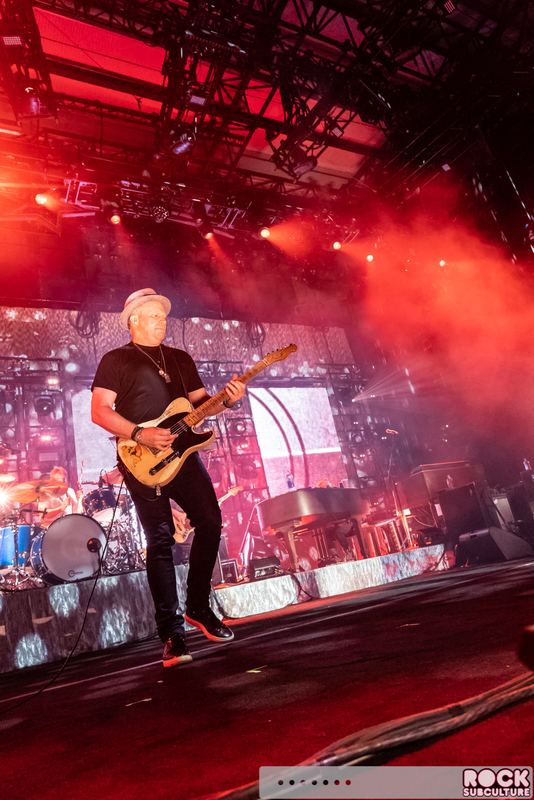 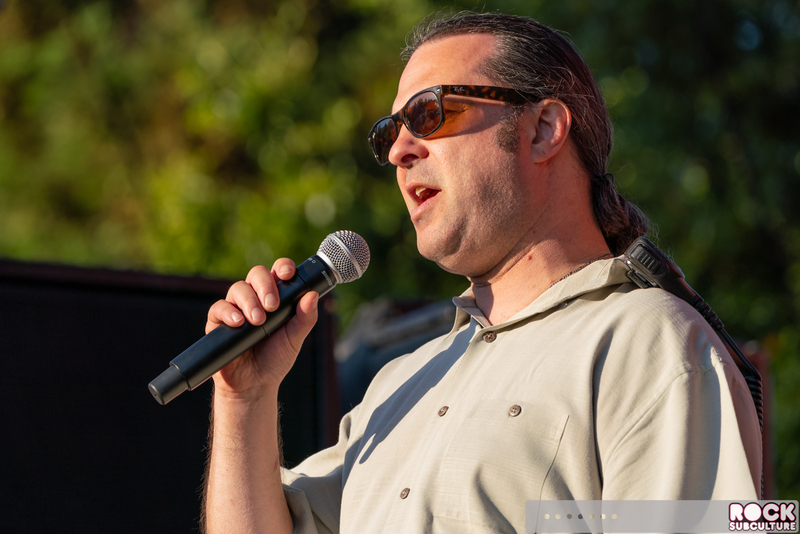 Richter Entertainment Group assembles an eclectic mix of musical artists, styles and genres every year, all benefiting from the state-of-the-art concert facility with top quality sound and lighting to placed each artist in the spotlight to showcase their music. 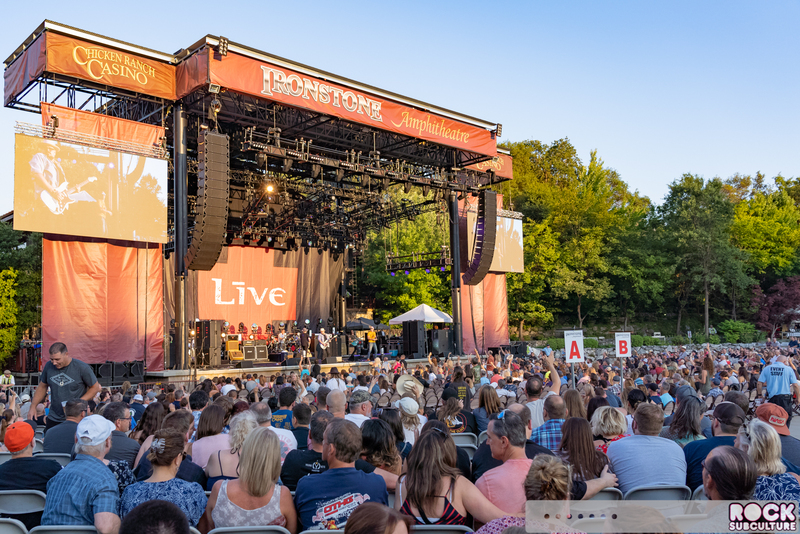 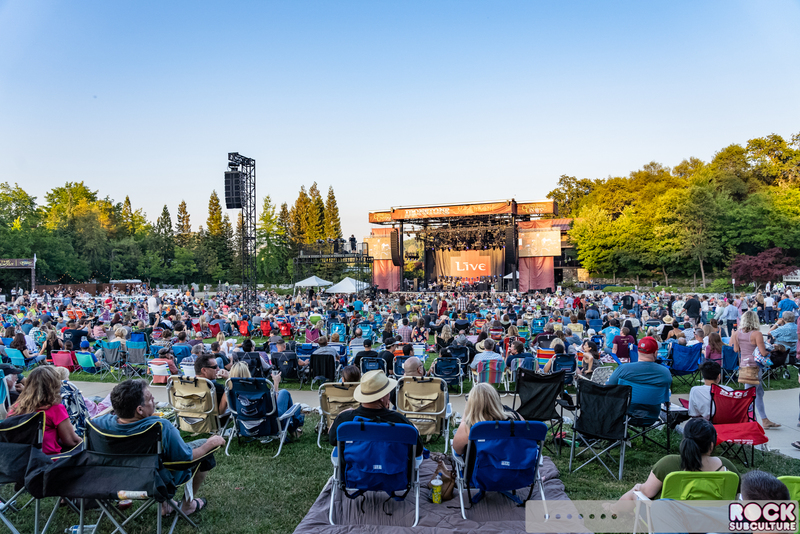 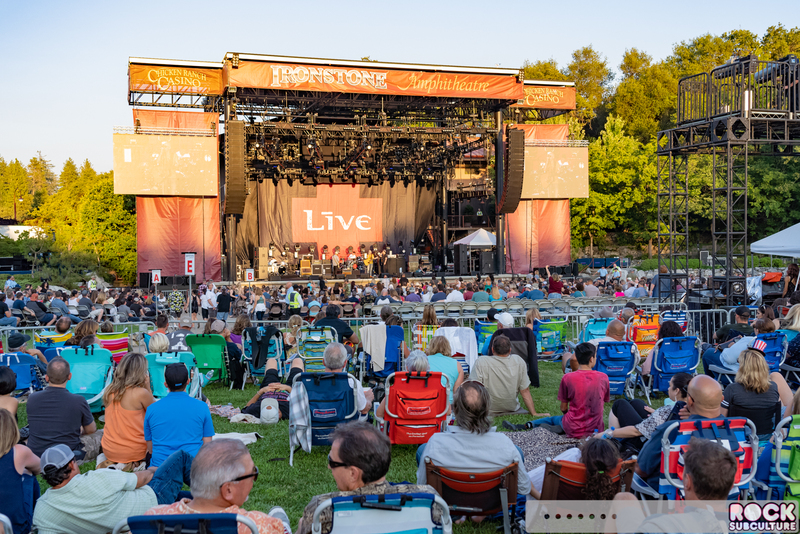 The amphitheater features traditional assigned seating in the section directly in front of the stage, with a vast area behind that is designated general admission and allows patrons to bring their own lawn chairs and blankets with an opportunity to find the best spot from which to enjoy the show. 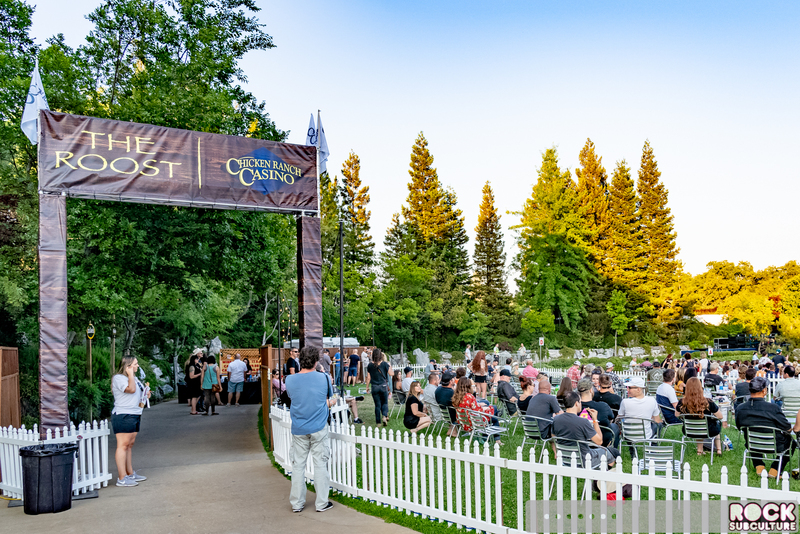 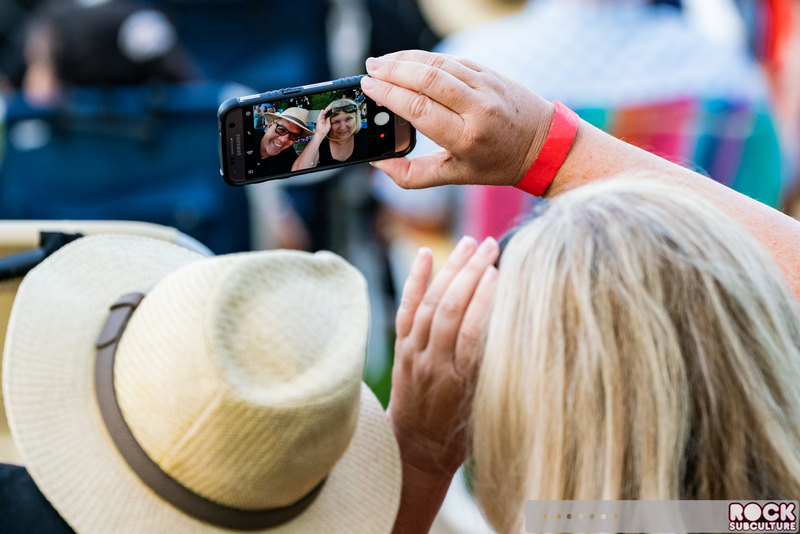 The greater setting of Ironstone Vineyards is stunning a beautiful – one of the rare concert venues where you can show up hours early and just take in the scenery, do some wine tasting, as well as have a stellar meal. 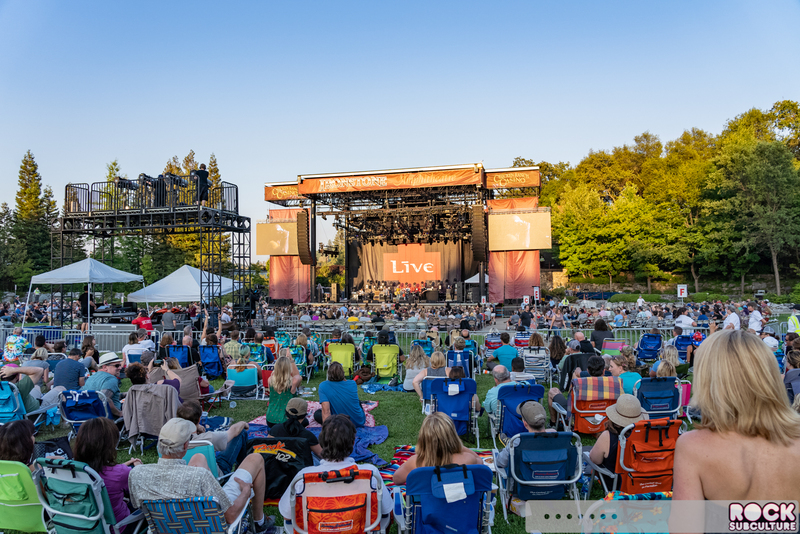 Learn all the details about this year’s concert line-up and where to buy tickets on the official REG website at www.richtergroup.net. 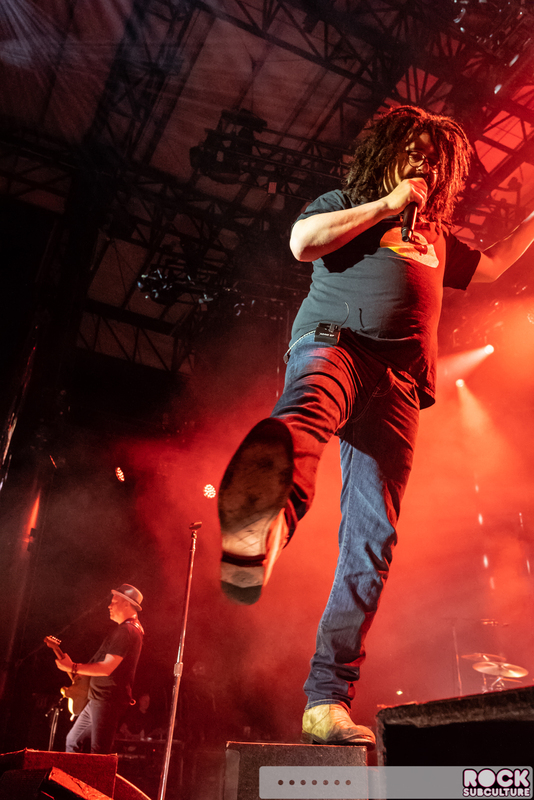 Live and Counting Crows are two bands that I have never followed, so I don’t have any insightful thoughts or reflections about the concert on Tuesday night, but being that I also photograph these shows for the promoter, I thought at the very least some fans in attendance might enjoy the photos. 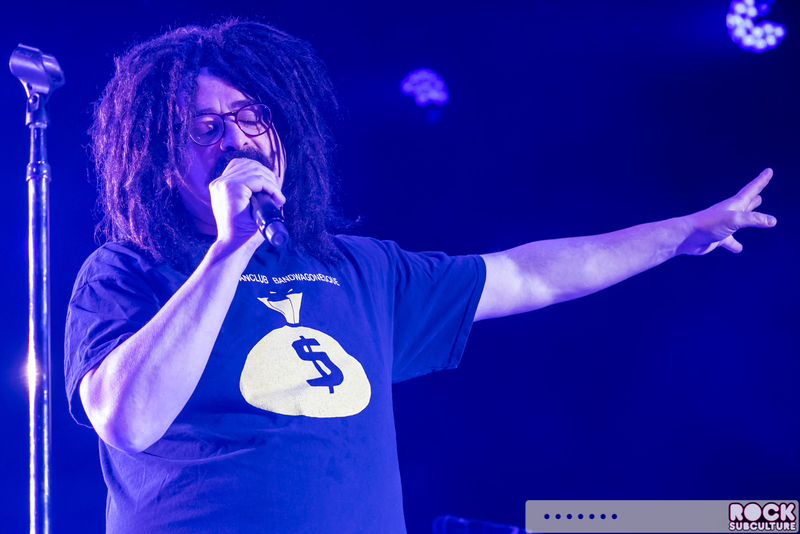 Adam Duritz personally came out to introduce the first artist to perform for the show, Boom Forest. 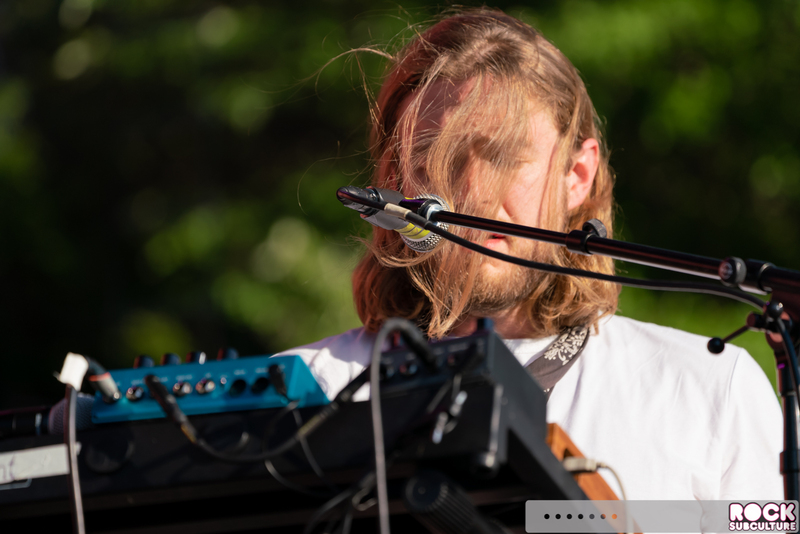 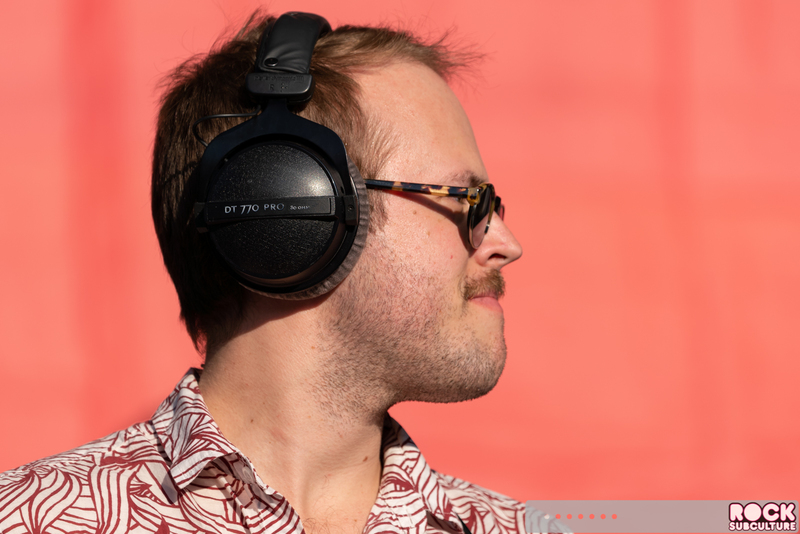 Fronted by John Paul Roney, he characterizes his work as being a “songwriter and an evangelist for a contemporary folk tradition forwarding humanism in the face of our looming techno-apocalypse”. 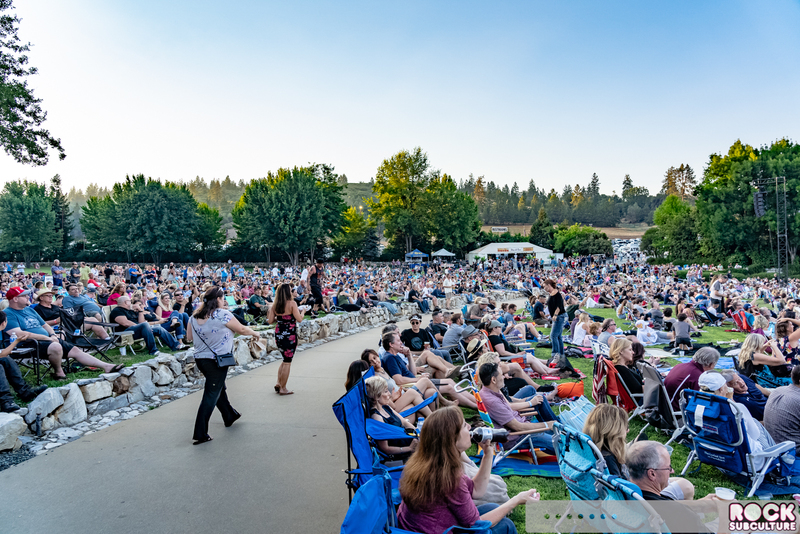 Having said all that, I found their music engaging and a perfect fit for people enjoying wine and surrounded by nature. 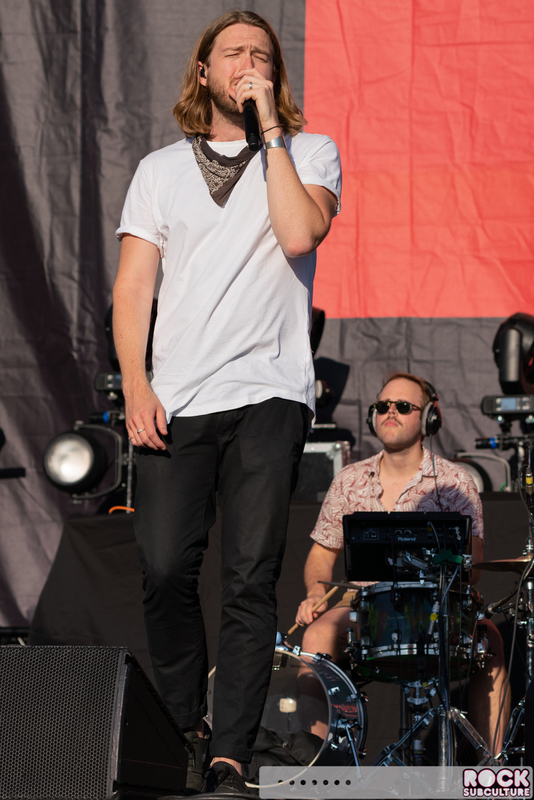 You can check out some of their original songs and covers on their official site at www.boomforest.com. 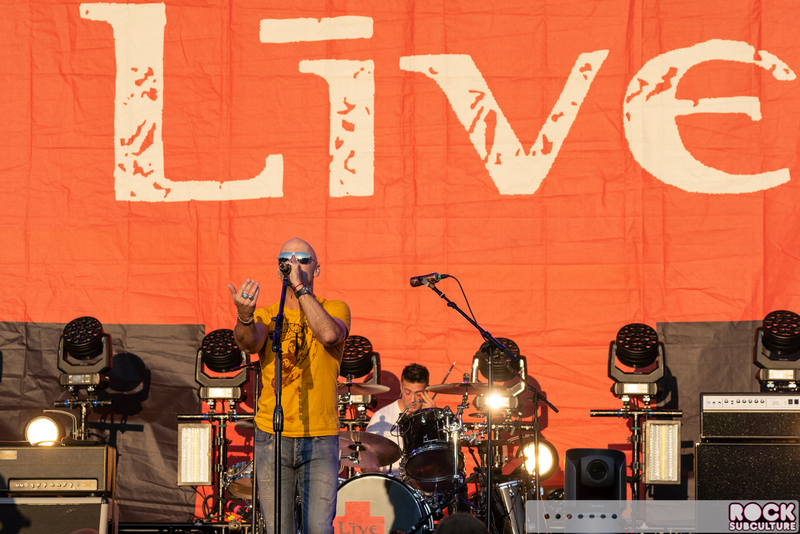 Live is an alternative band with origins in the early 80s. 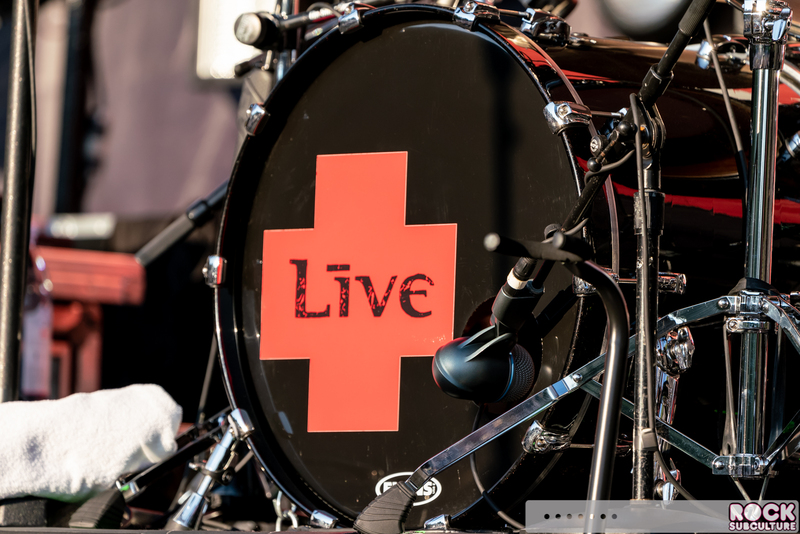 They adopted the name Live in 1991 after signing with Radioactive Records. 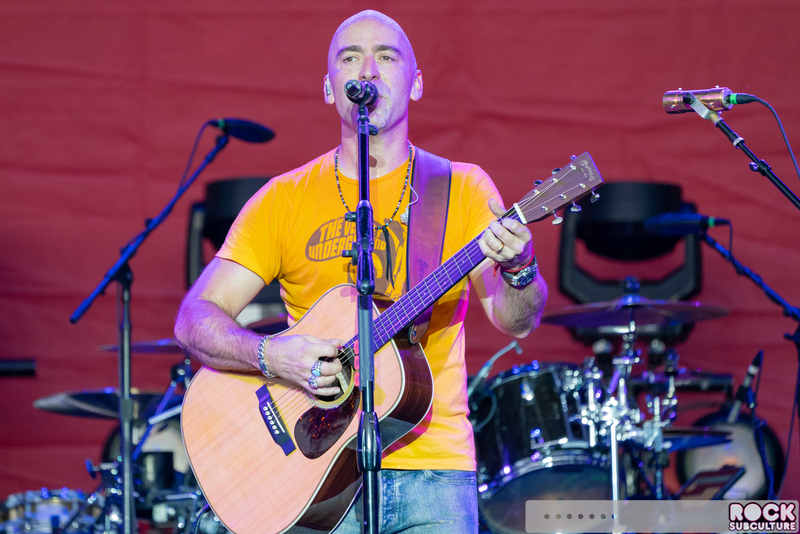 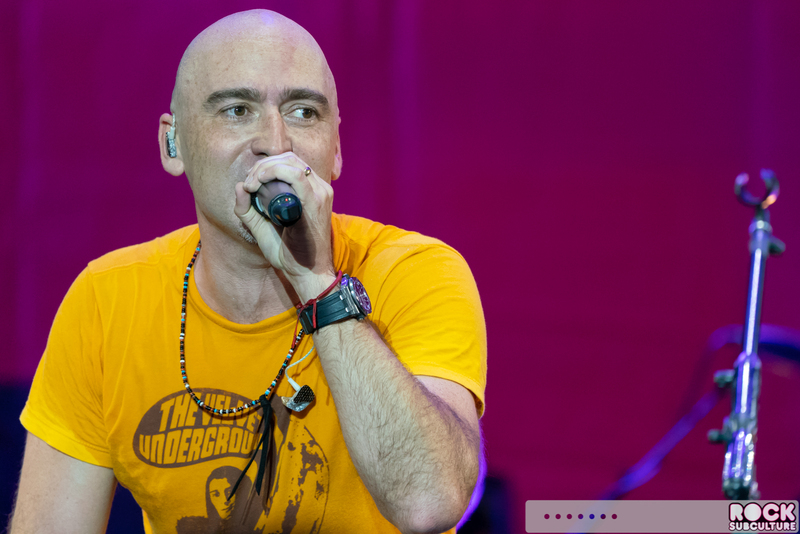 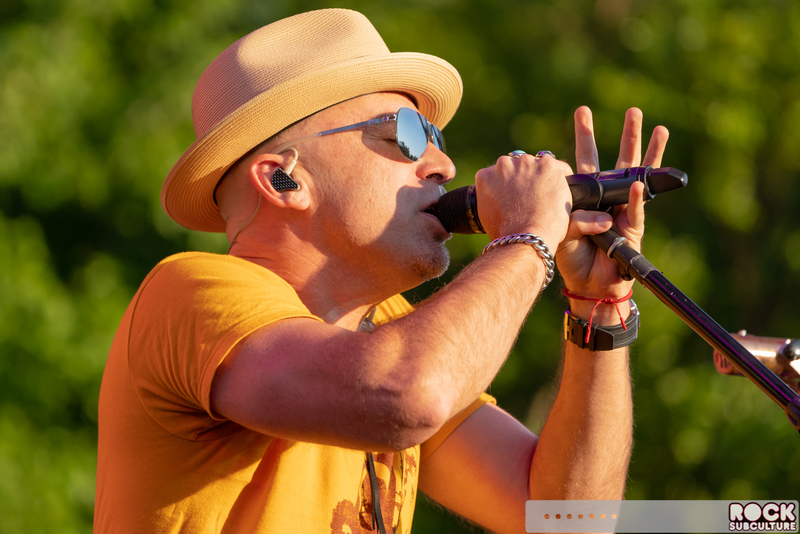 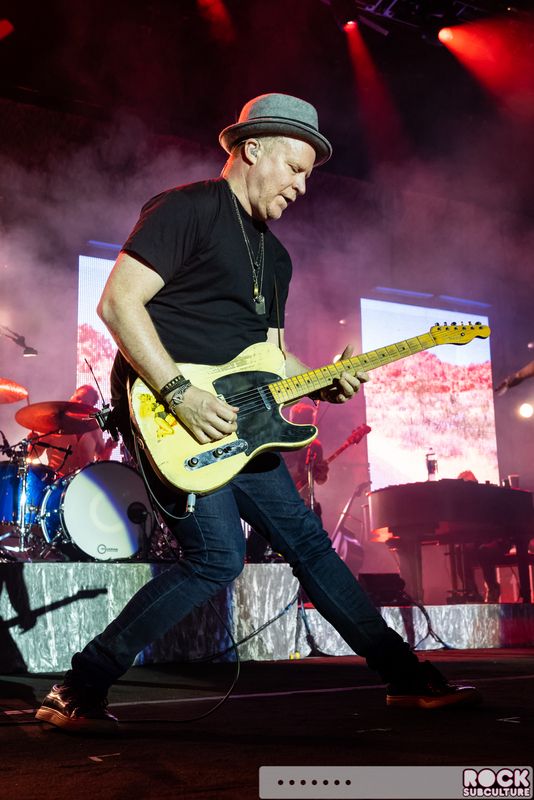 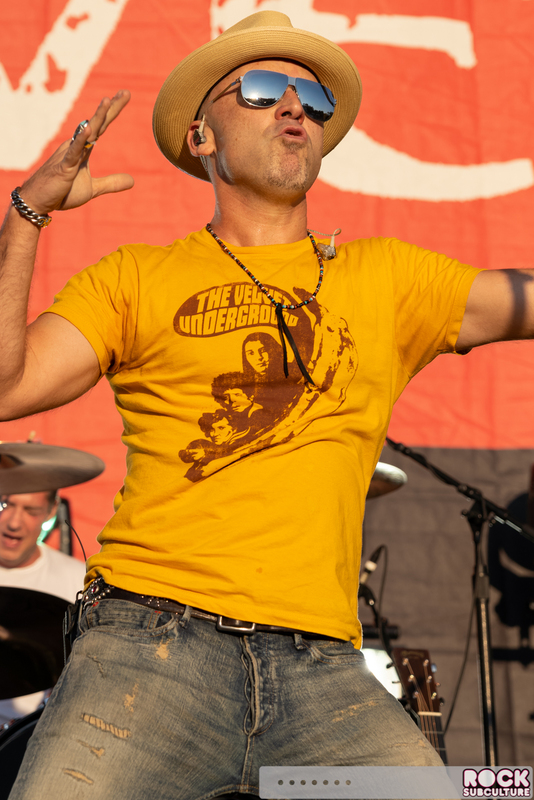 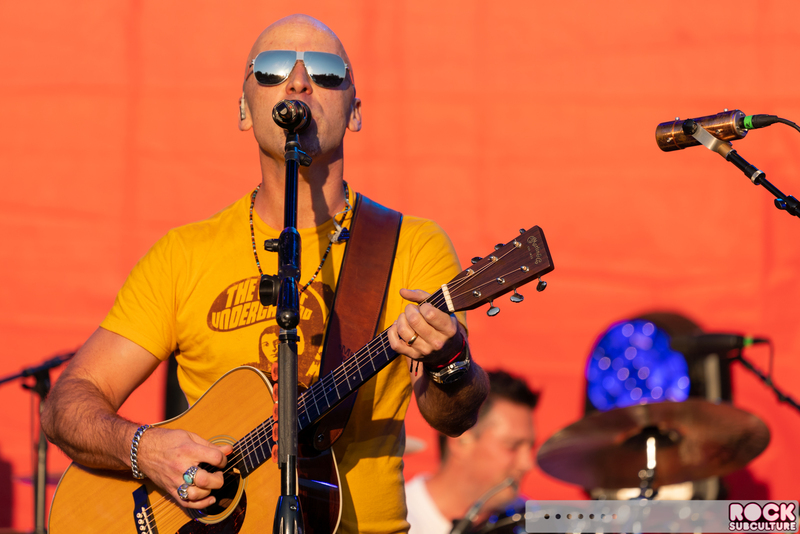 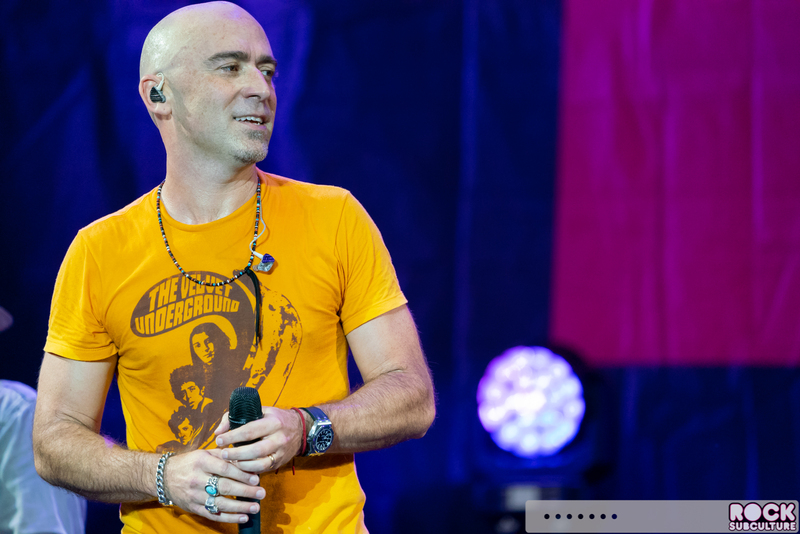 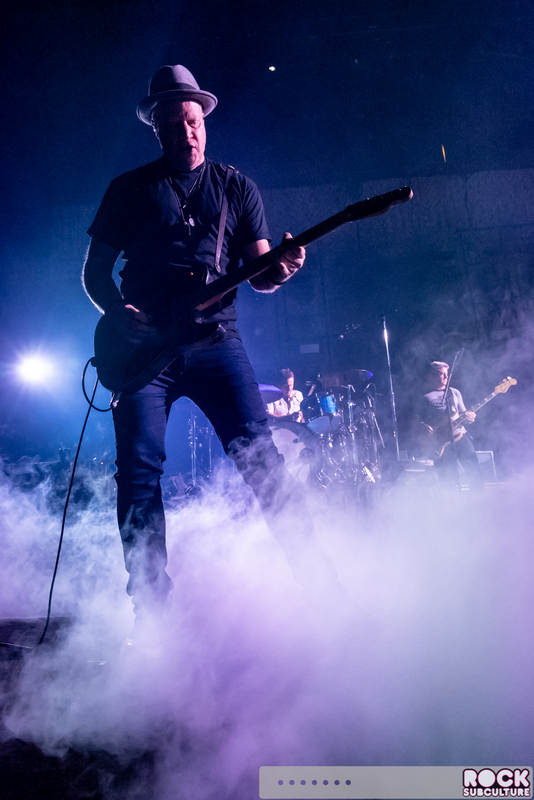 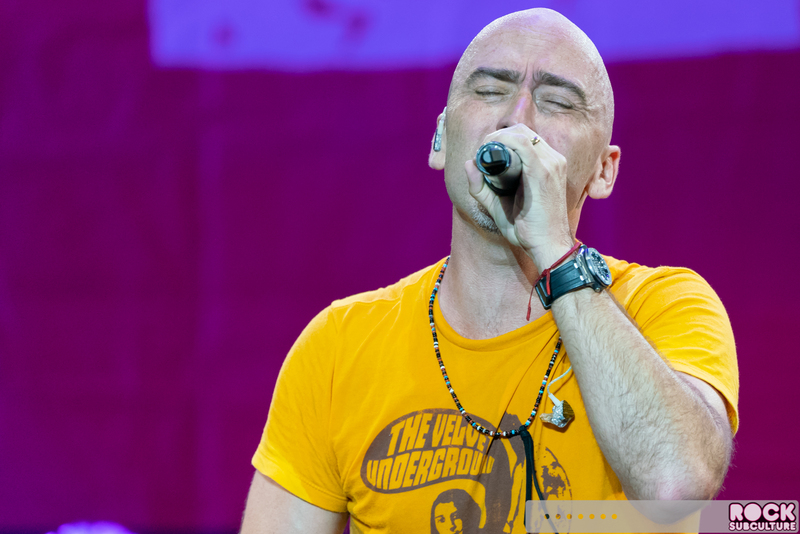 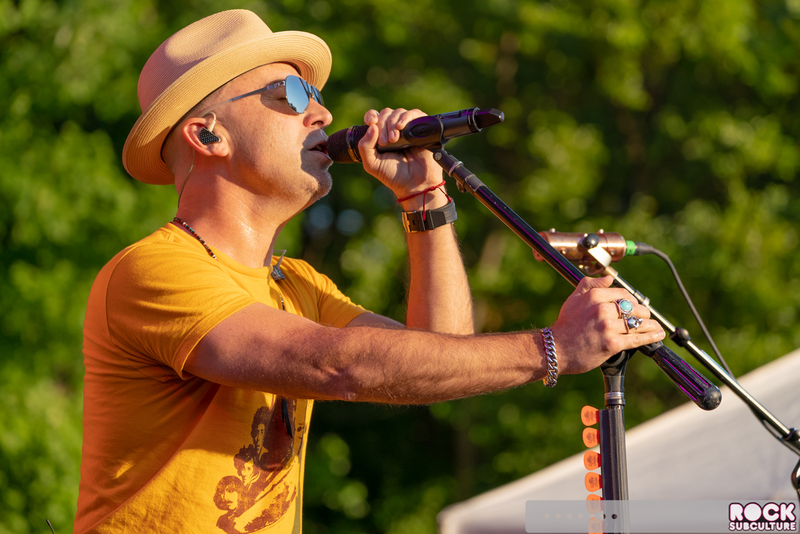 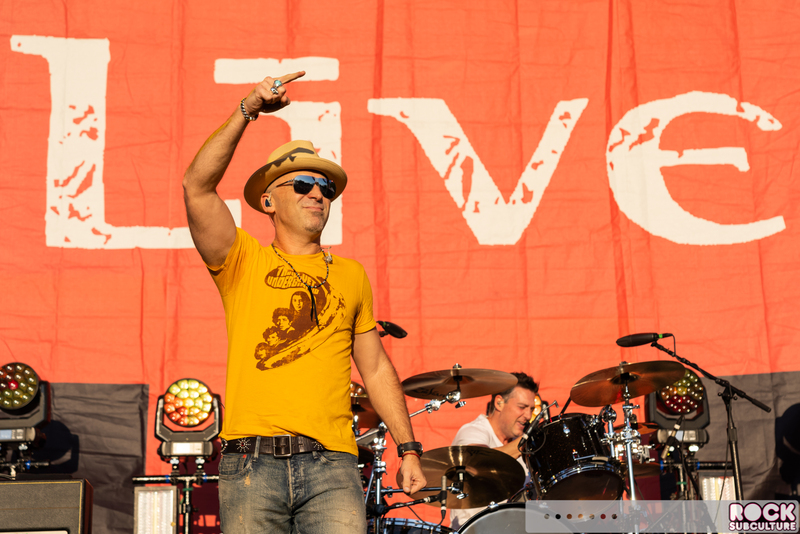 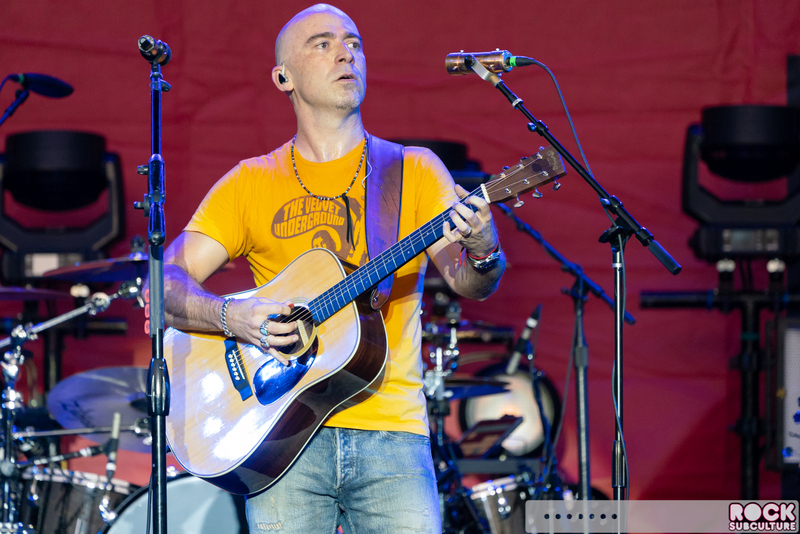 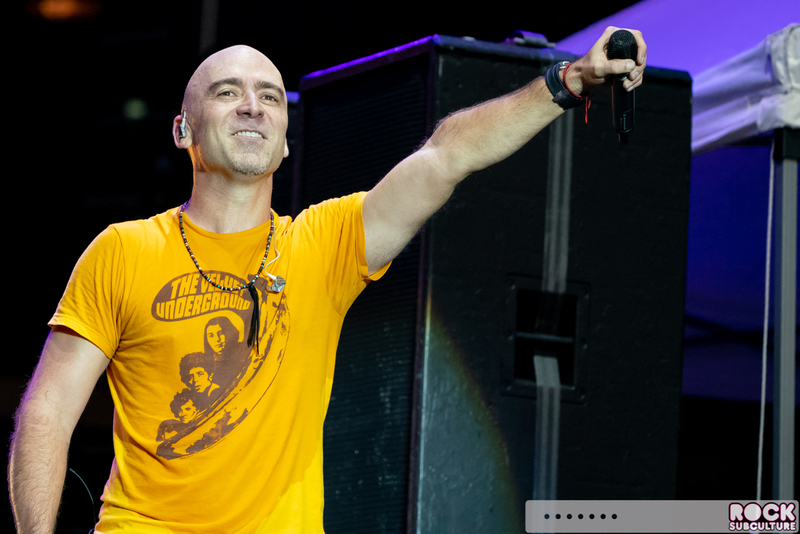 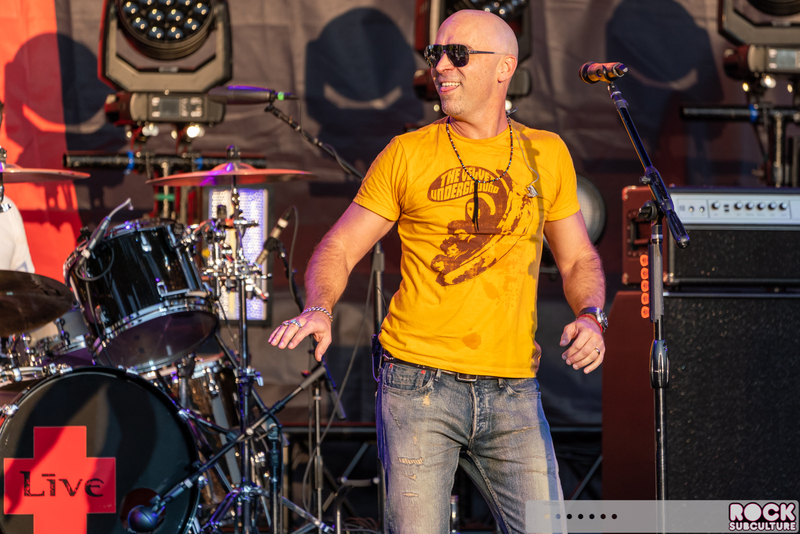 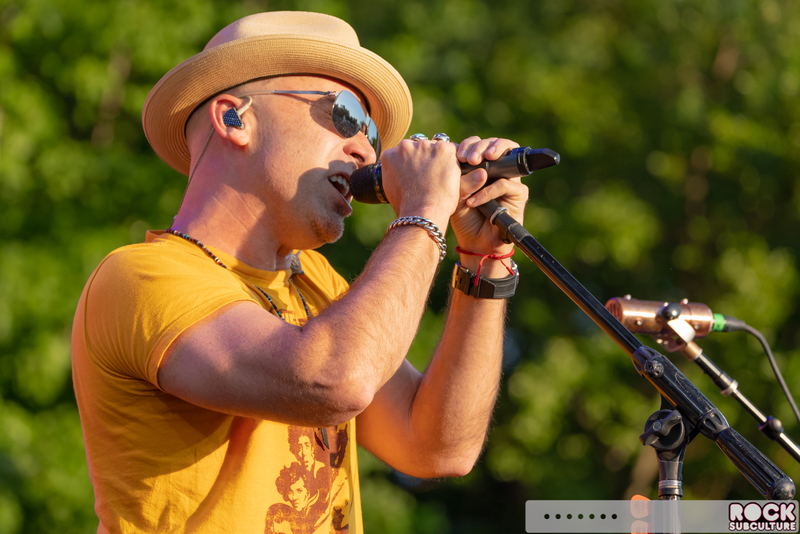 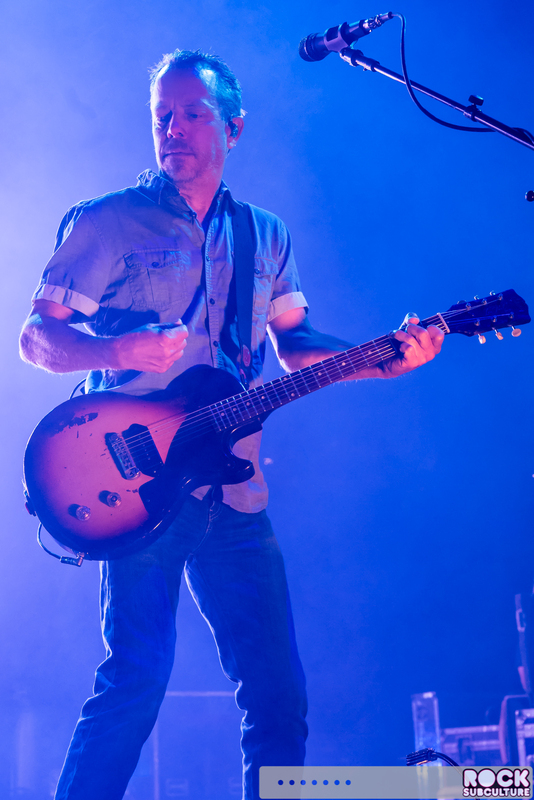 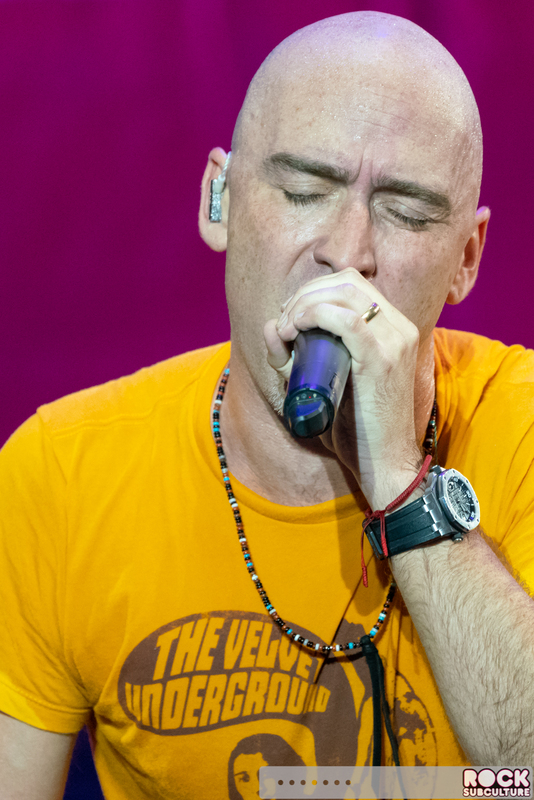 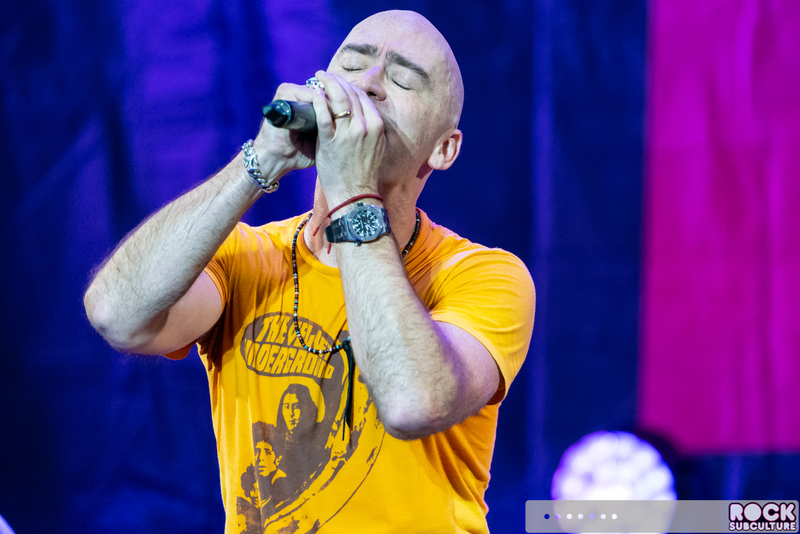 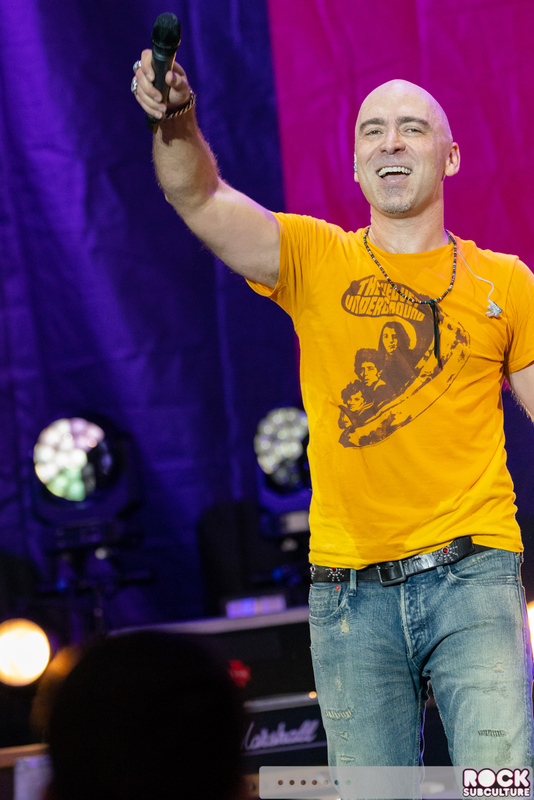 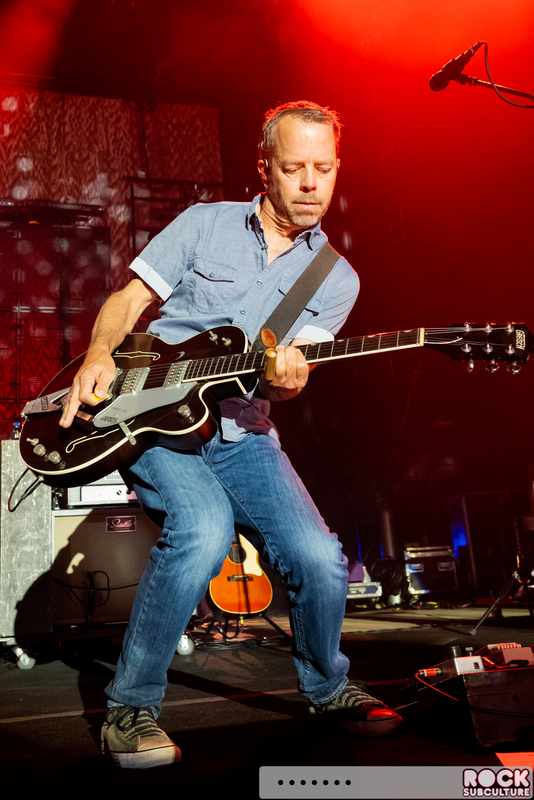 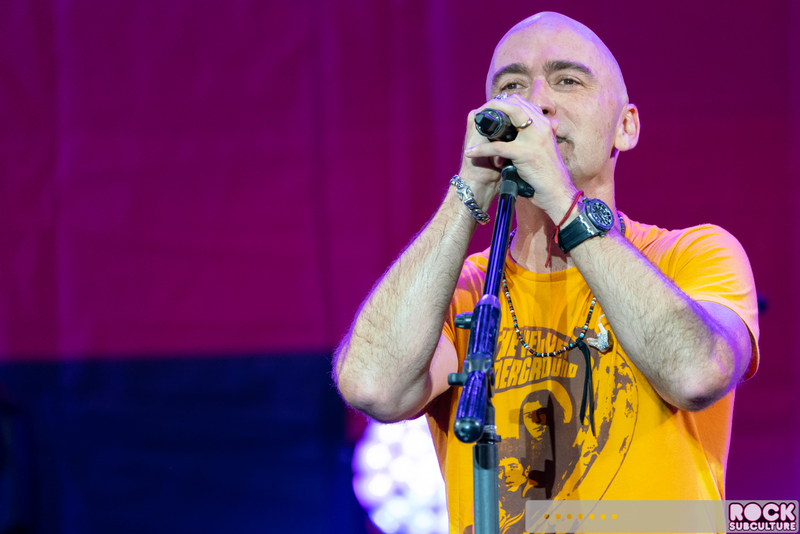 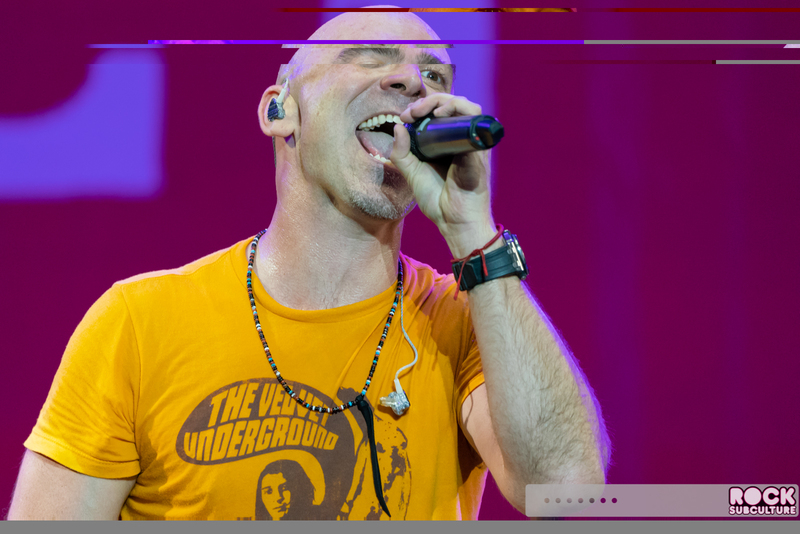 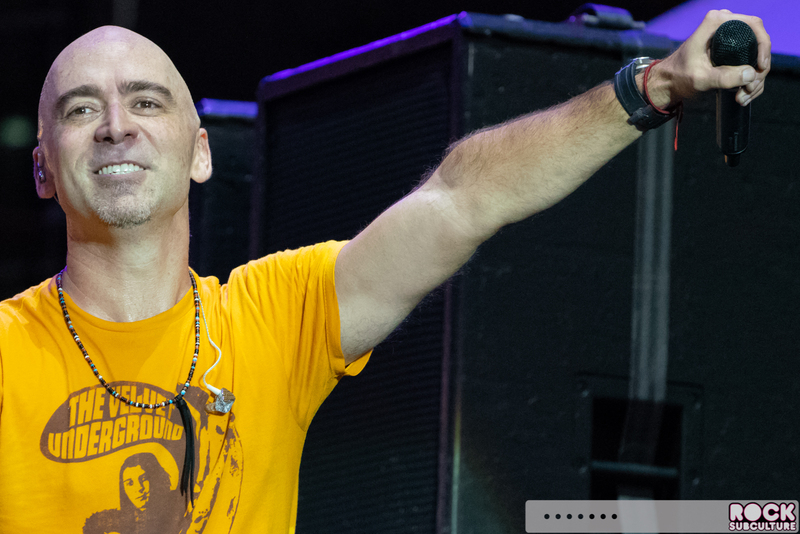 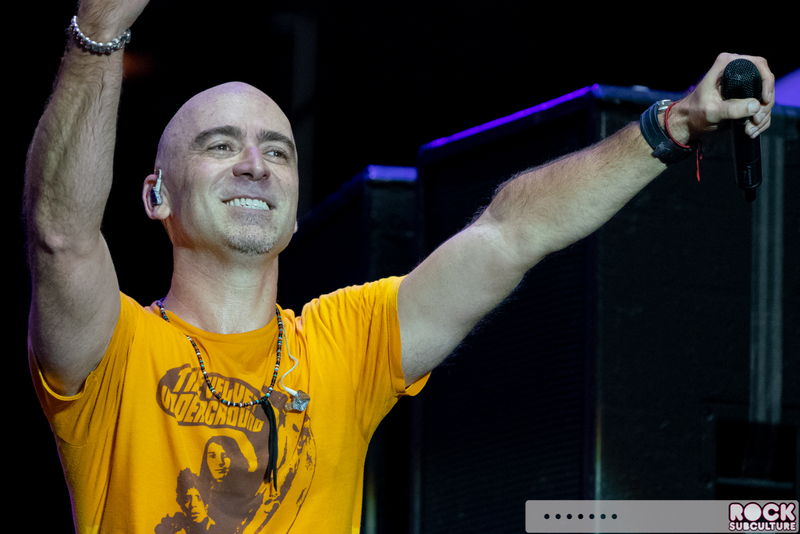 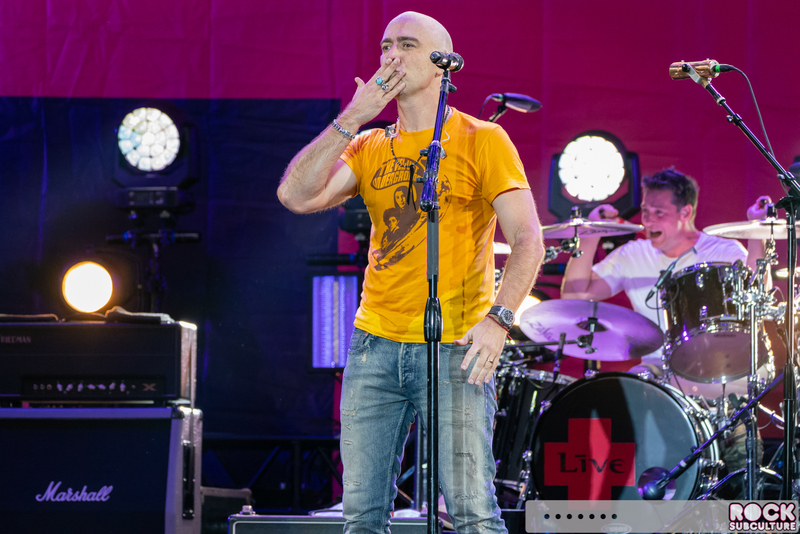 They found wide popularity circa 1994 with their second and overall best-selling album, Throwing Copper, which included some huge hits like “Selling the Drama” and “Lightning Crashes”. 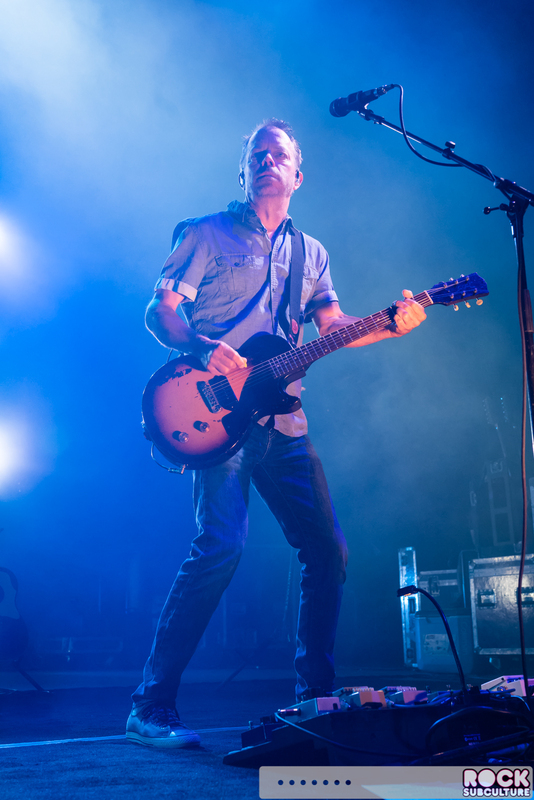 Over the years, they have put out eight studio albums as Live (and one in 1989 as Public Affection). 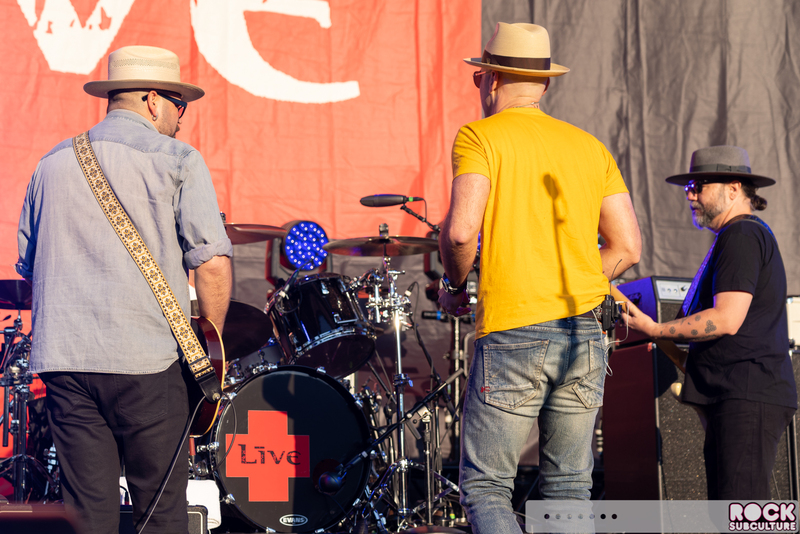 Their most recent album was The Turn in 2014. 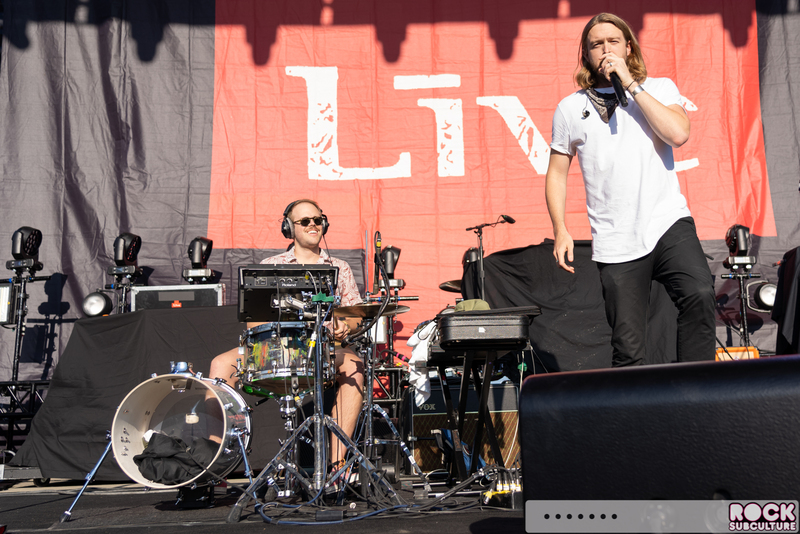 Live put on set of over an hour, and there were definitely a large number of fans in attendance who seemed to have turned out for them specifically. 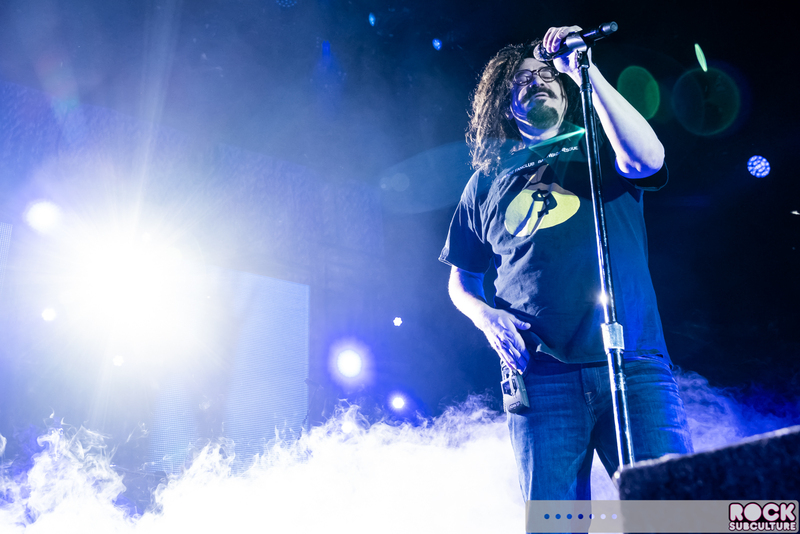 Counting Crows an an alternative band that was founded in Berkeley in 1991. 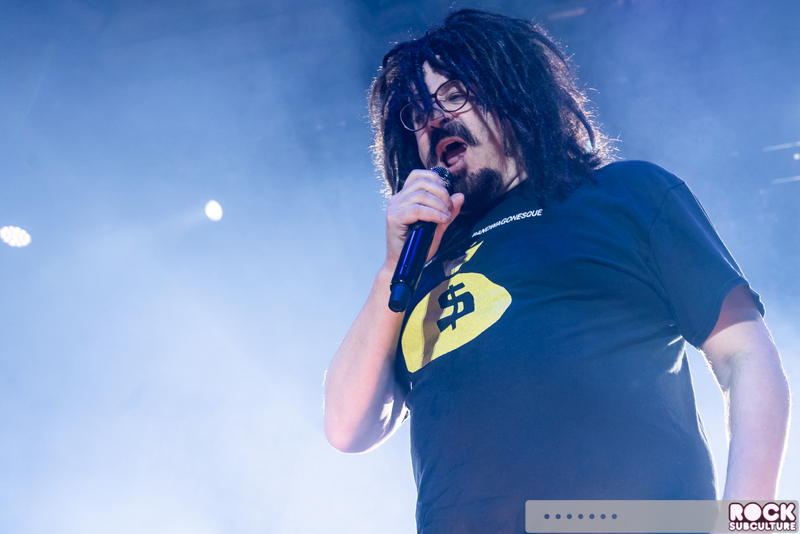 Adam Duritz and David Bryson, singing and on guitar respectively, started out playing coffee houses as a duo under the name “Counting Crows”. 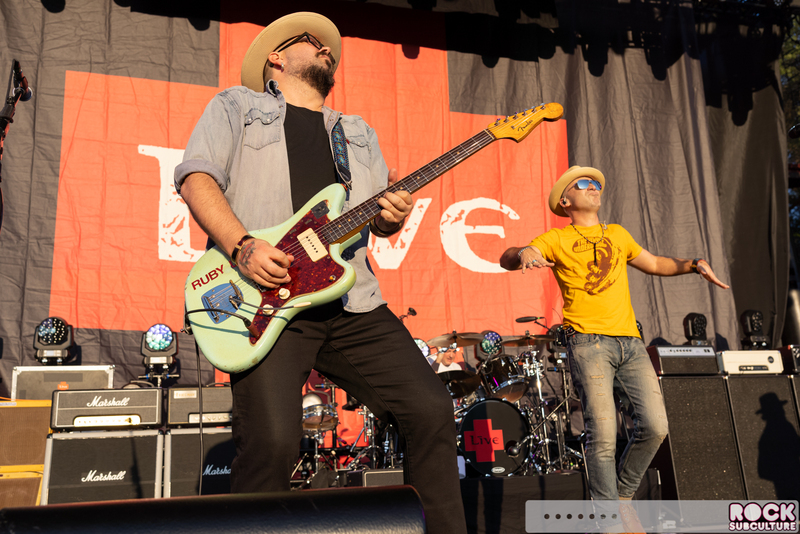 After adding more members to the band, they found huge success with their very first album in 1993, August and Everything After. 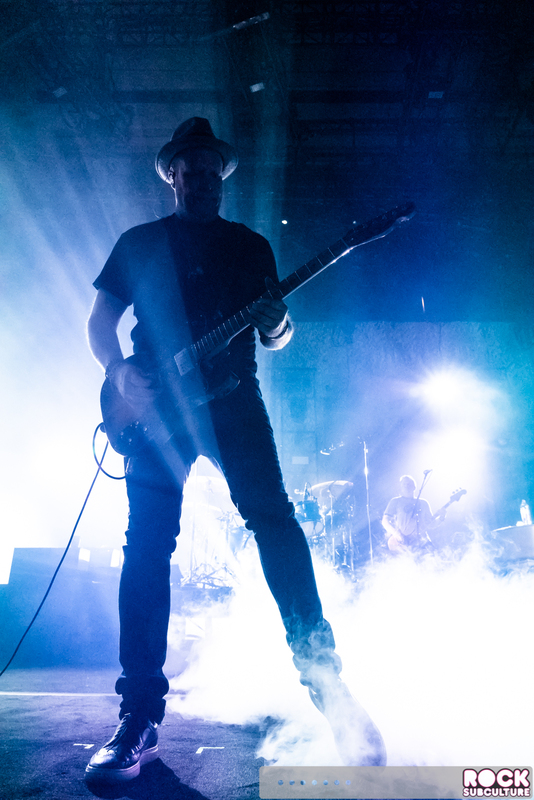 To date, they’ve put out seven studio albums in total, with 2014’s Somewhere Under Wonderland being the most recent. 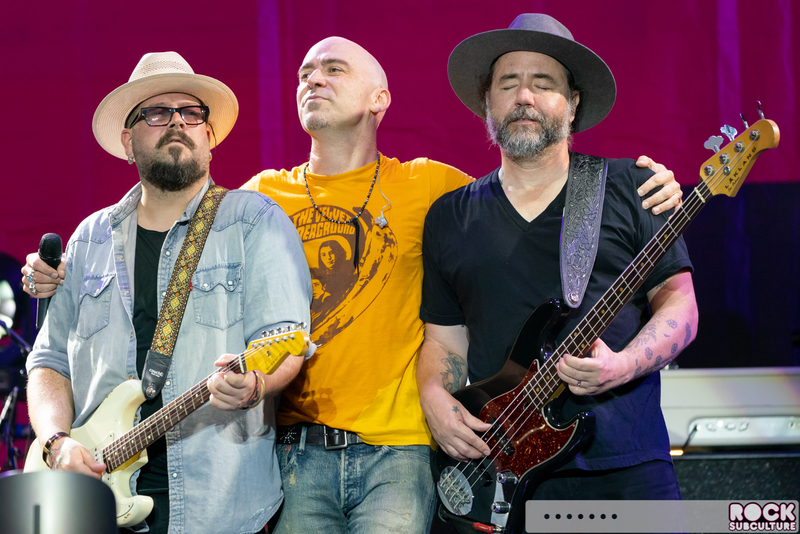 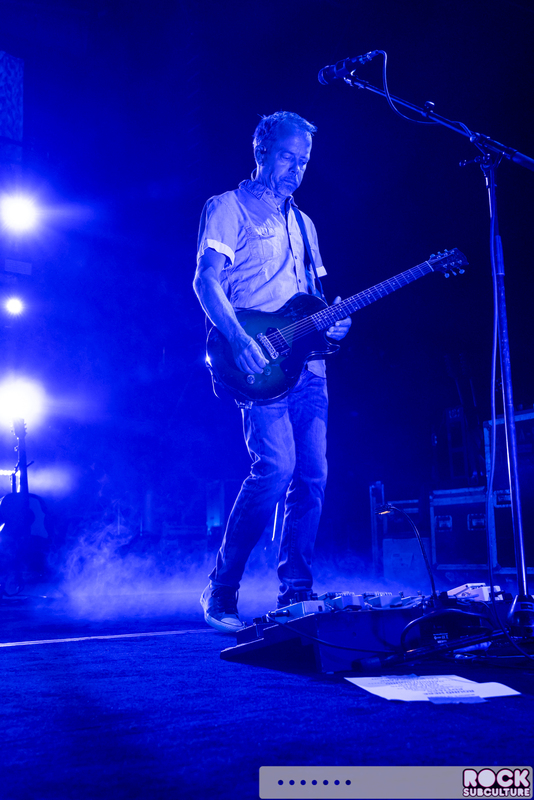 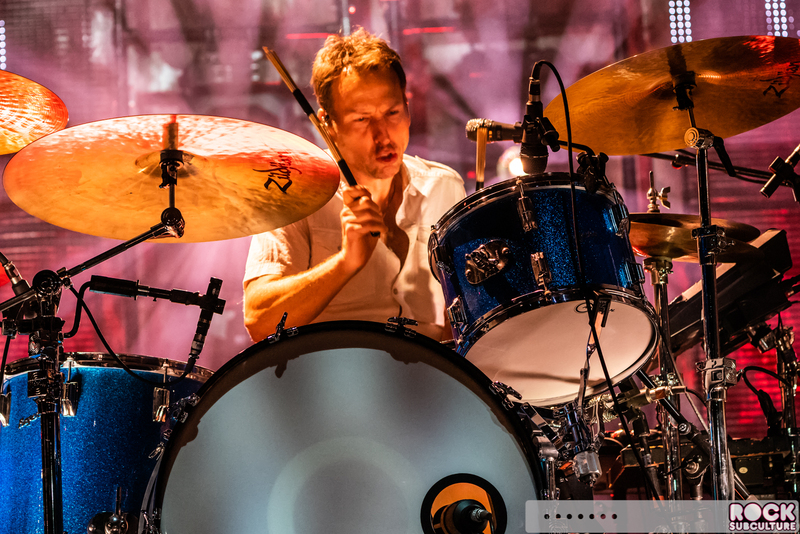 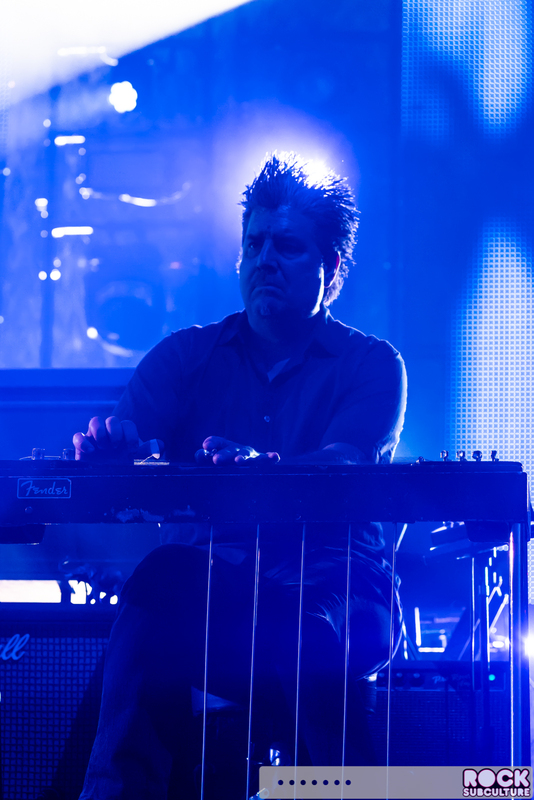 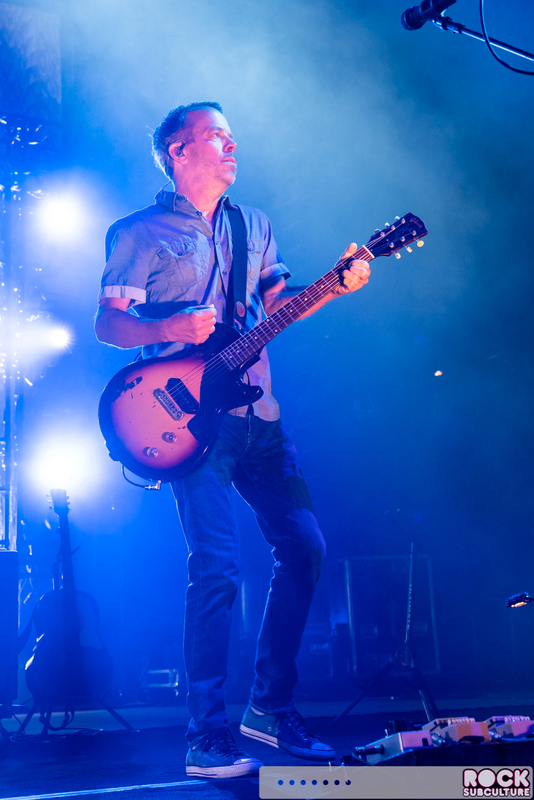 I really appreciated the band’s approach to mixing in storytelling along with their musical performance, and it seemed to strike a chord with the fans as well.